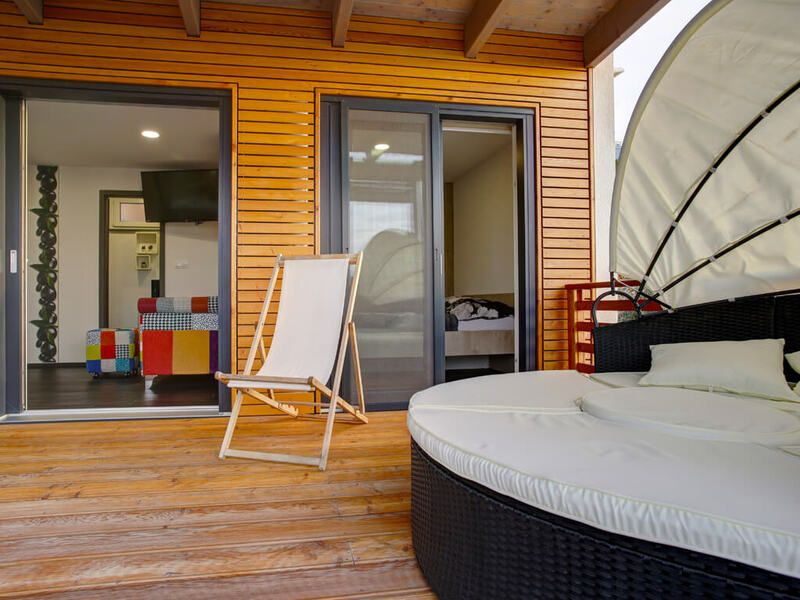 Superb equipment, in combination with an exceptional location, are a precondition for a carefree holiday by the sea. 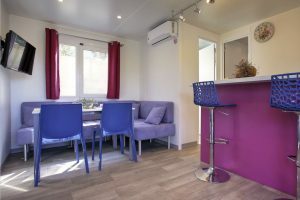 You will find it in new mobile homes on the island of Murter! 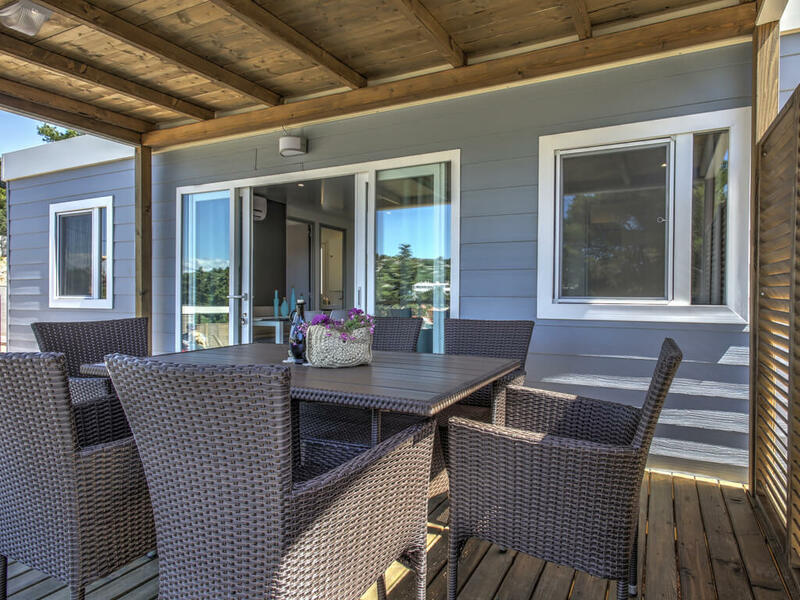 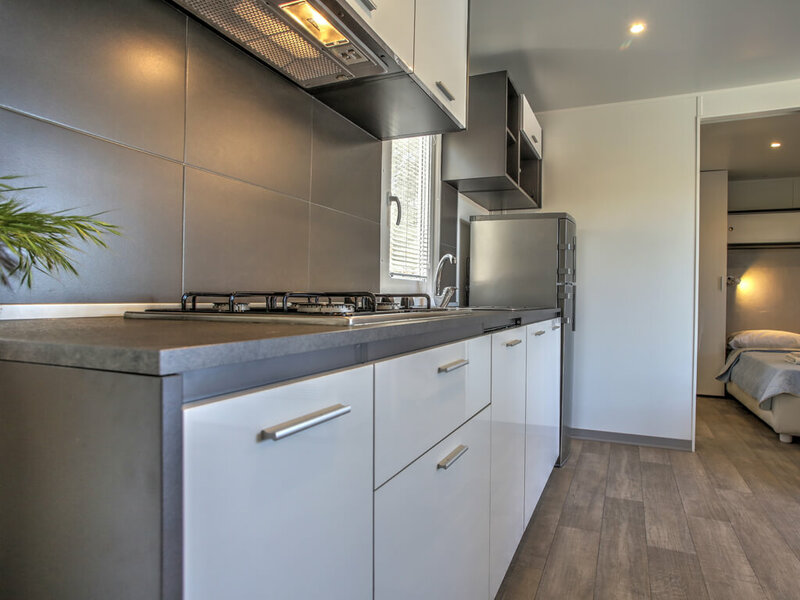 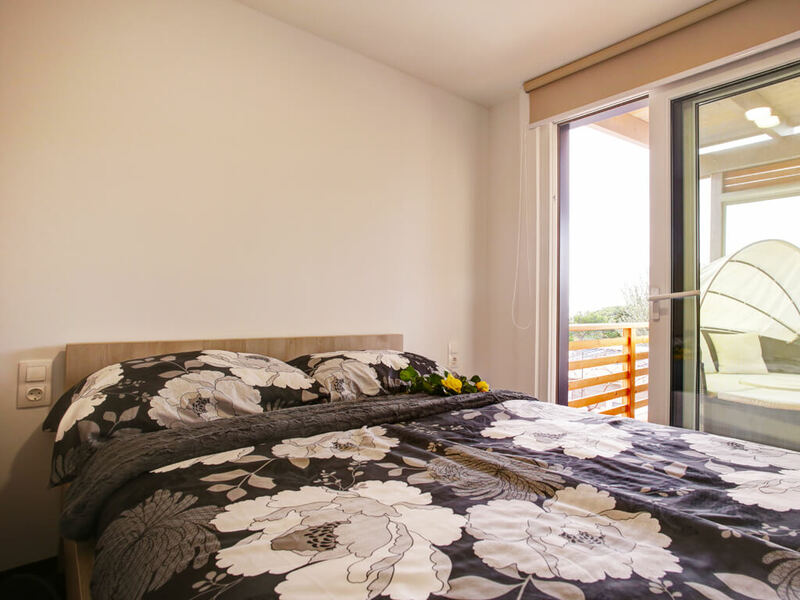 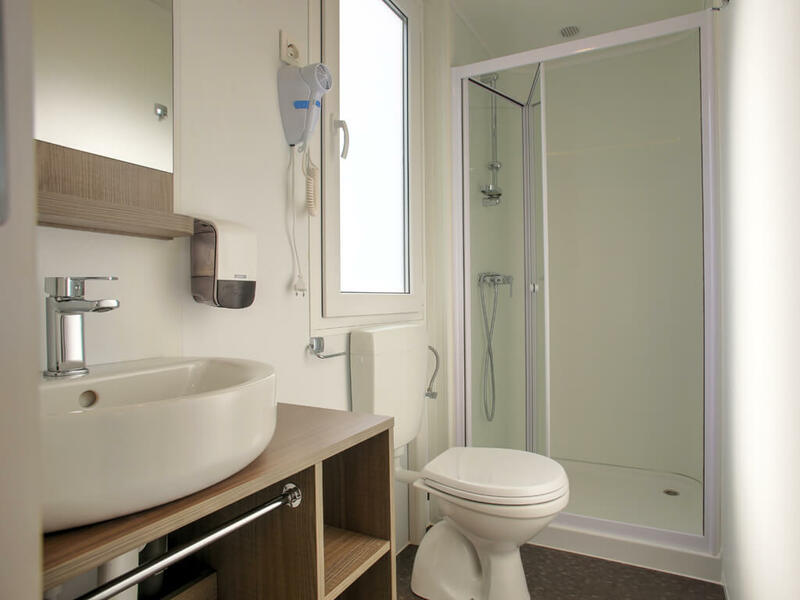 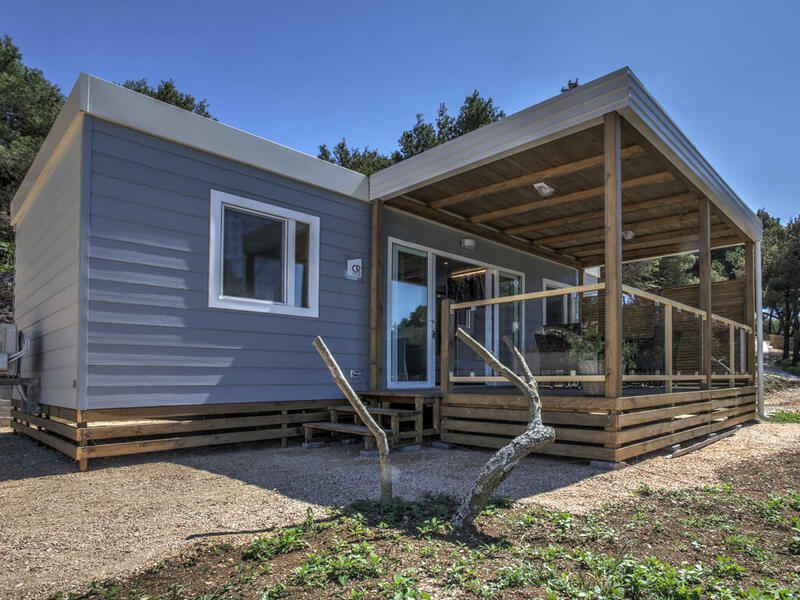 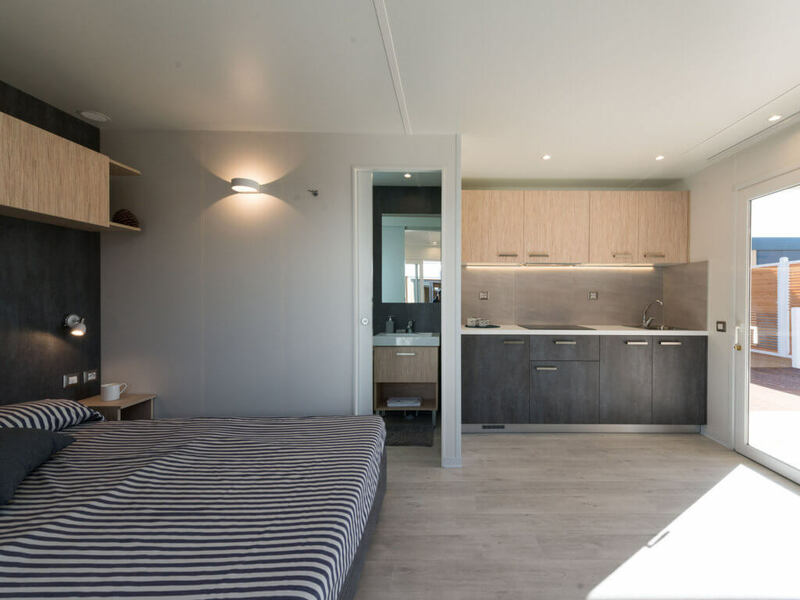 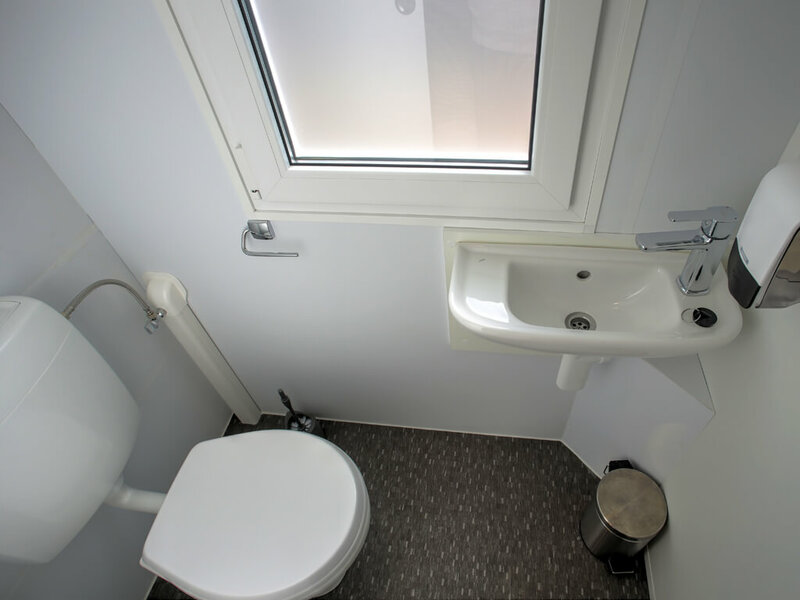 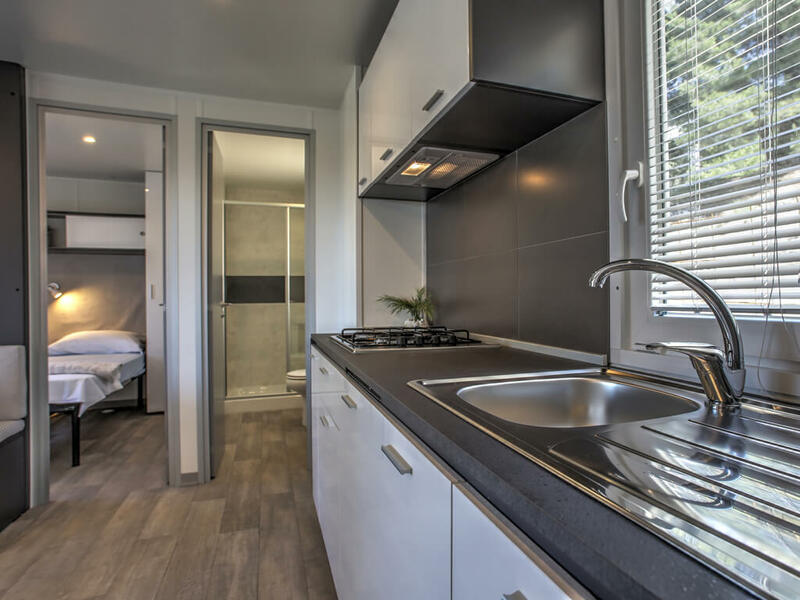 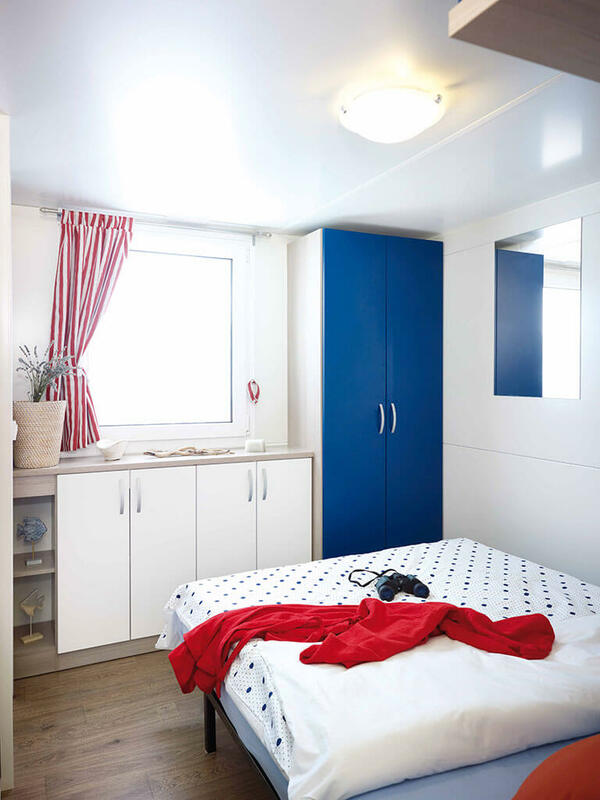 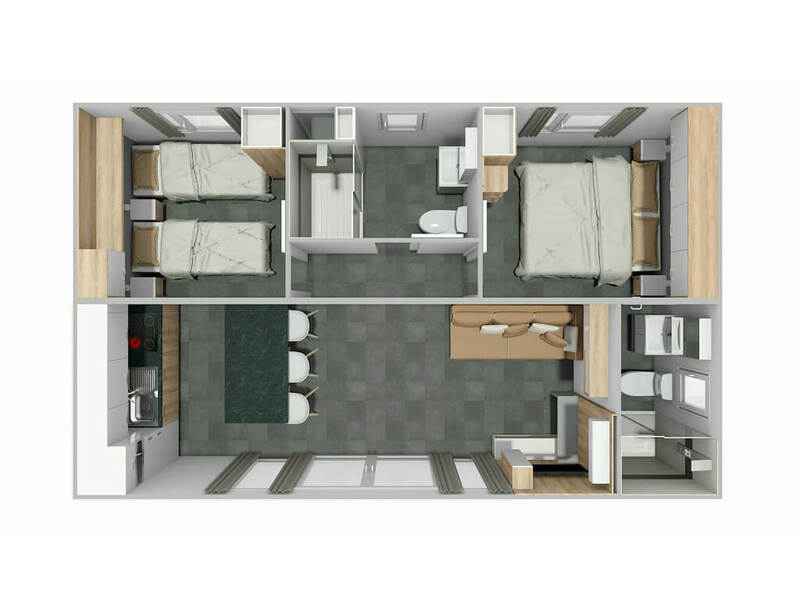 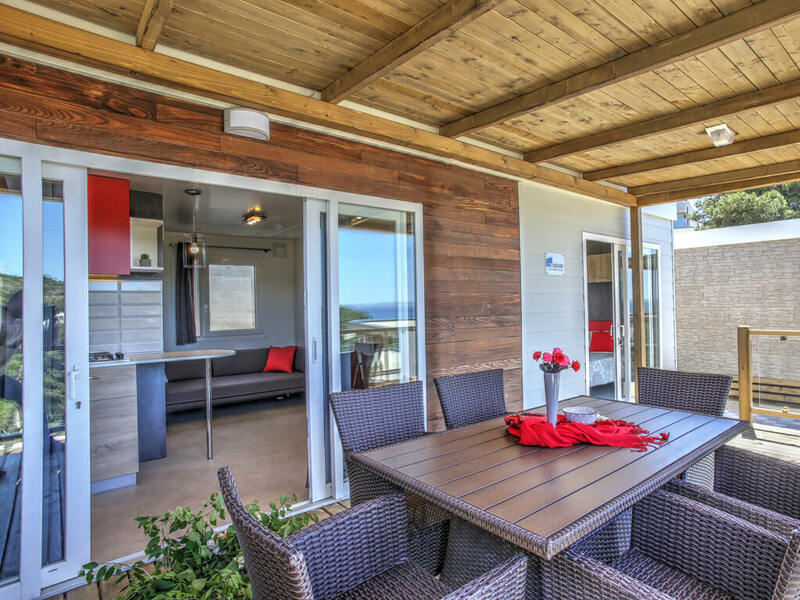 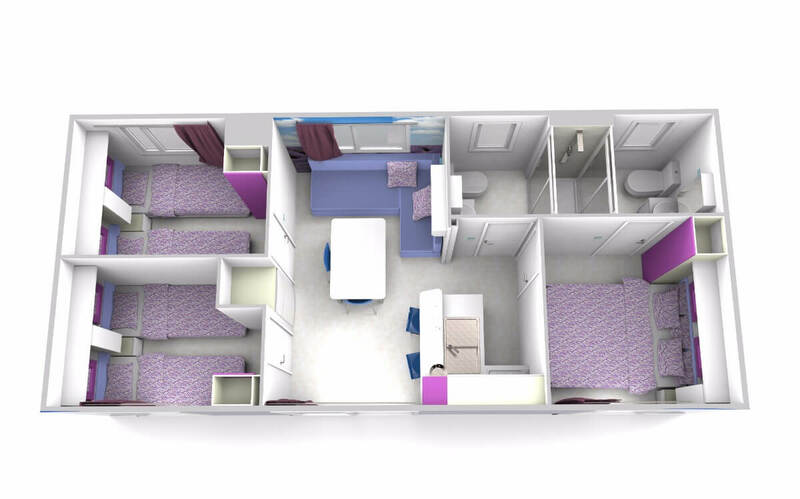 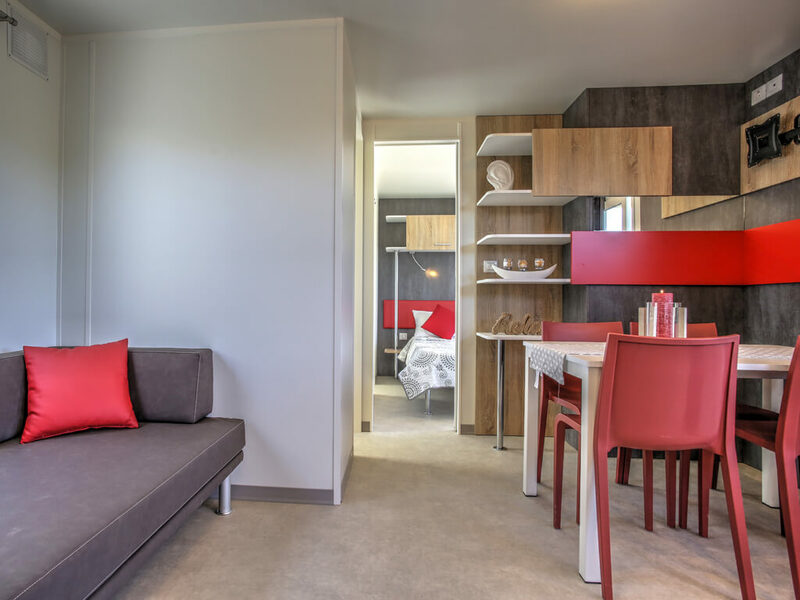 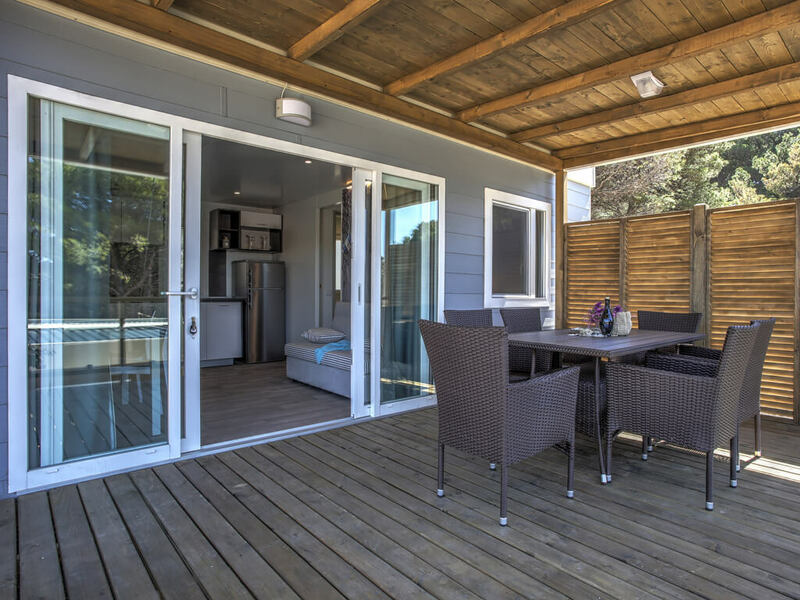 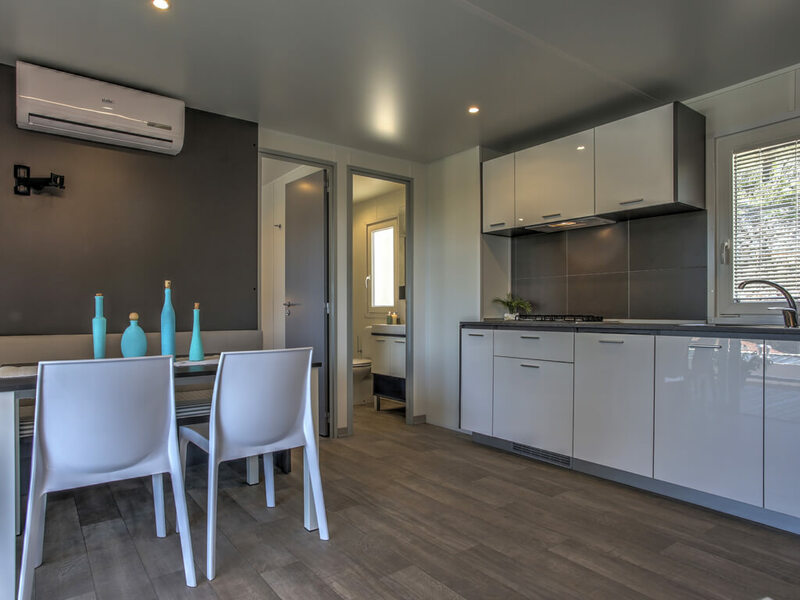 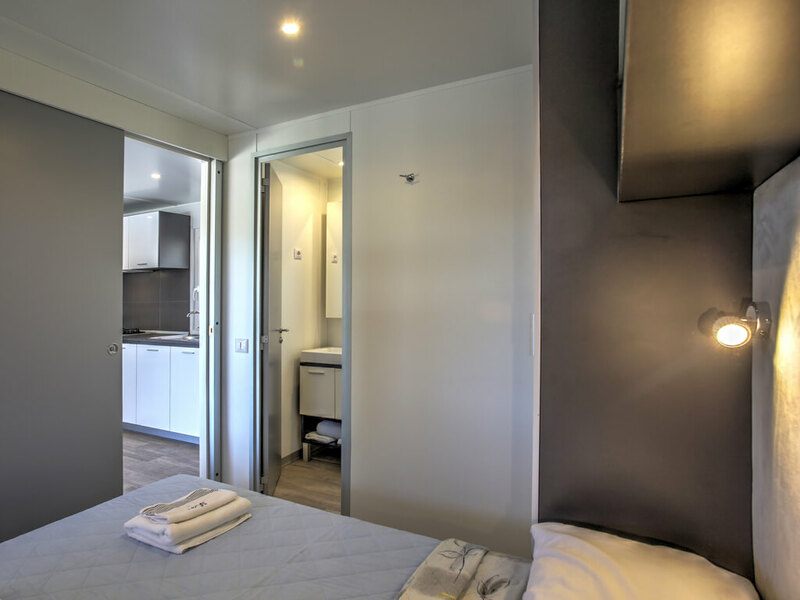 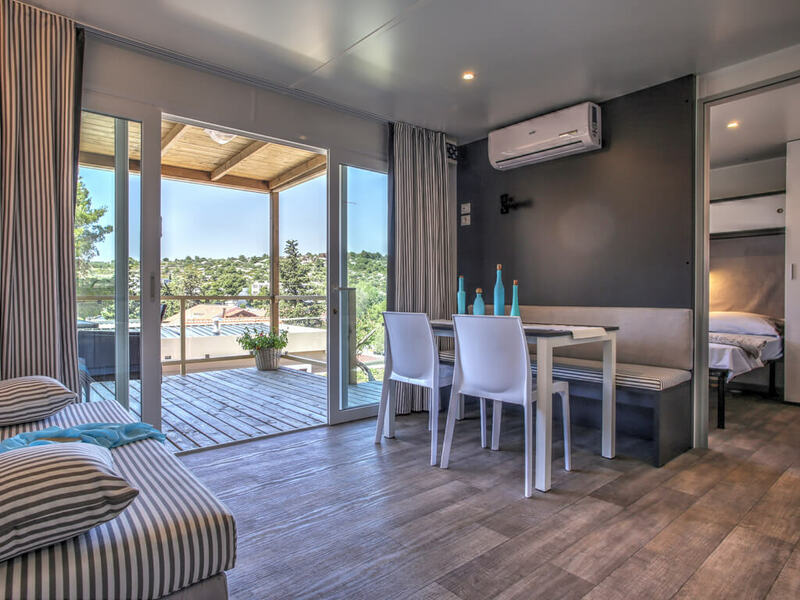 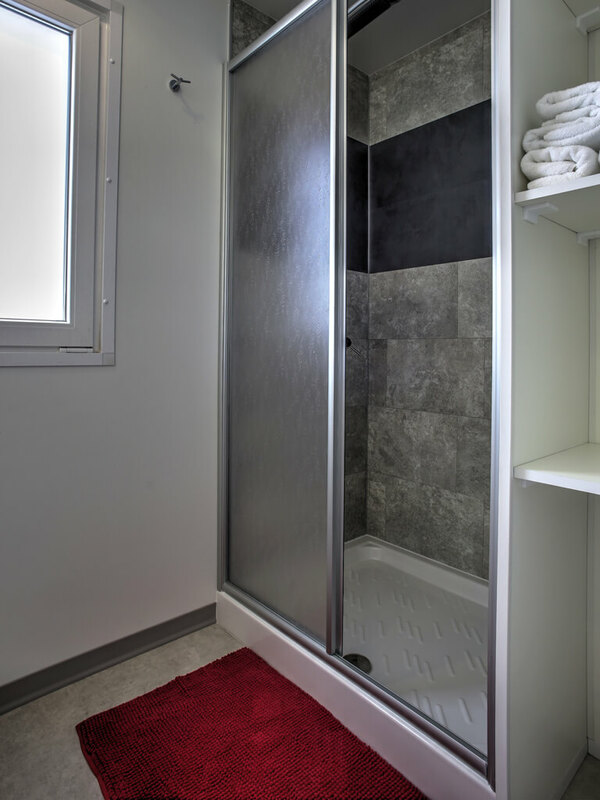 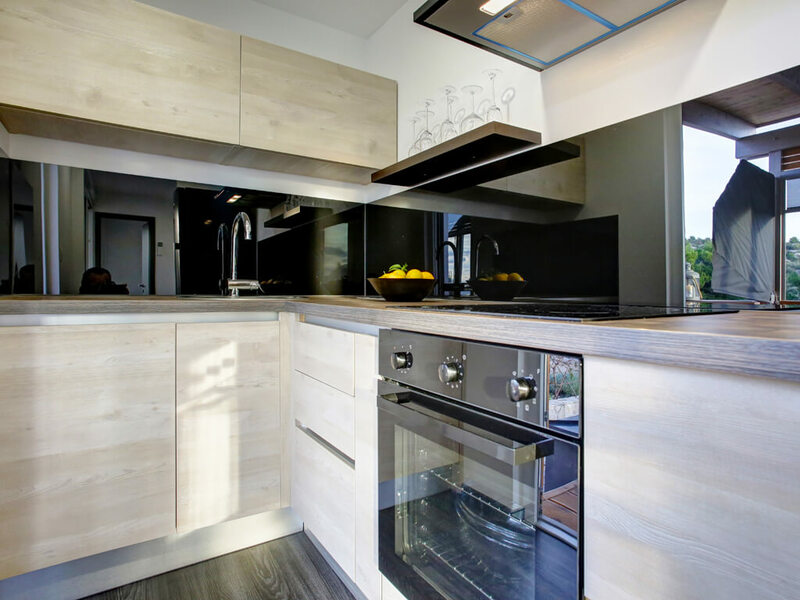 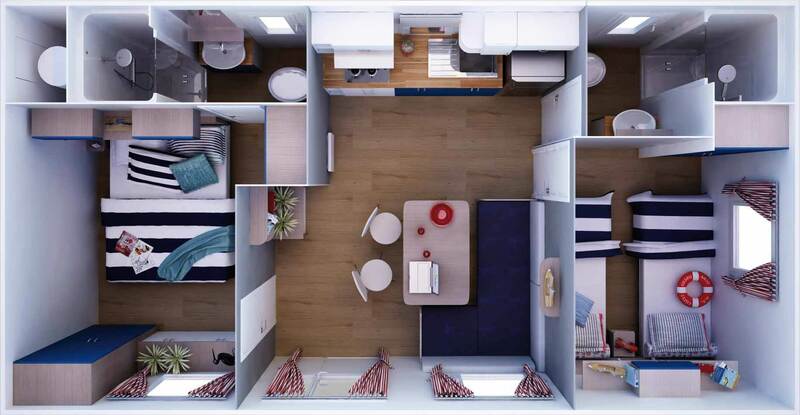 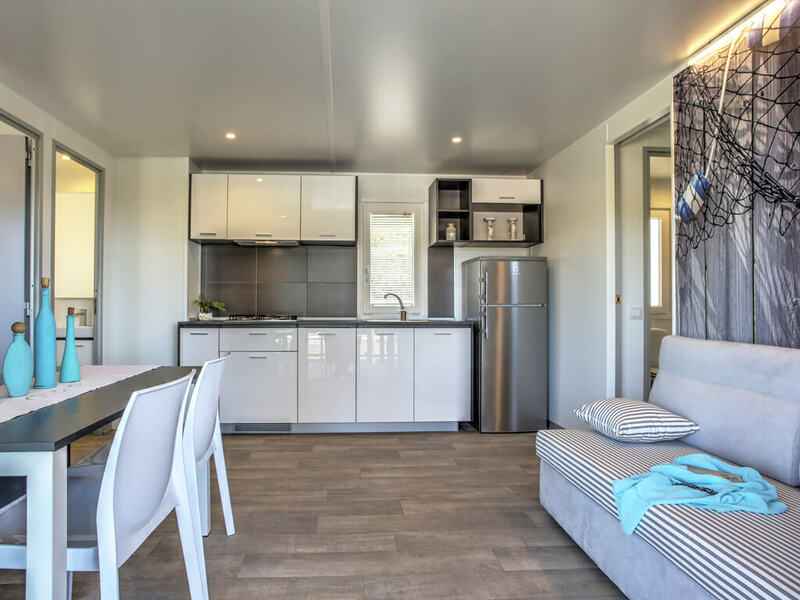 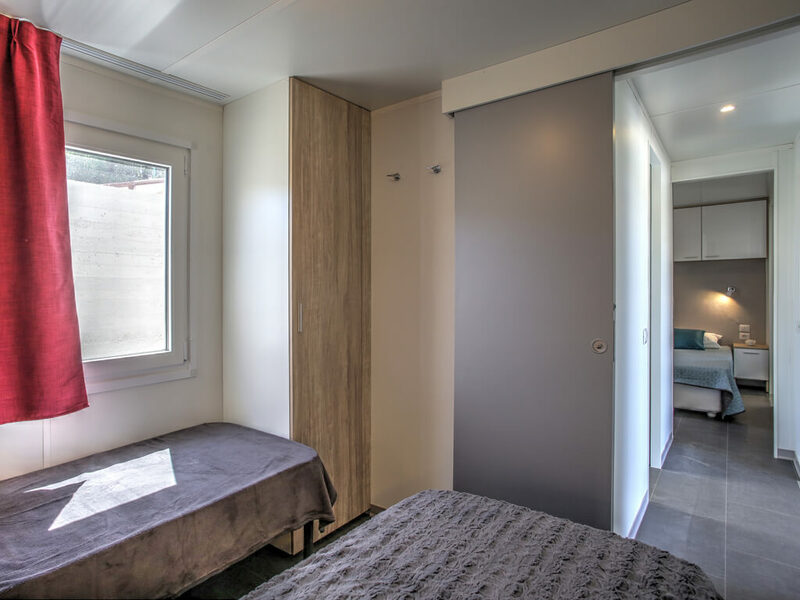 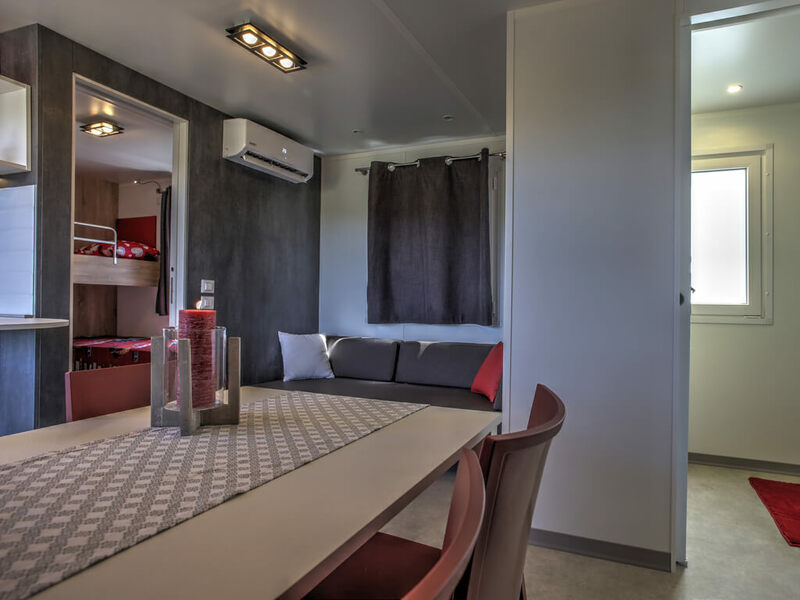 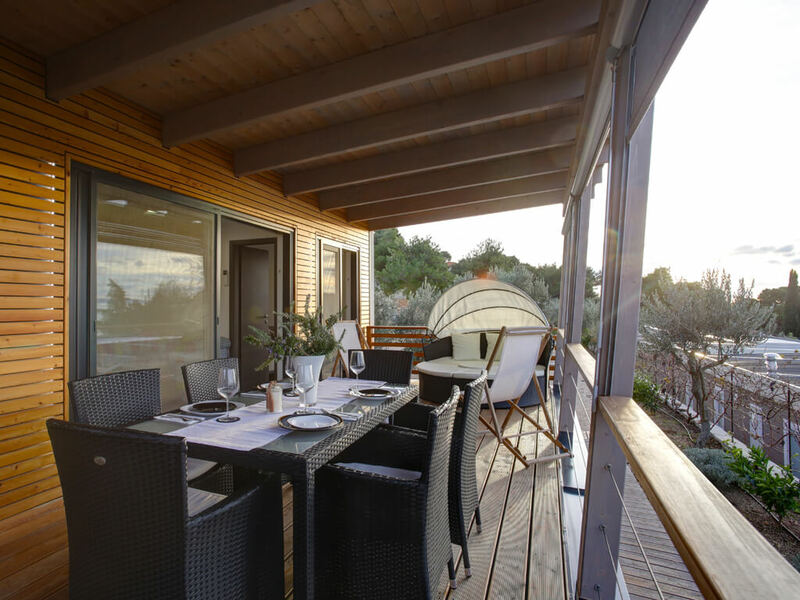 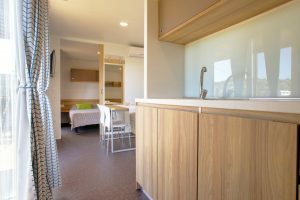 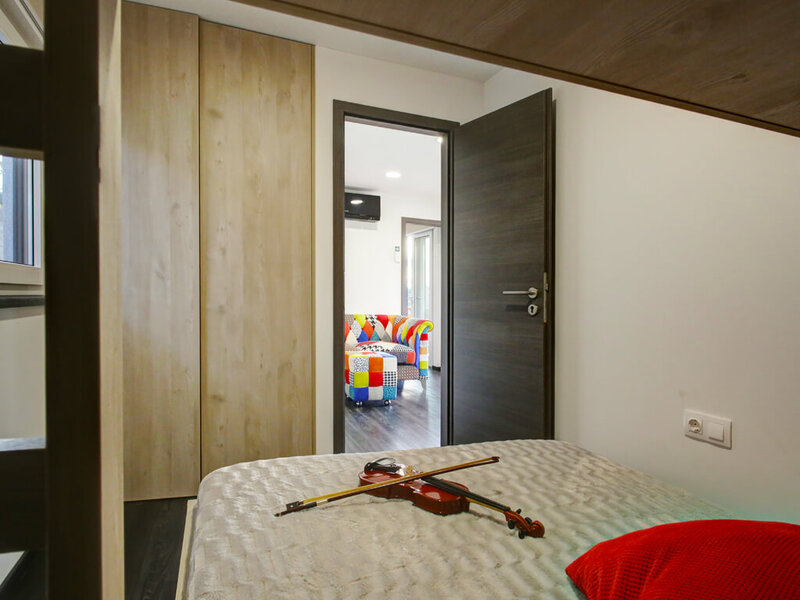 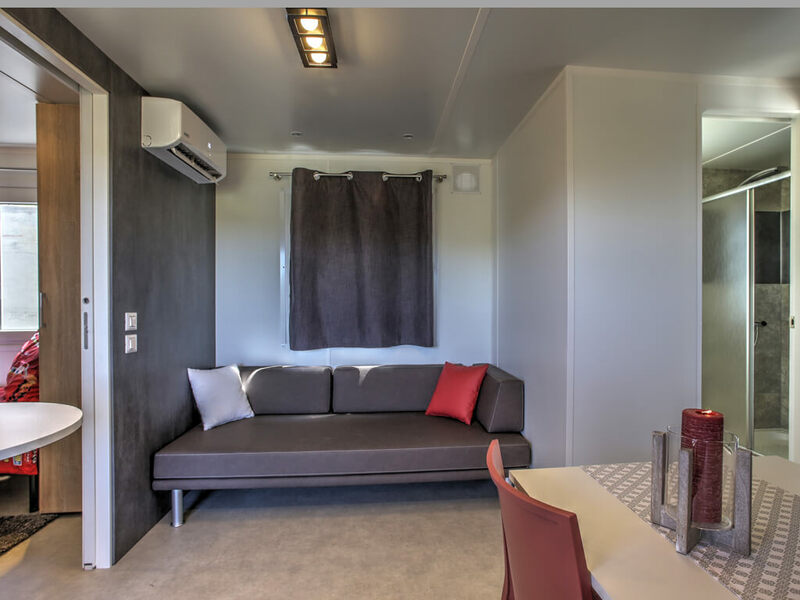 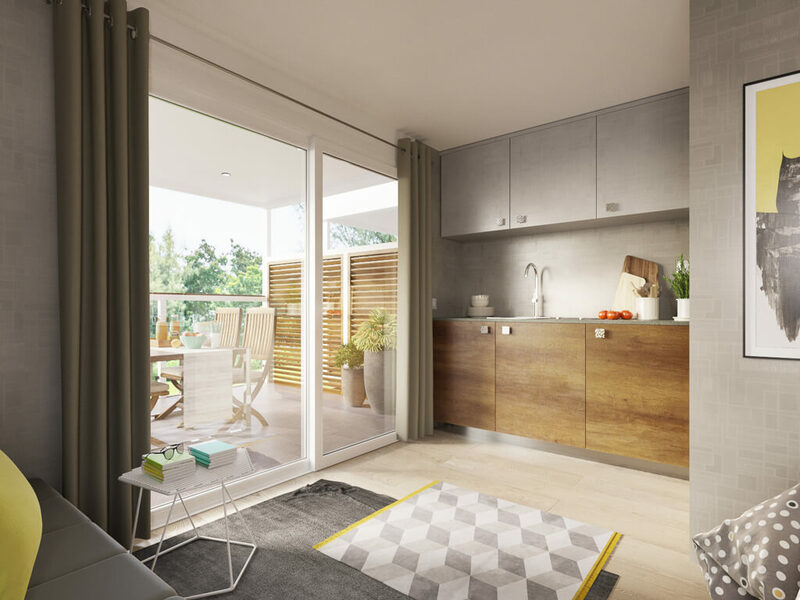 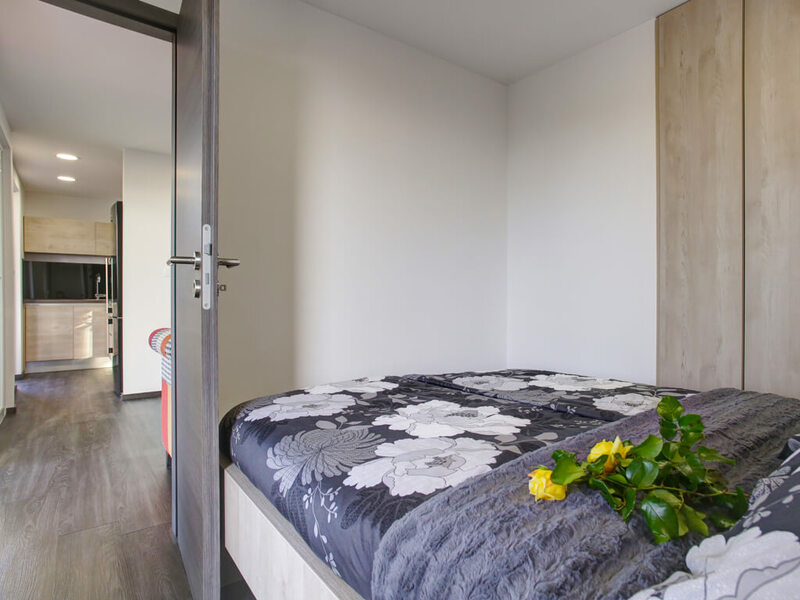 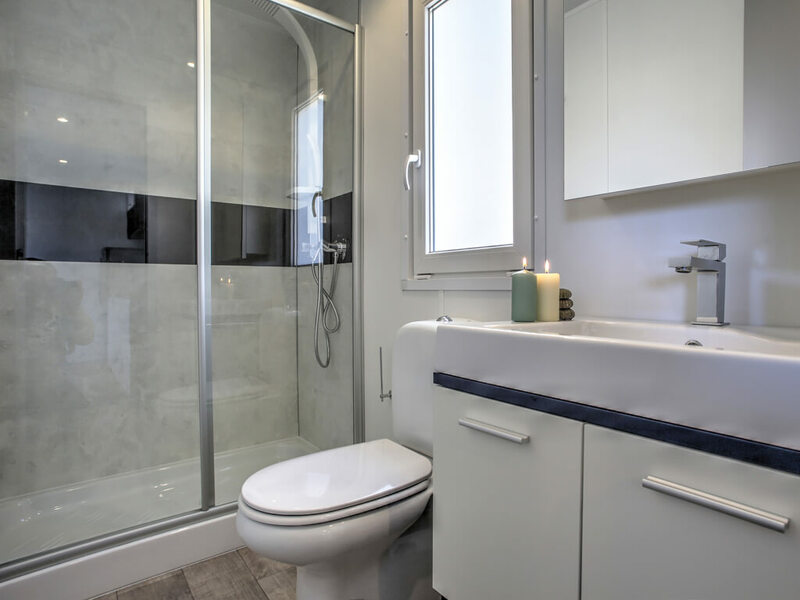 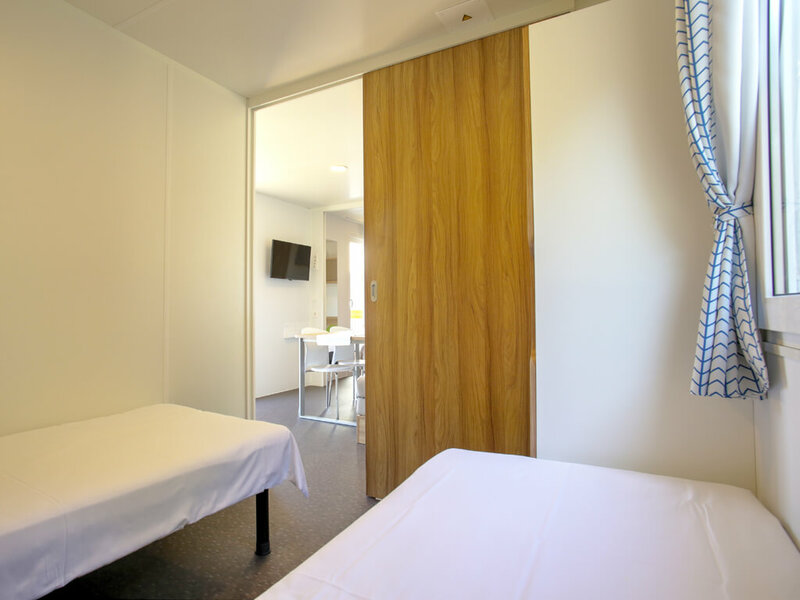 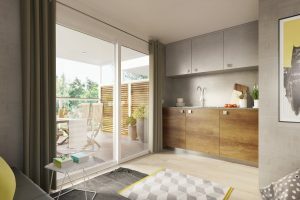 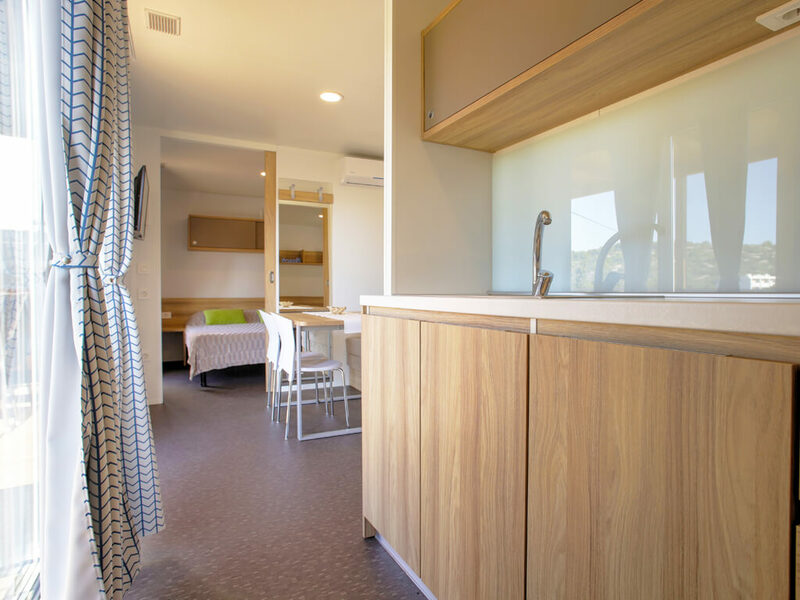 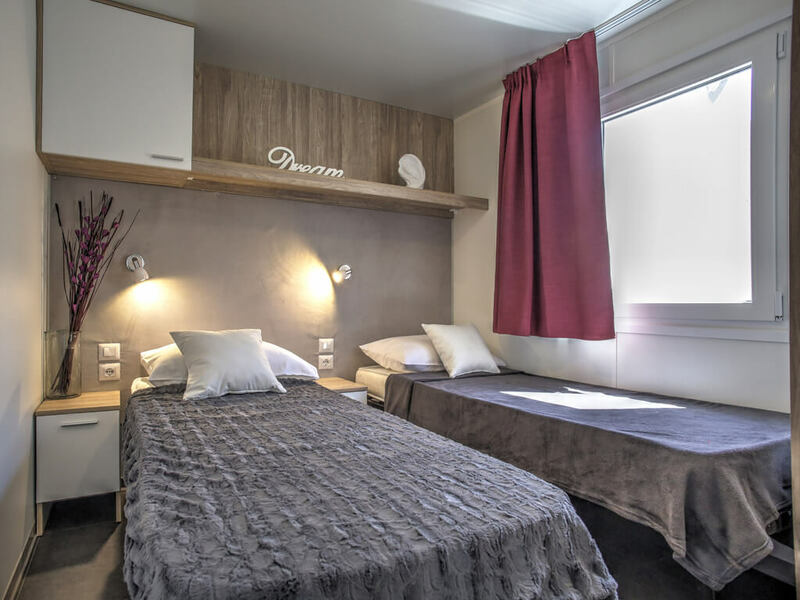 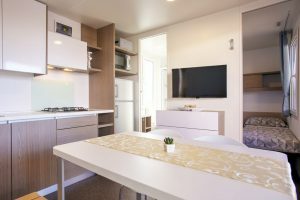 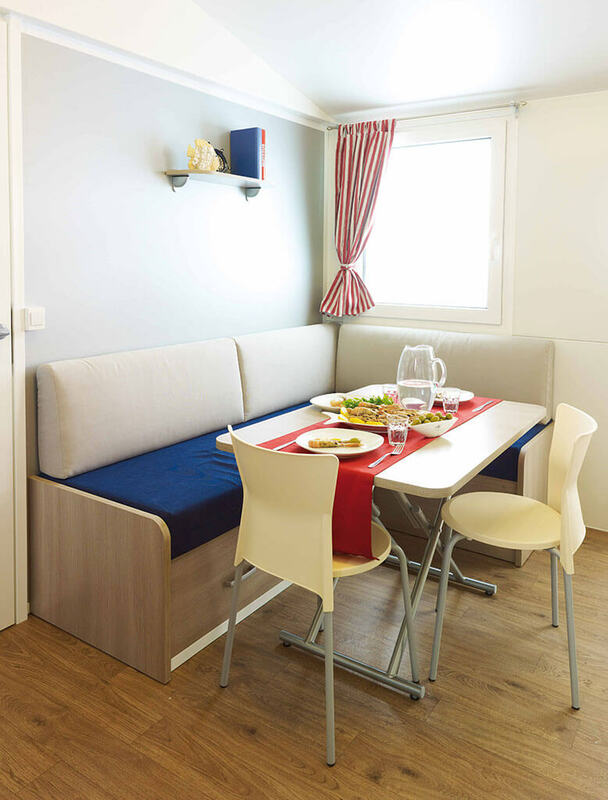 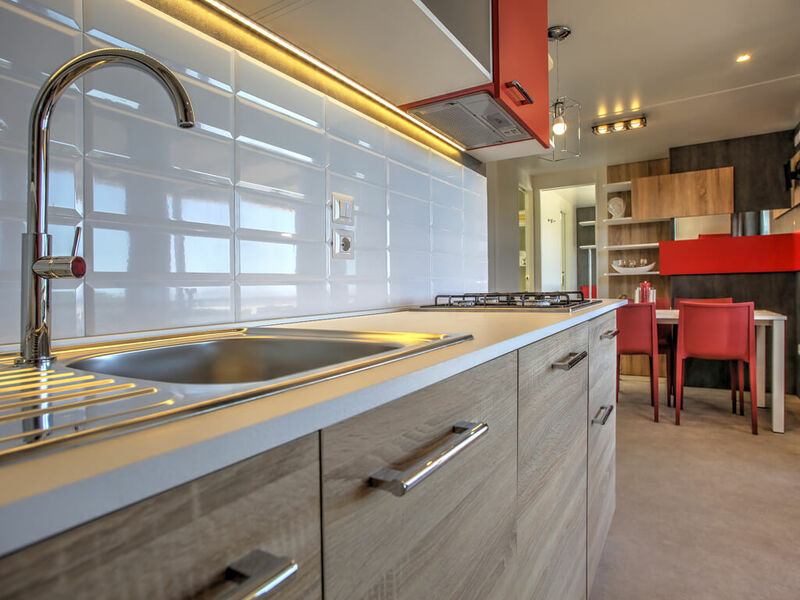 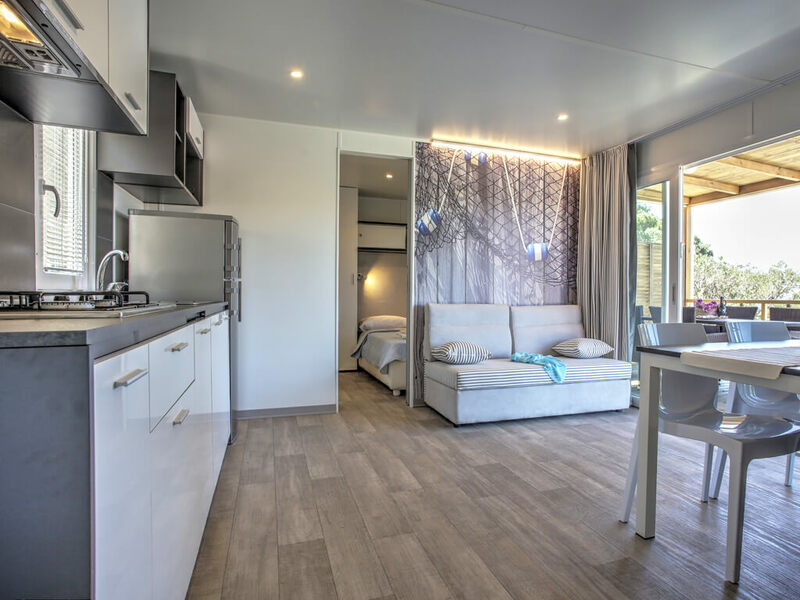 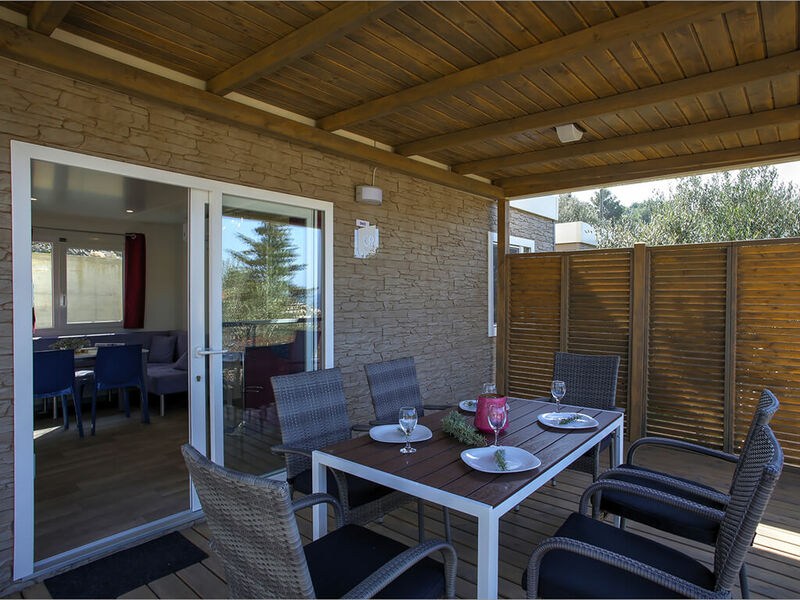 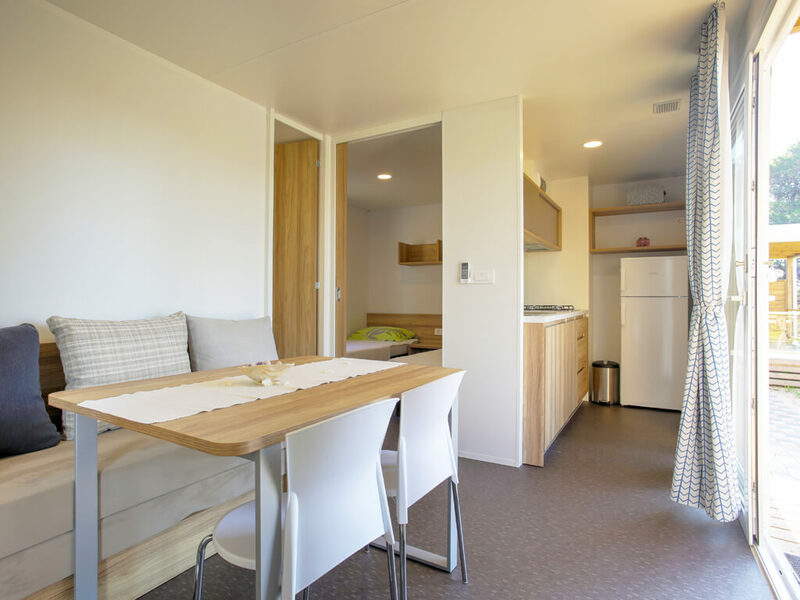 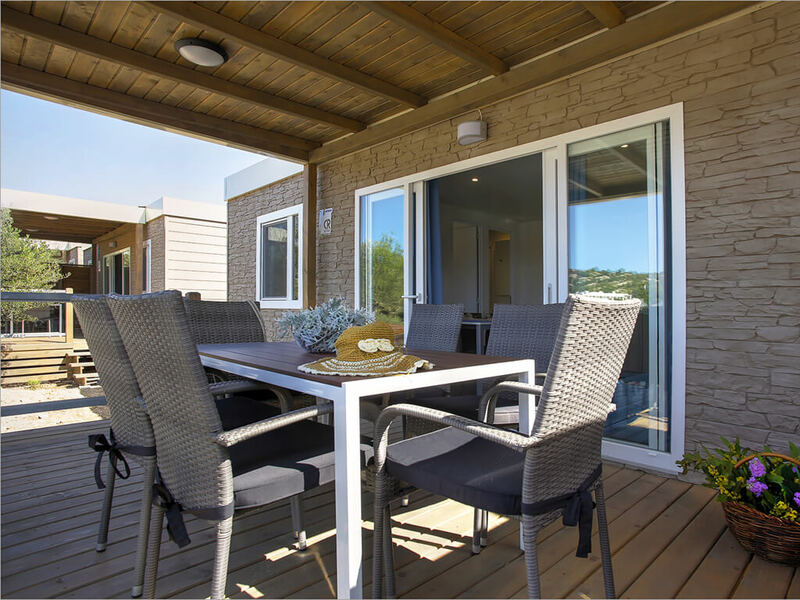 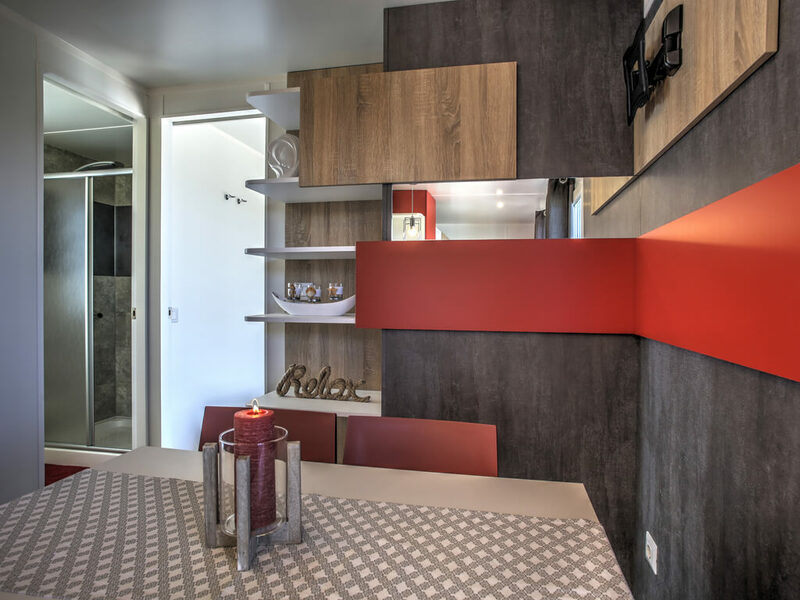 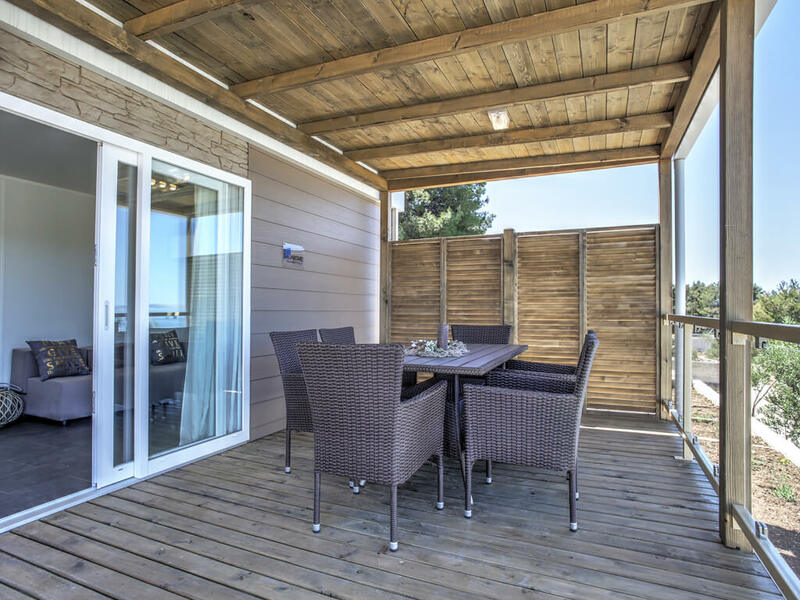 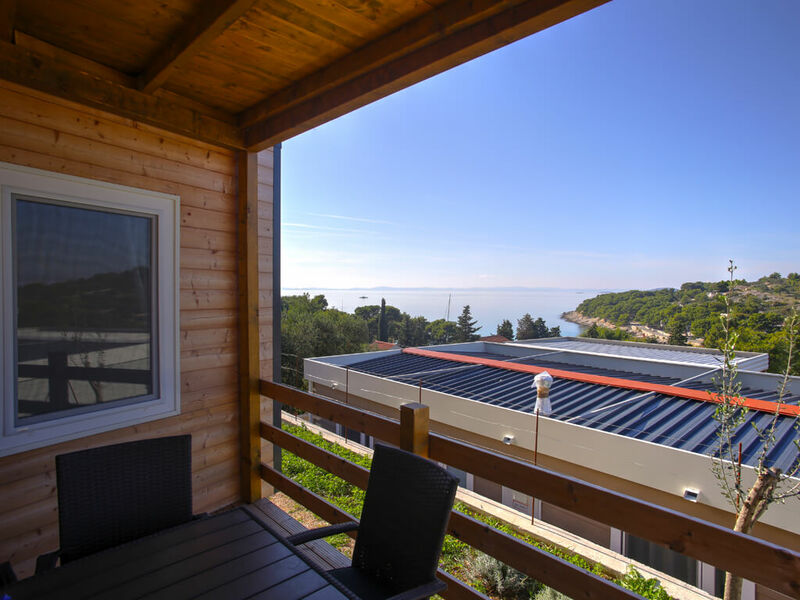 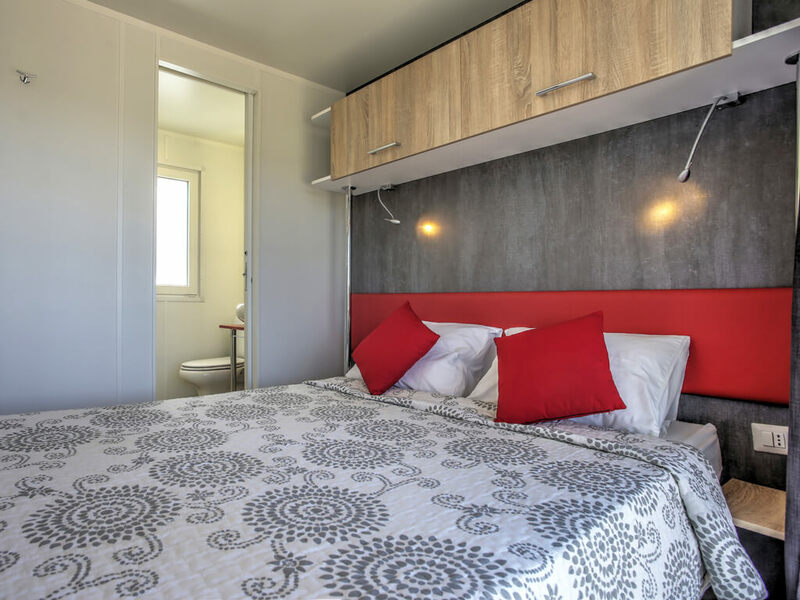 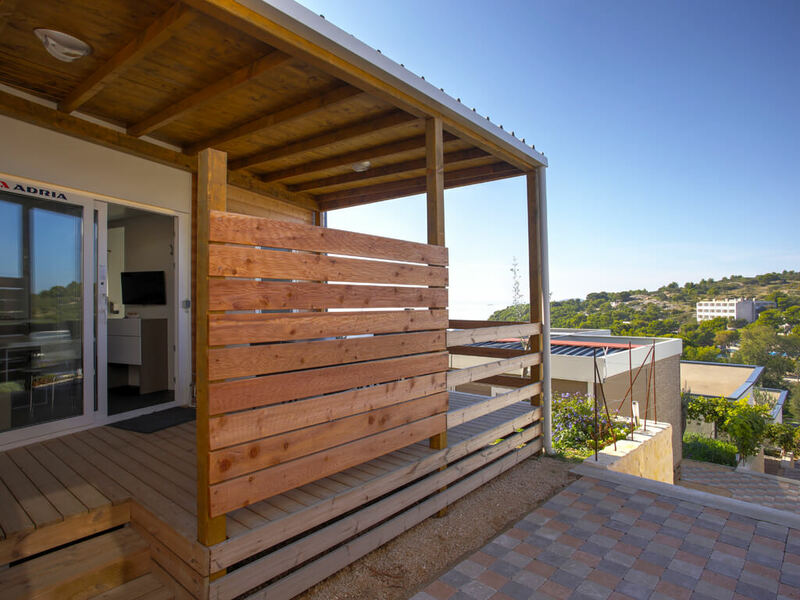 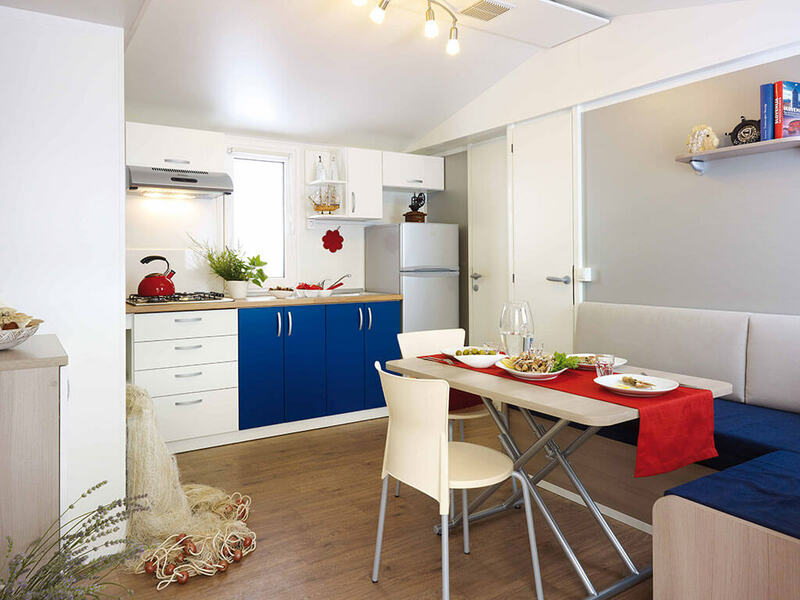 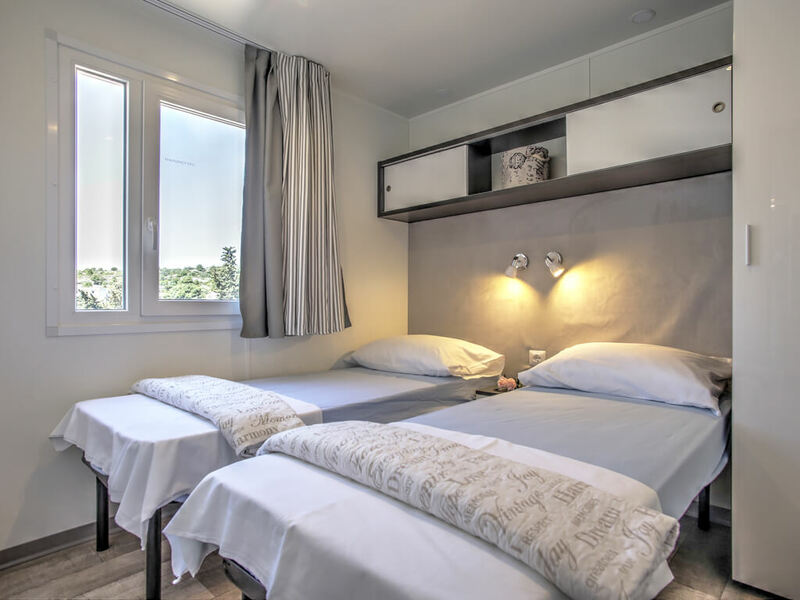 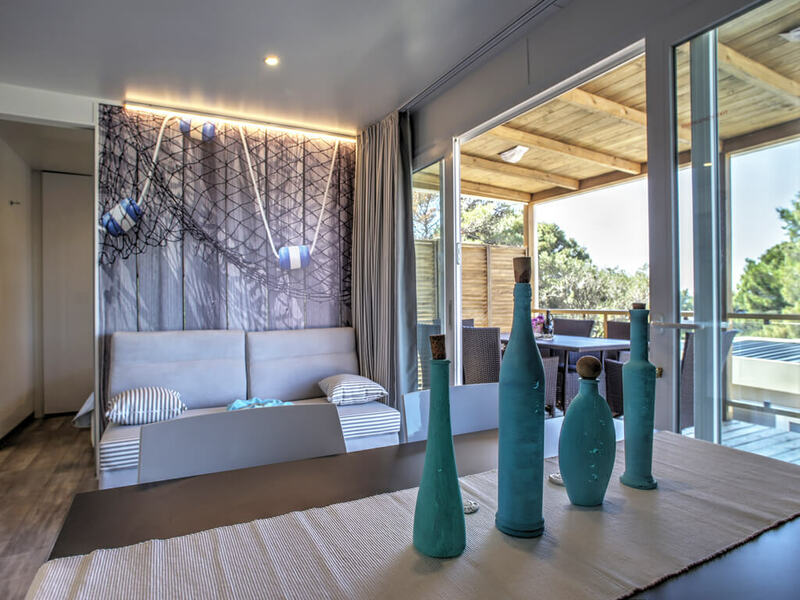 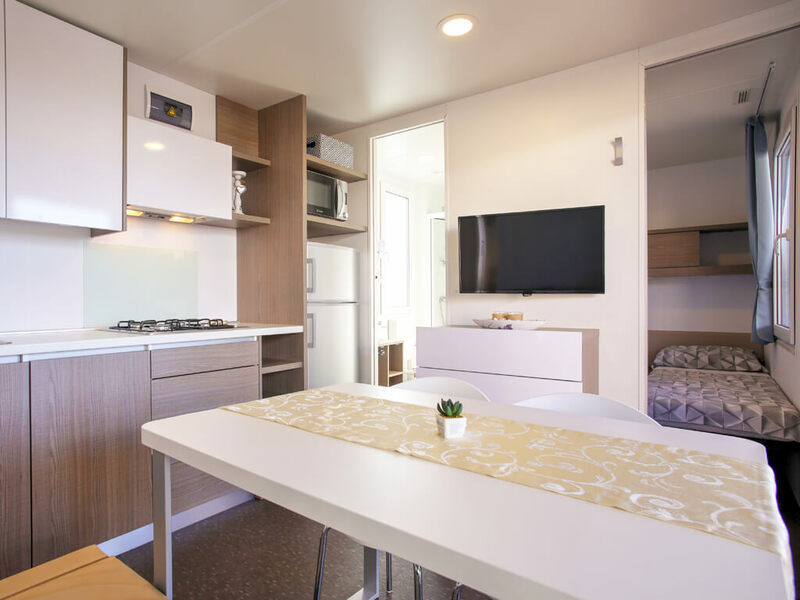 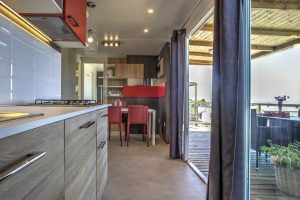 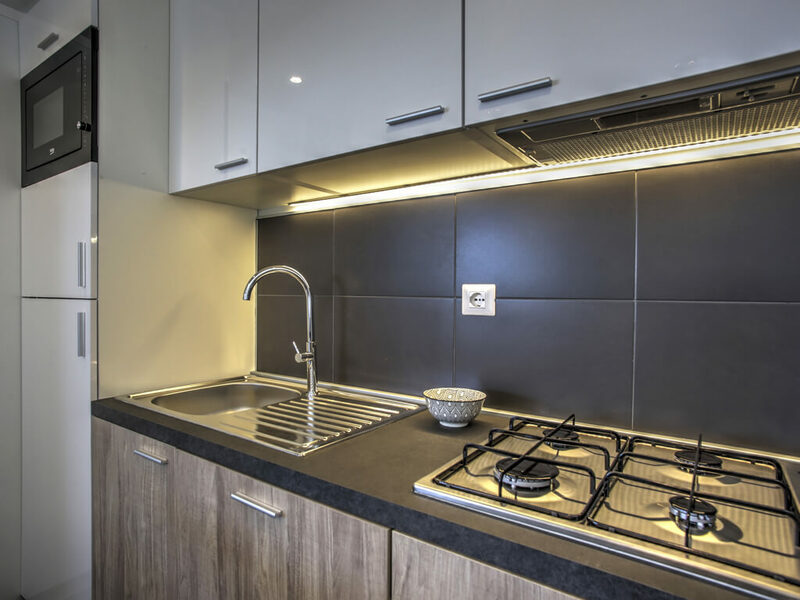 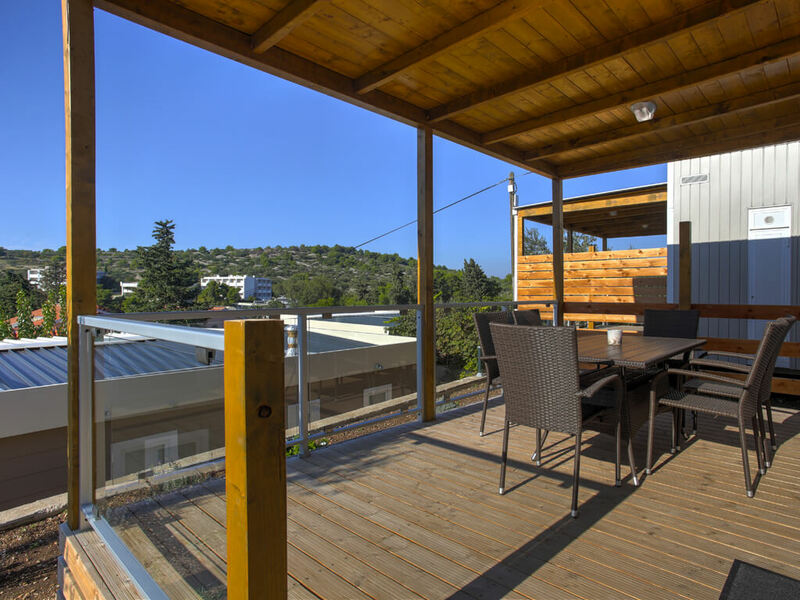 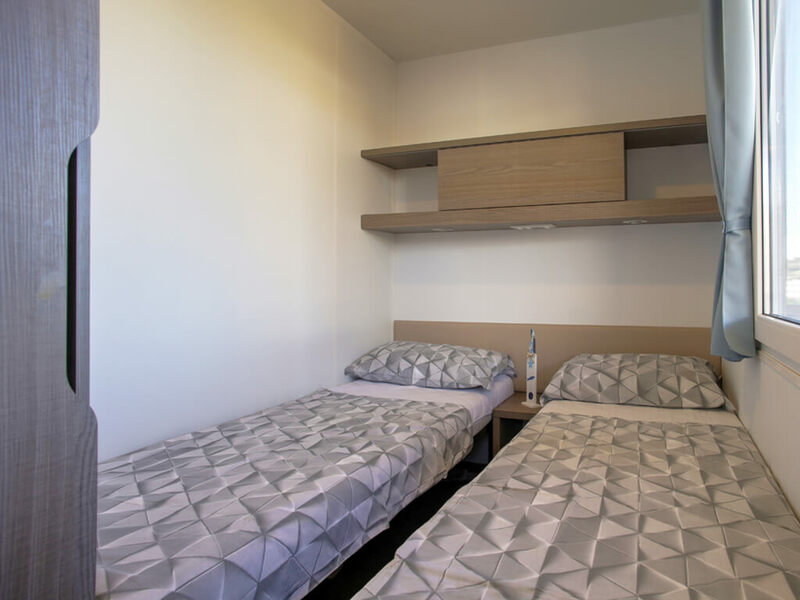 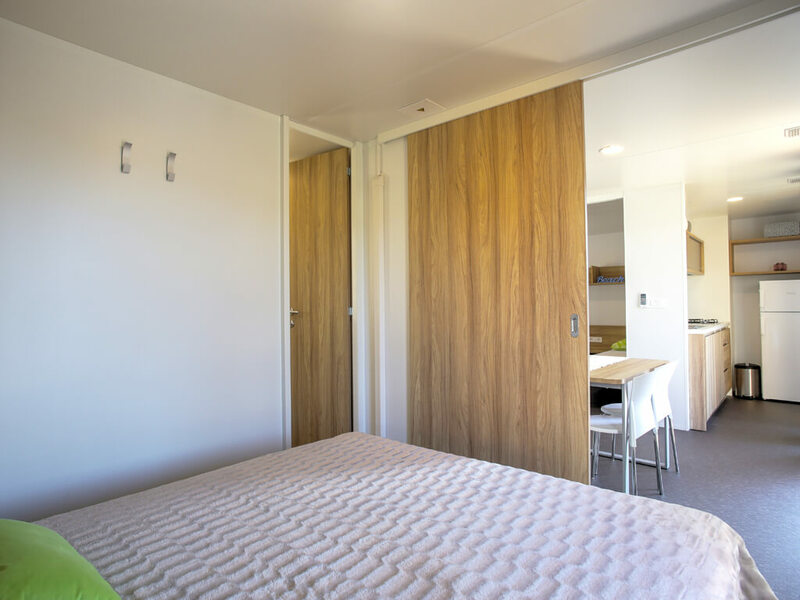 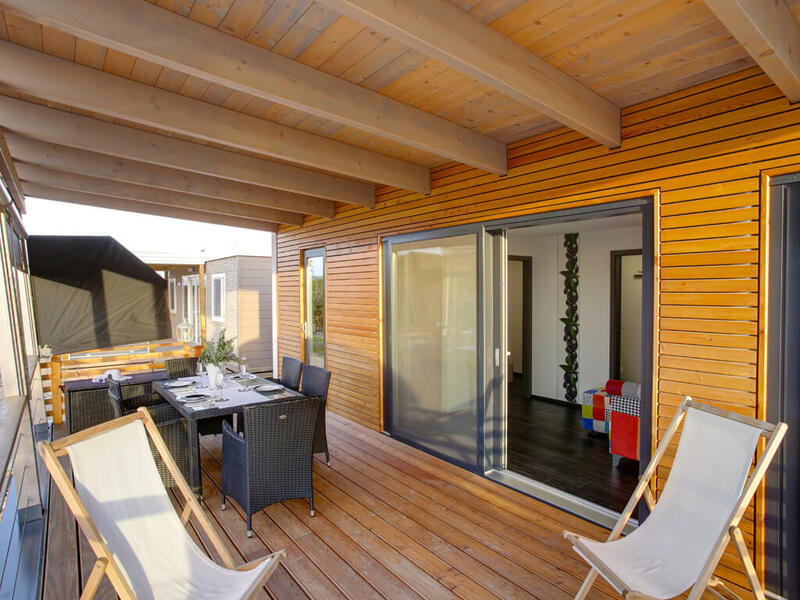 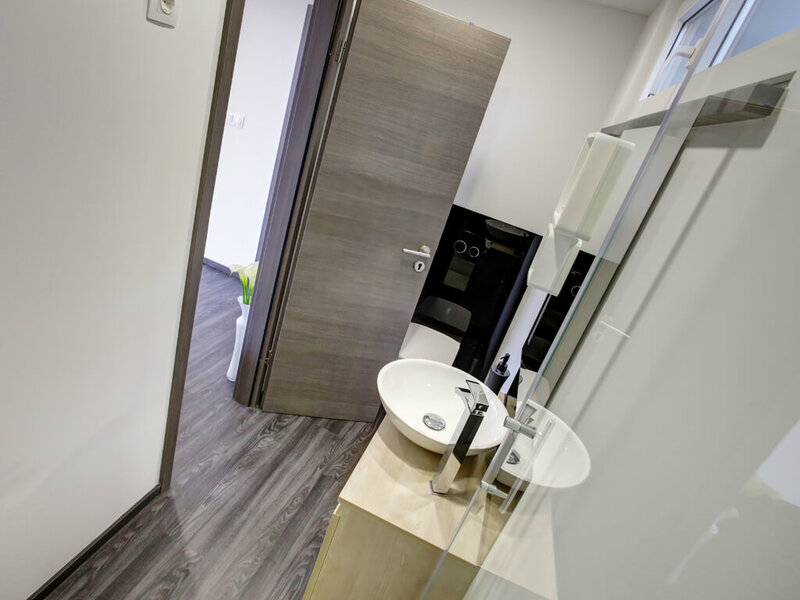 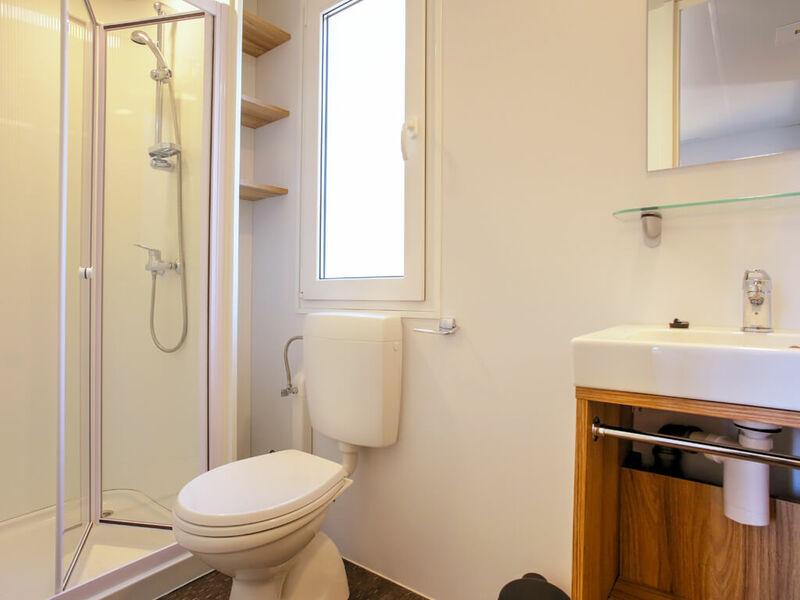 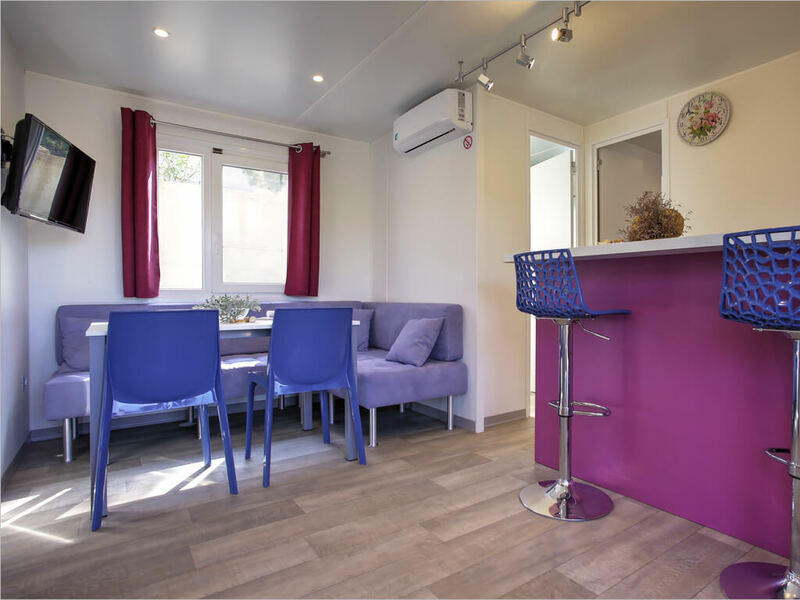 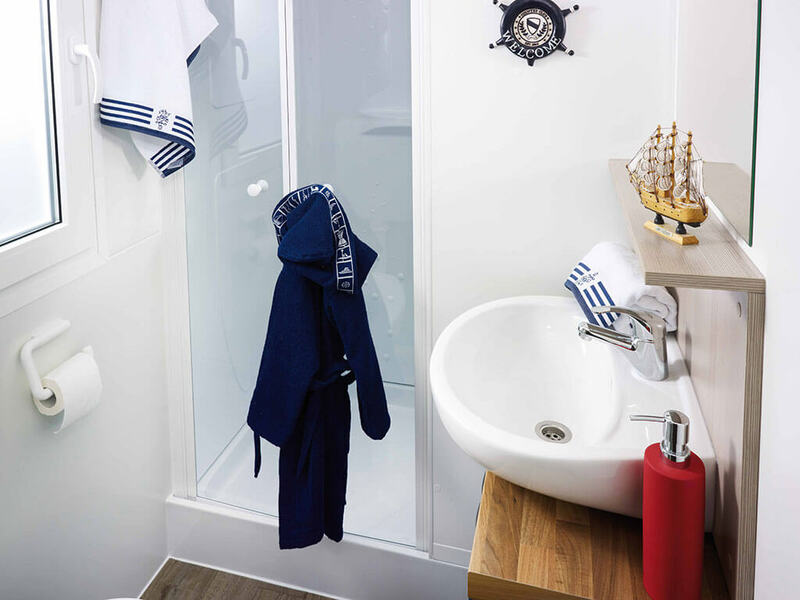 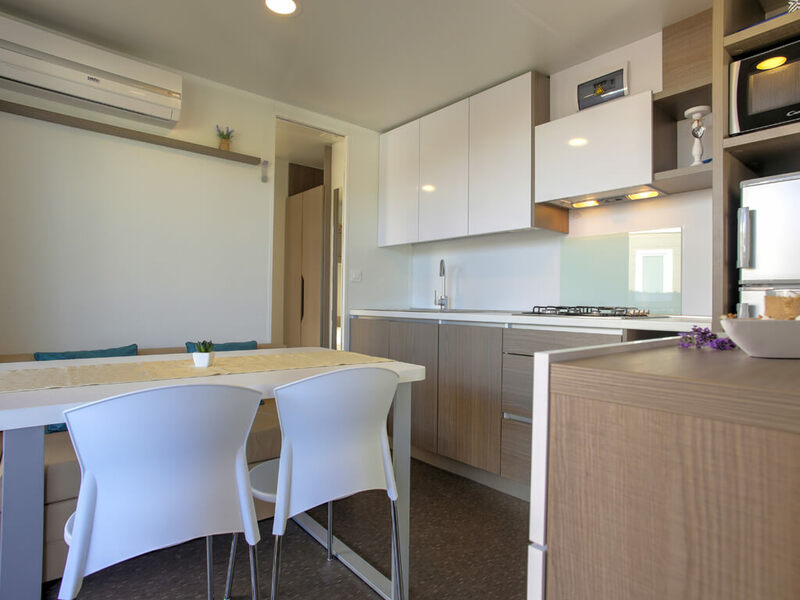 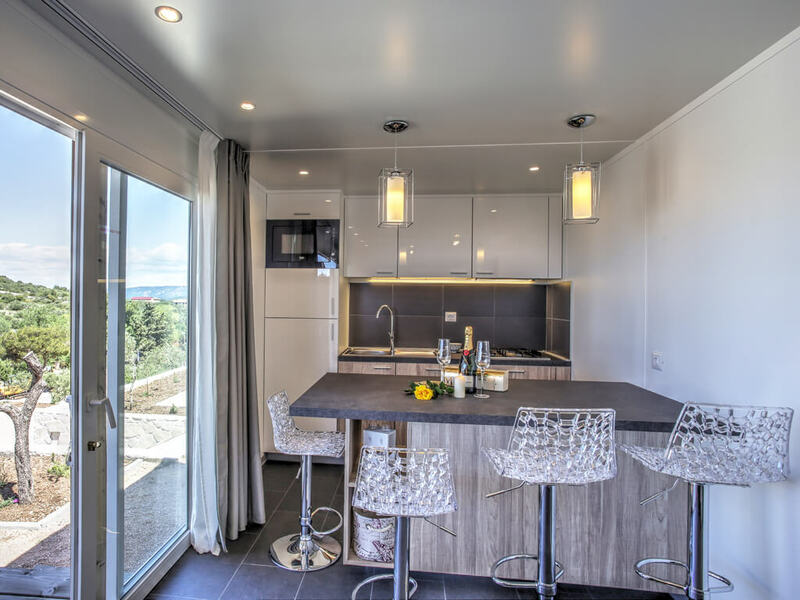 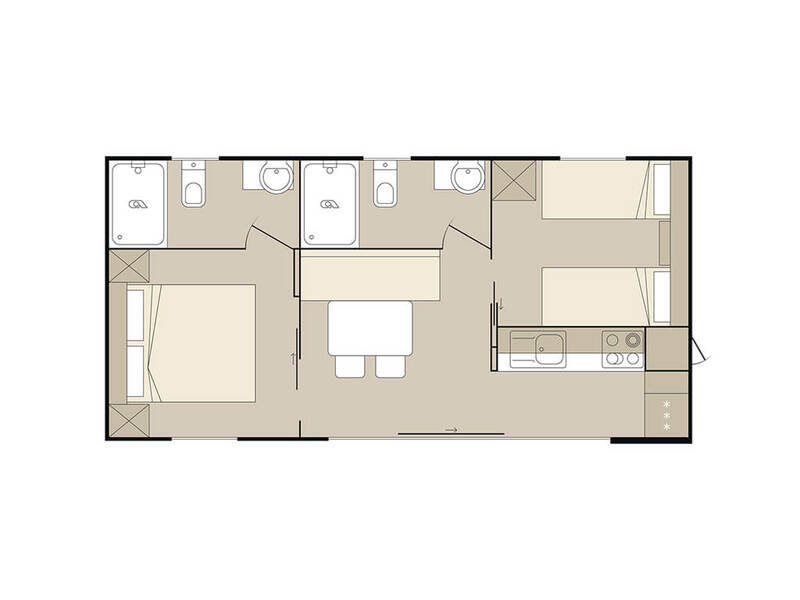 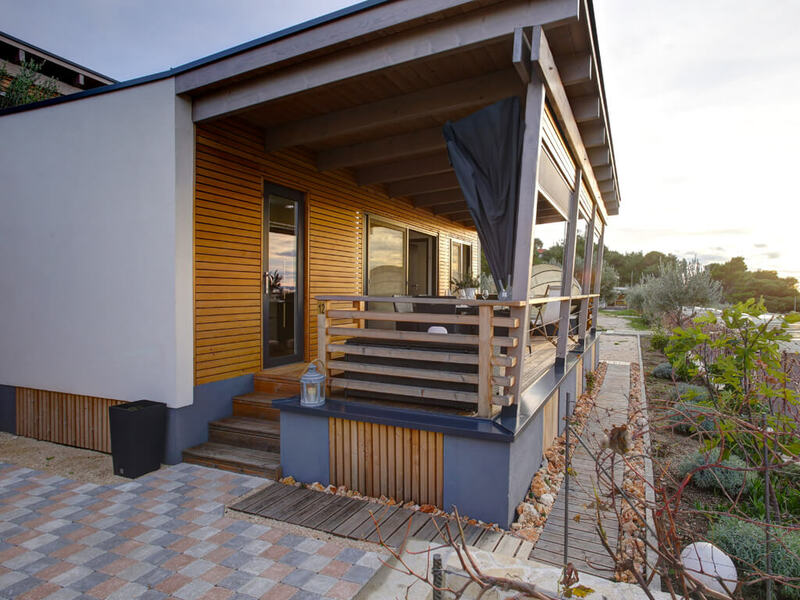 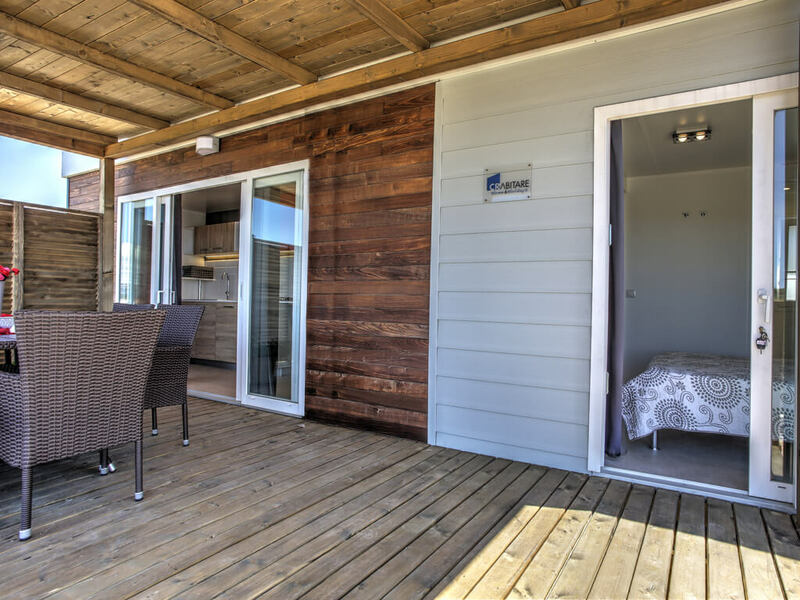 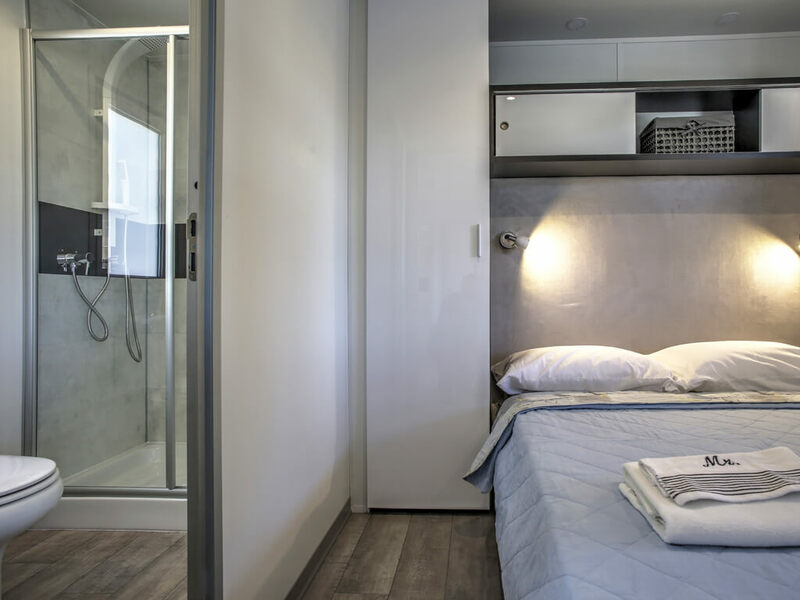 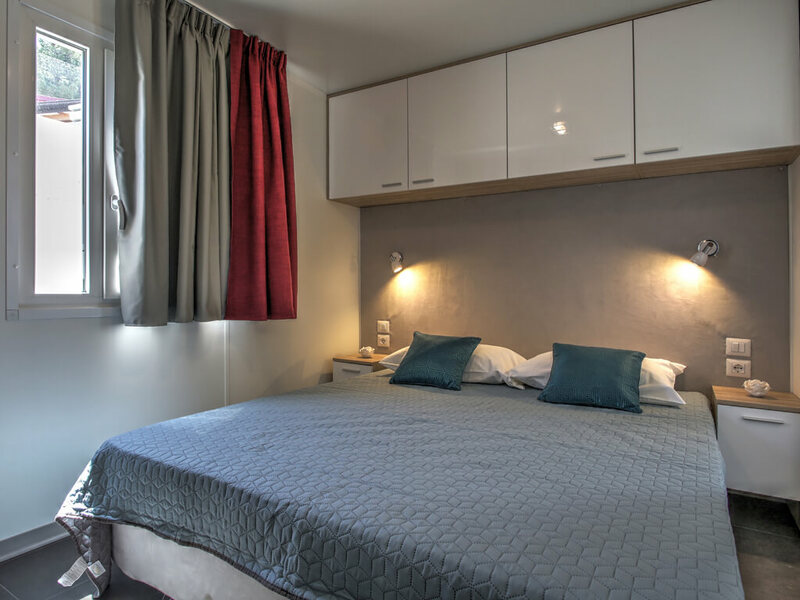 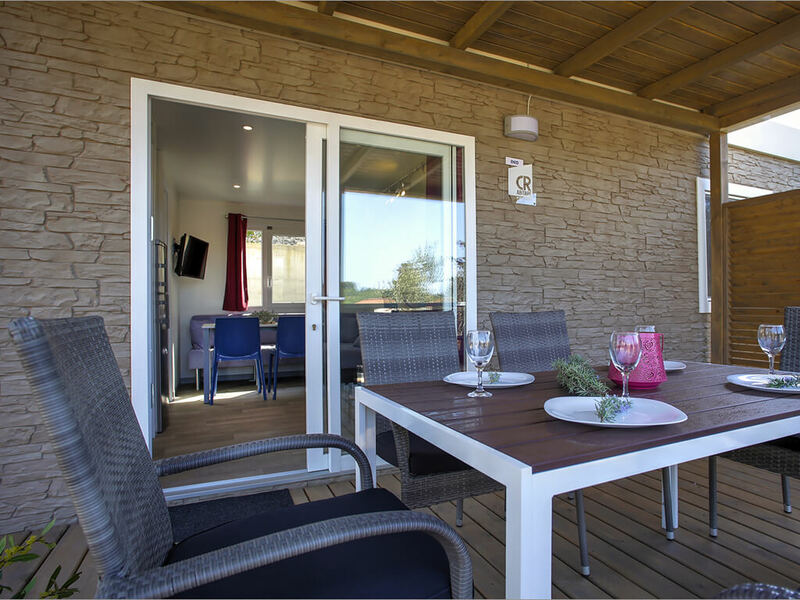 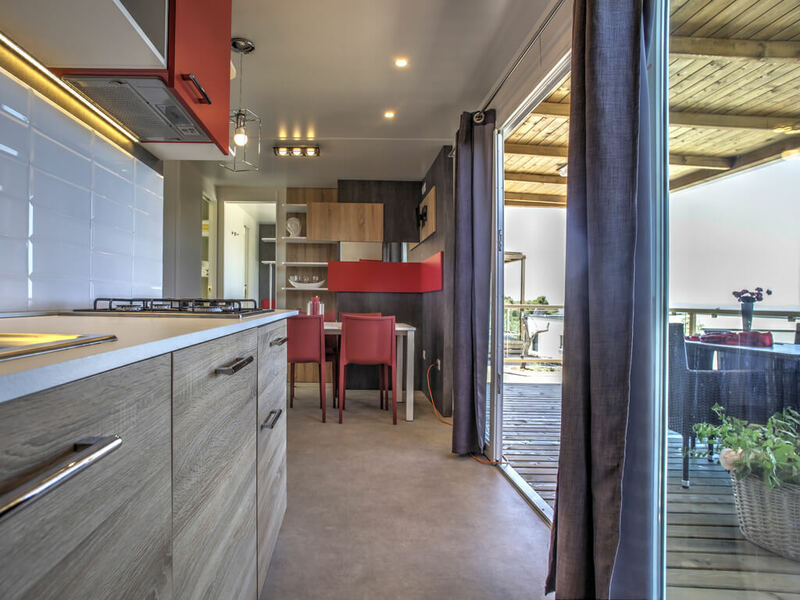 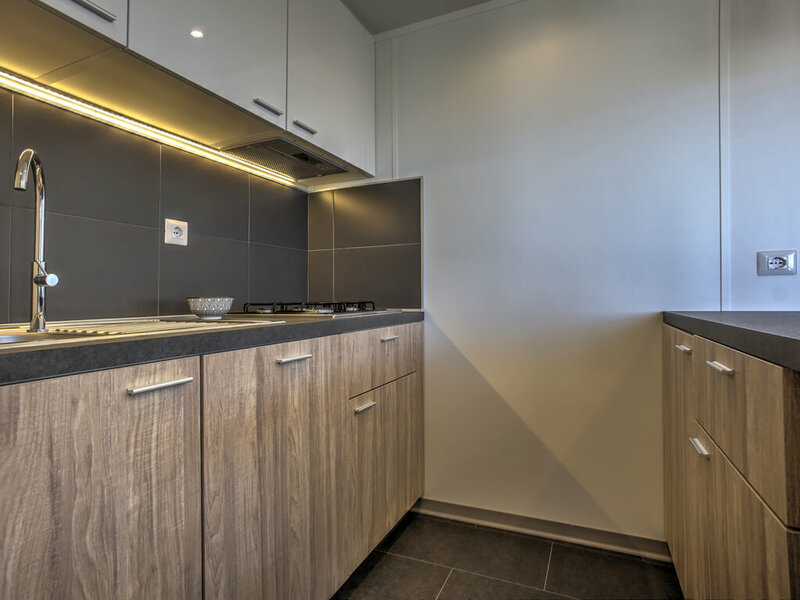 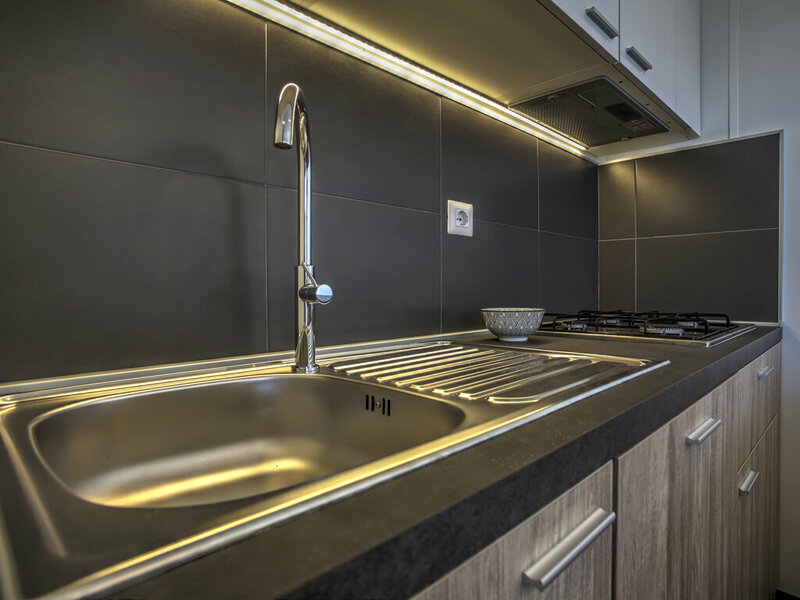 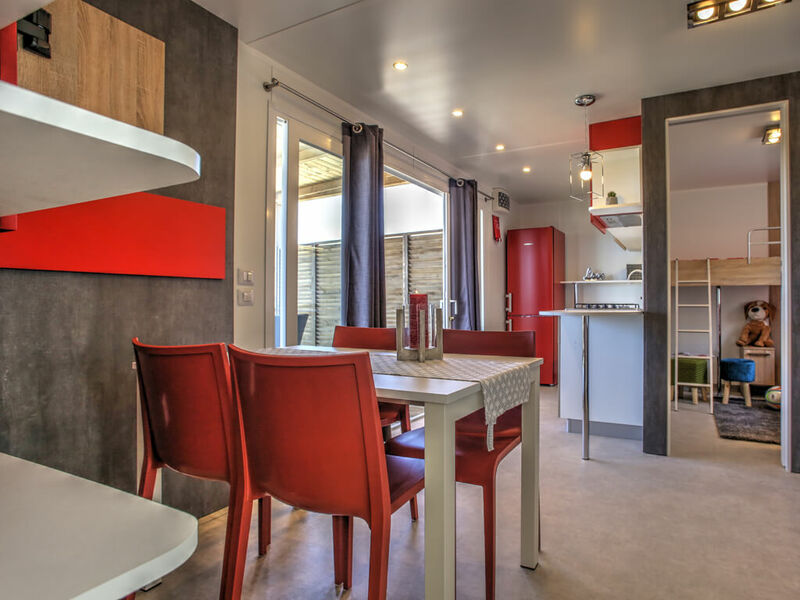 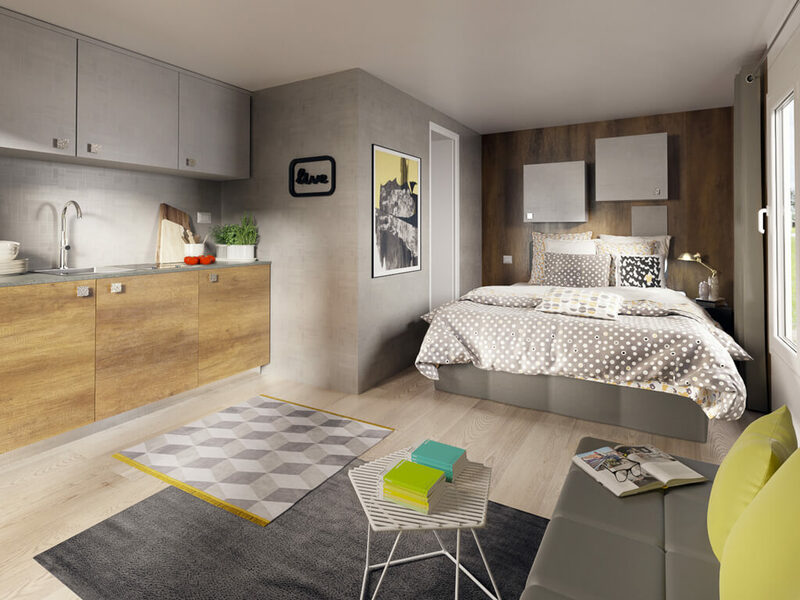 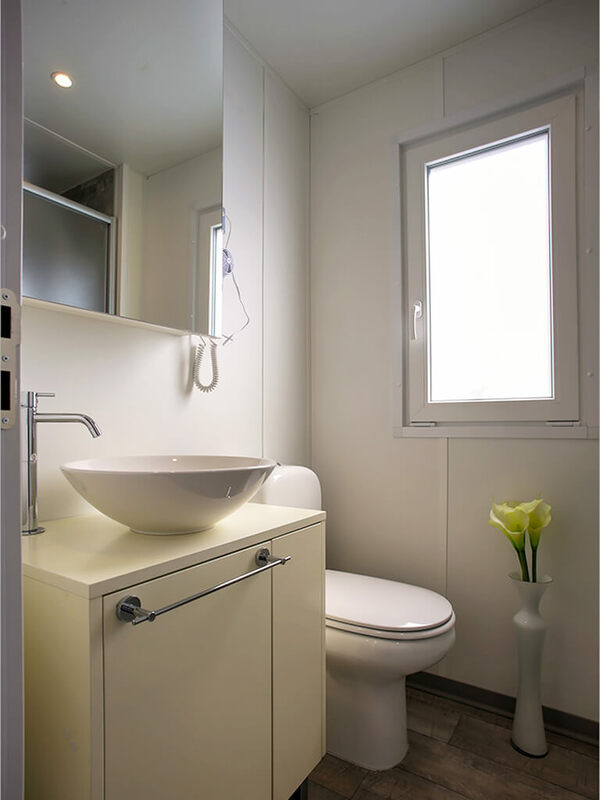 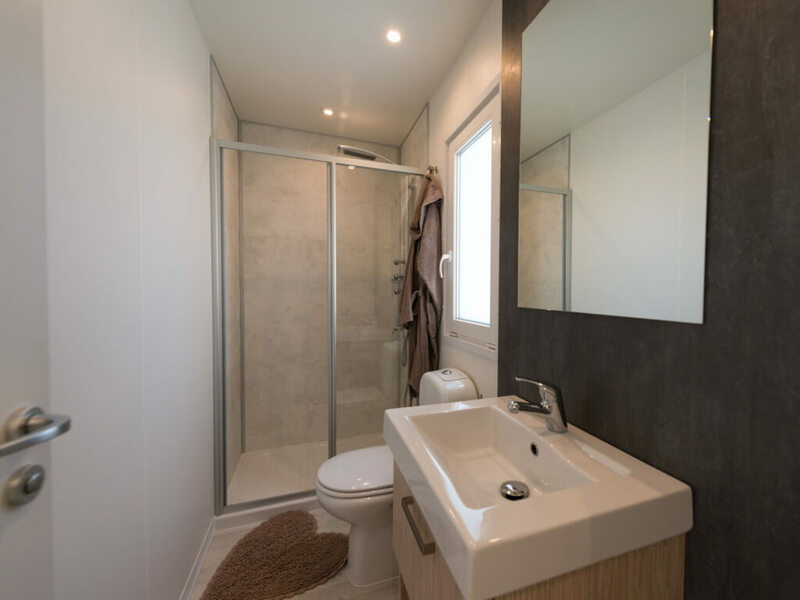 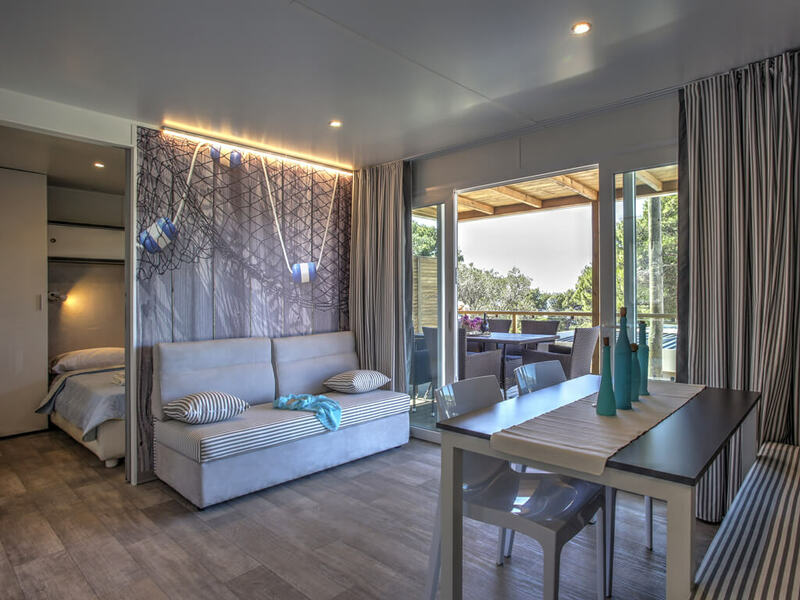 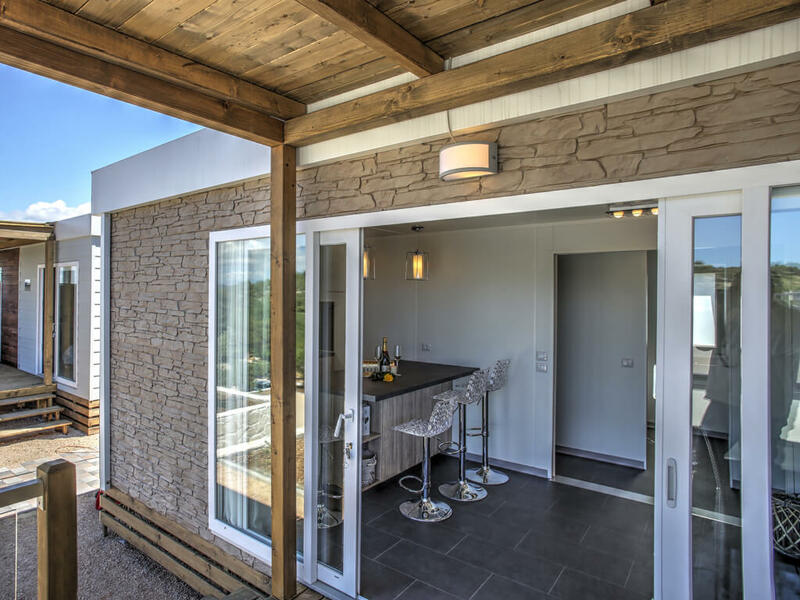 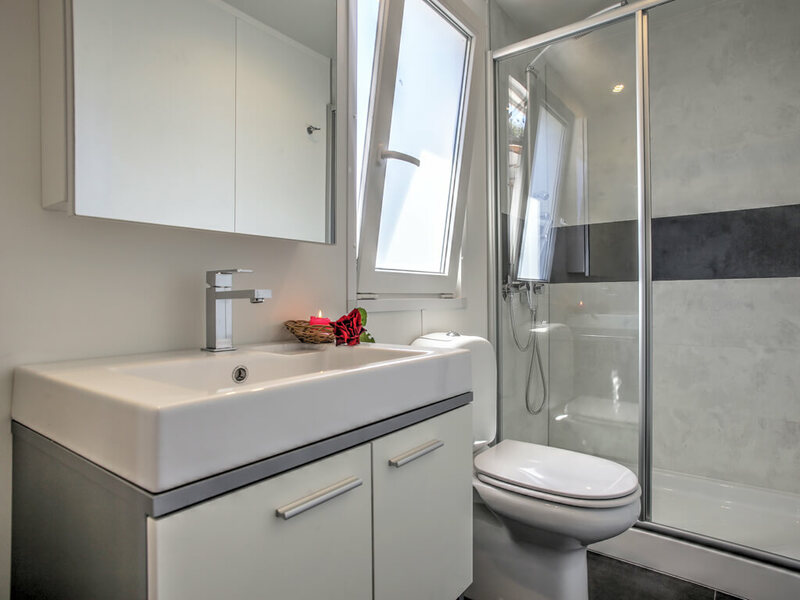 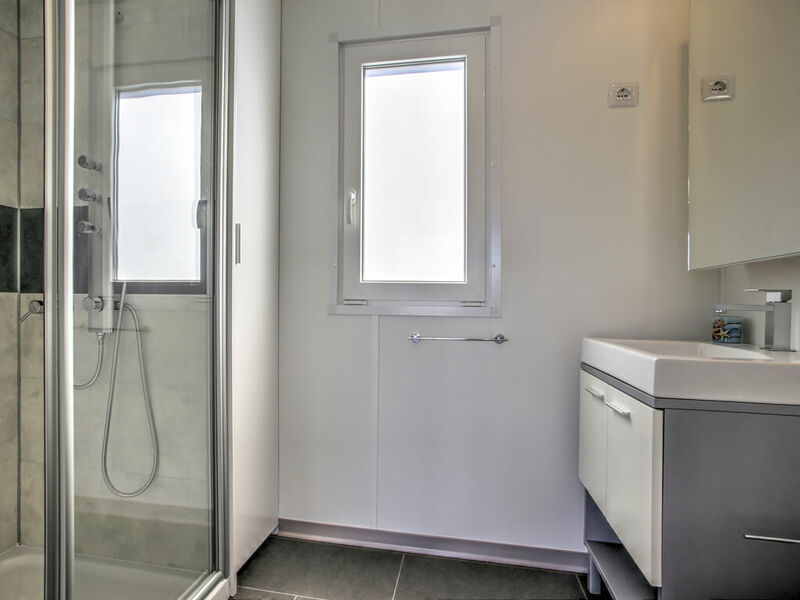 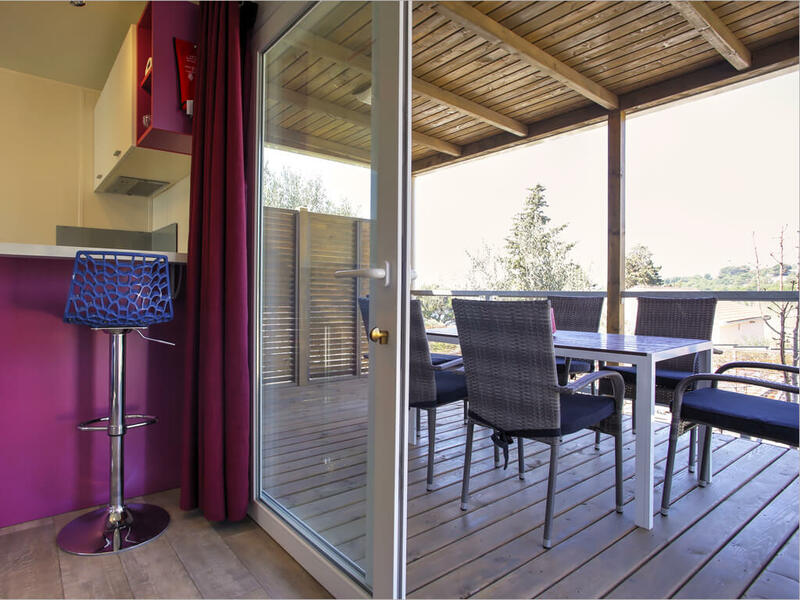 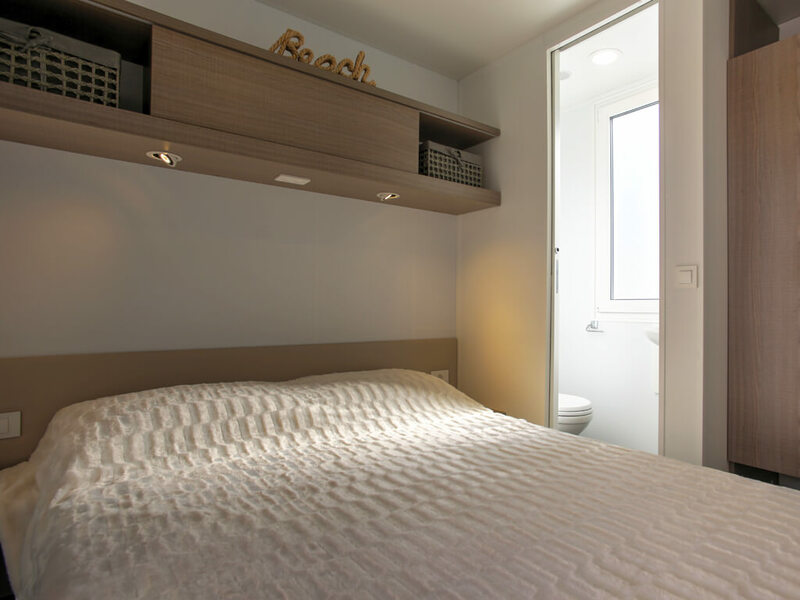 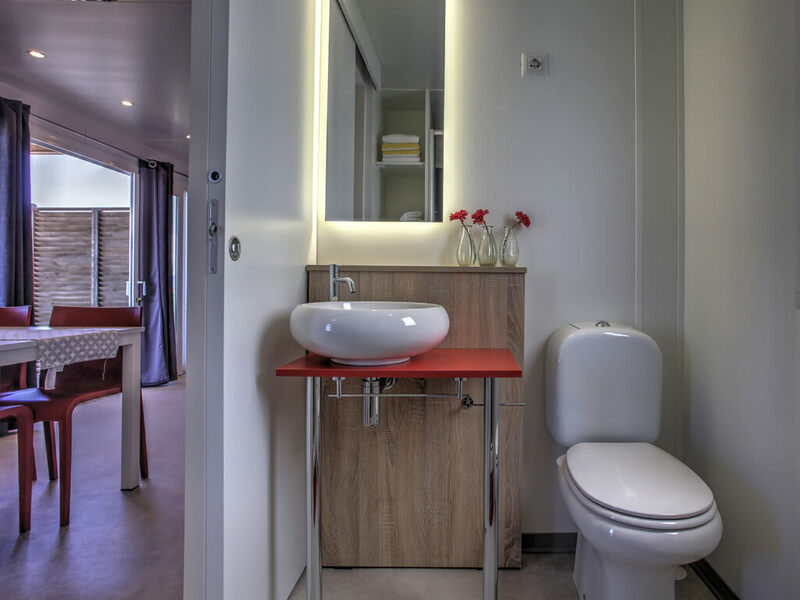 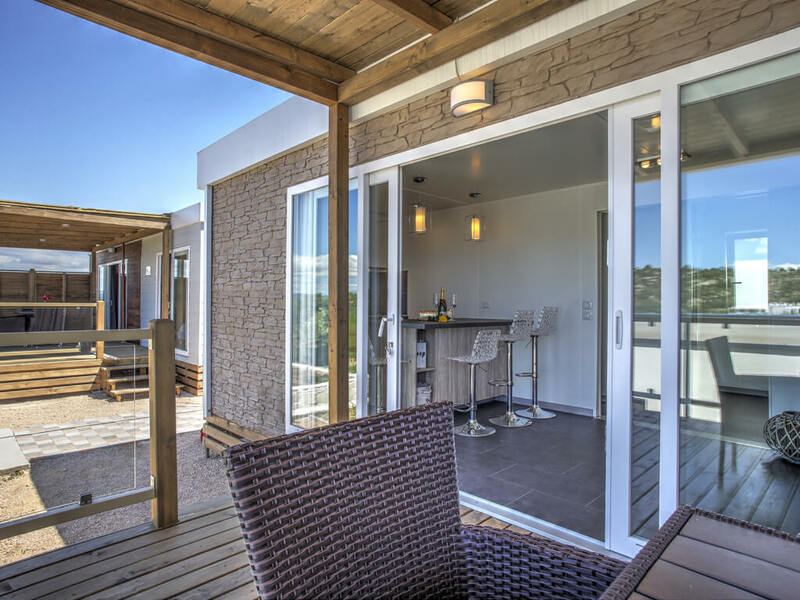 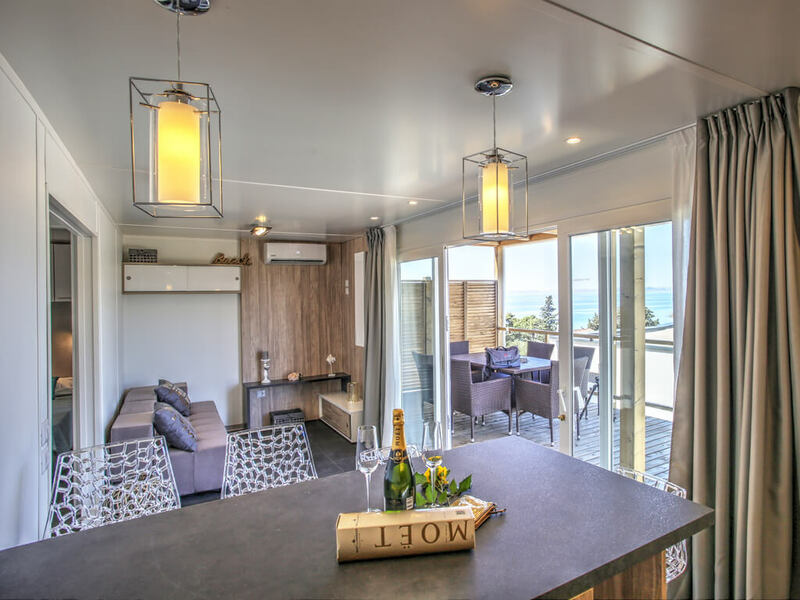 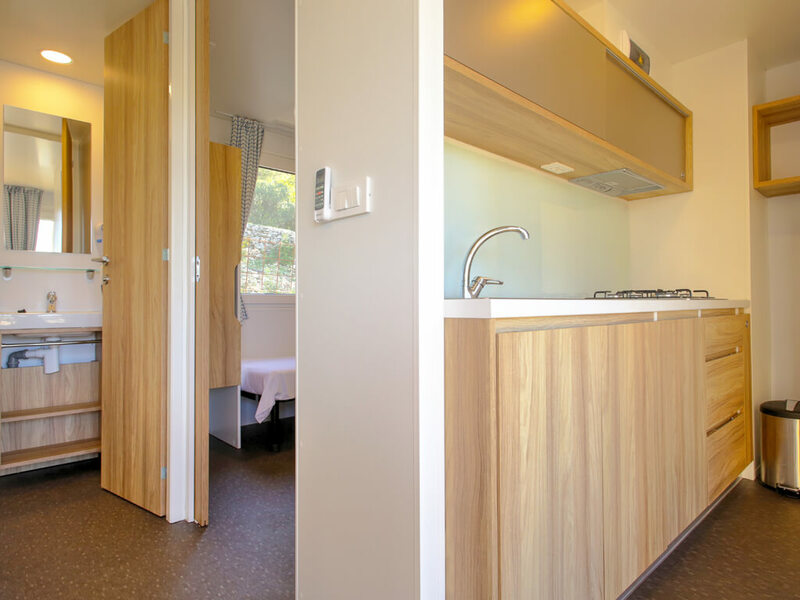 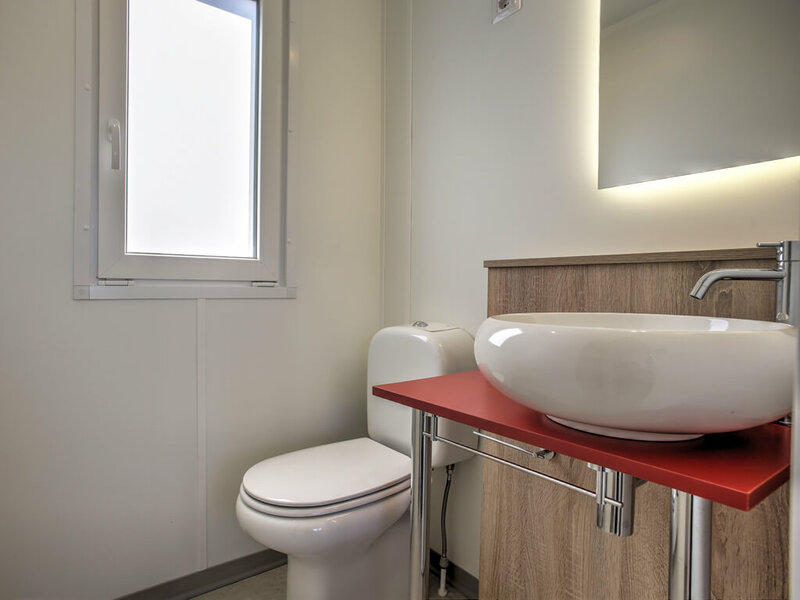 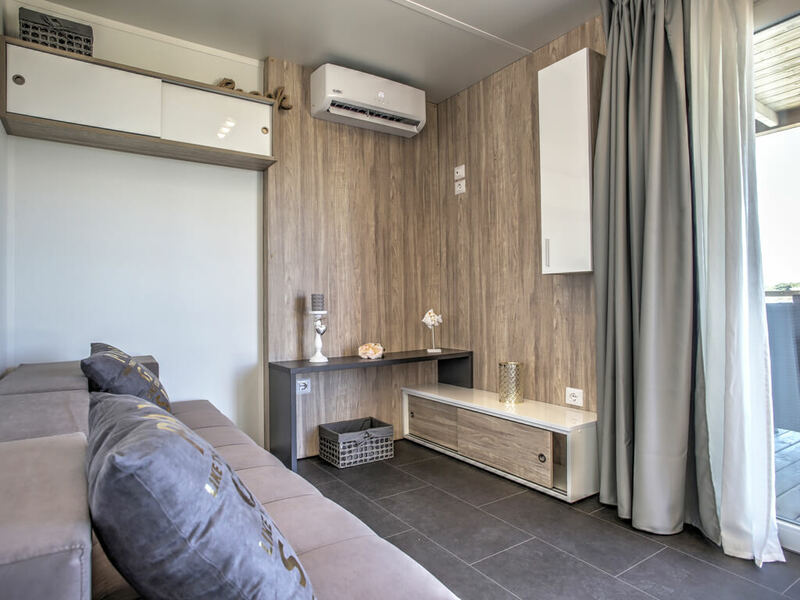 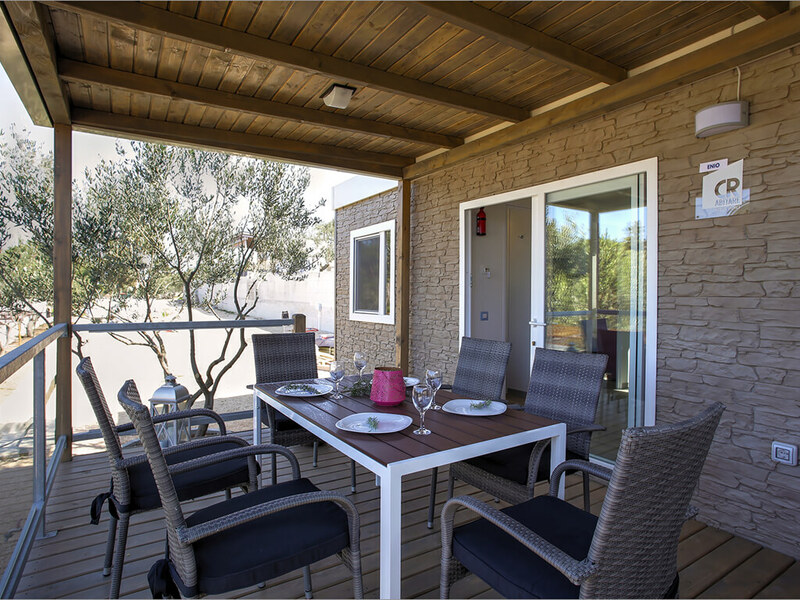 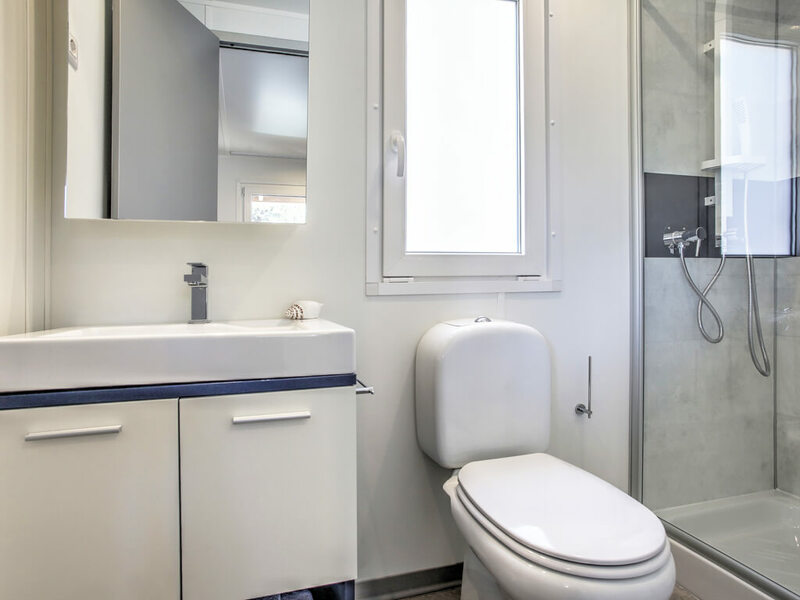 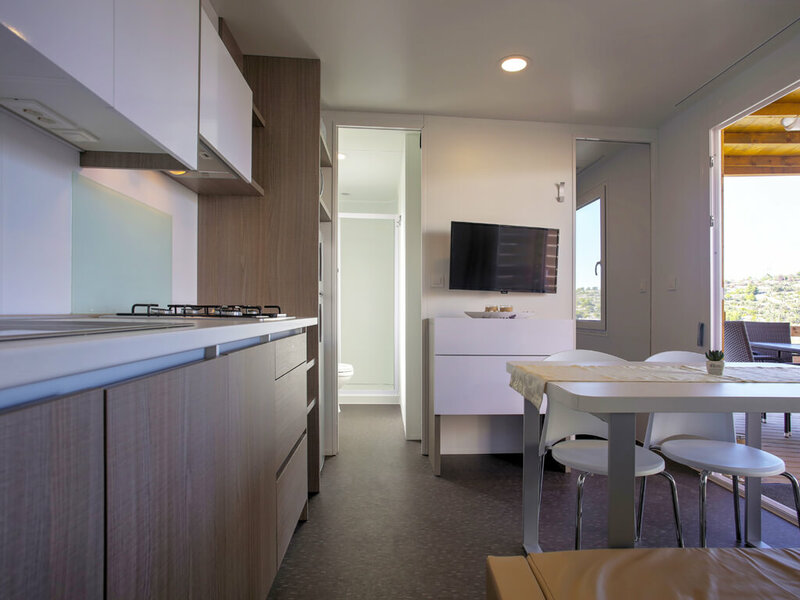 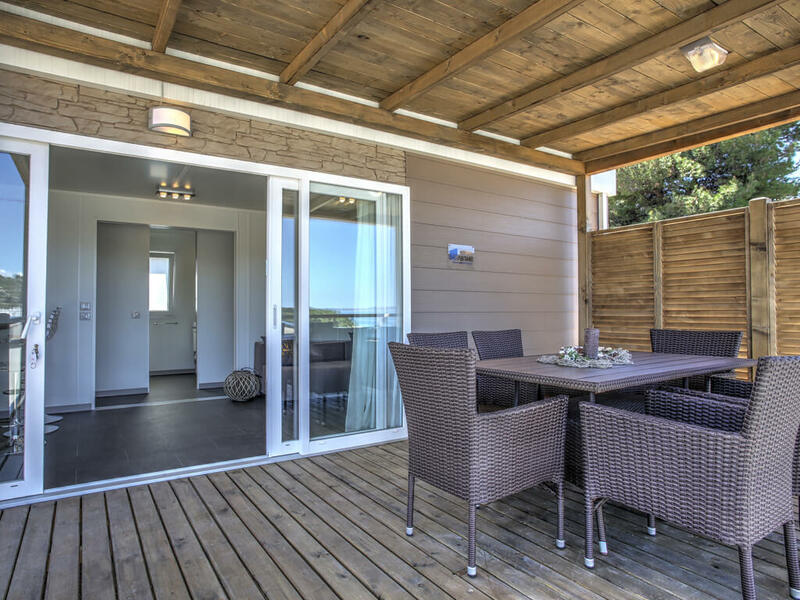 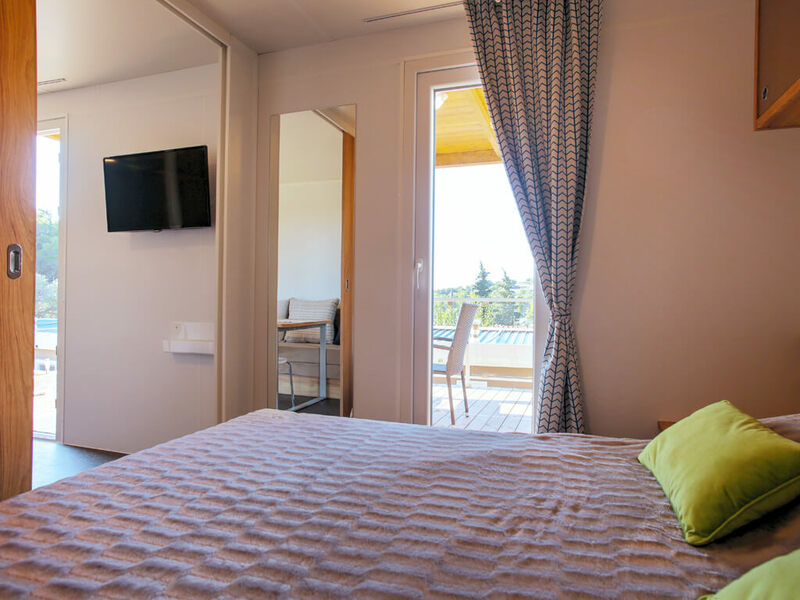 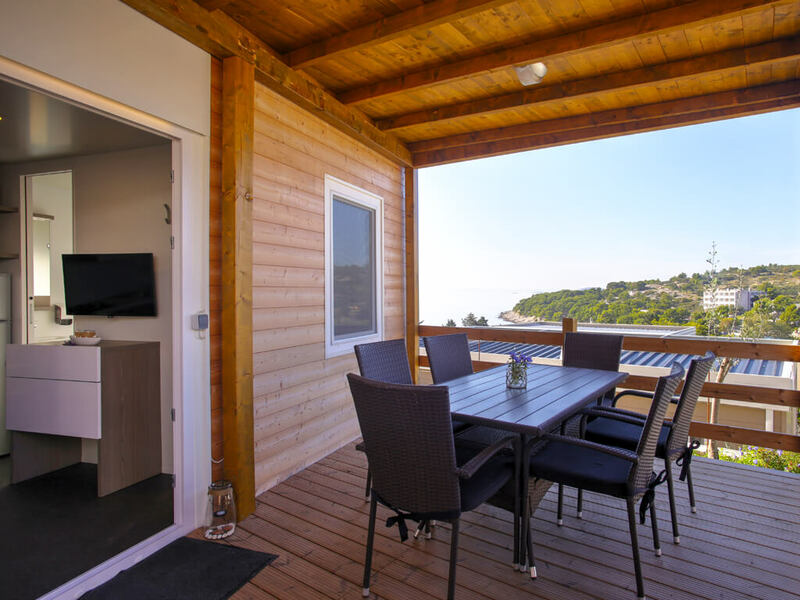 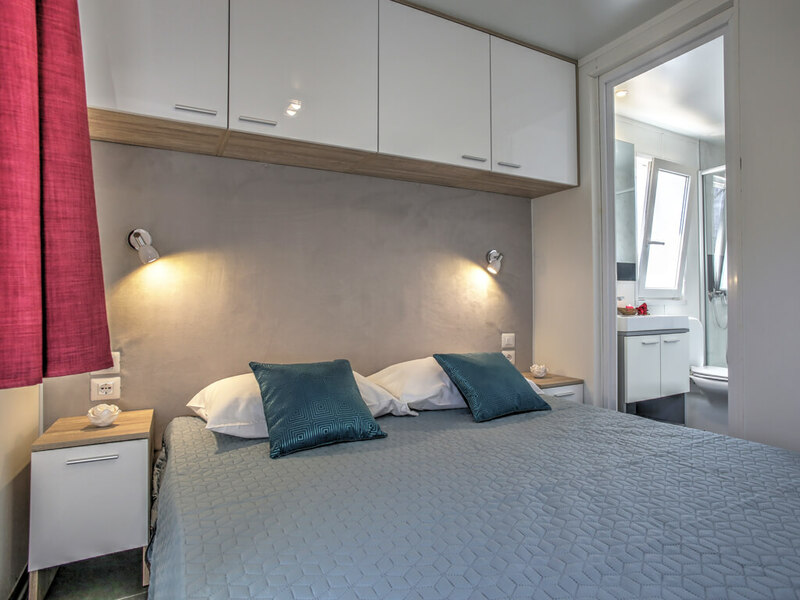 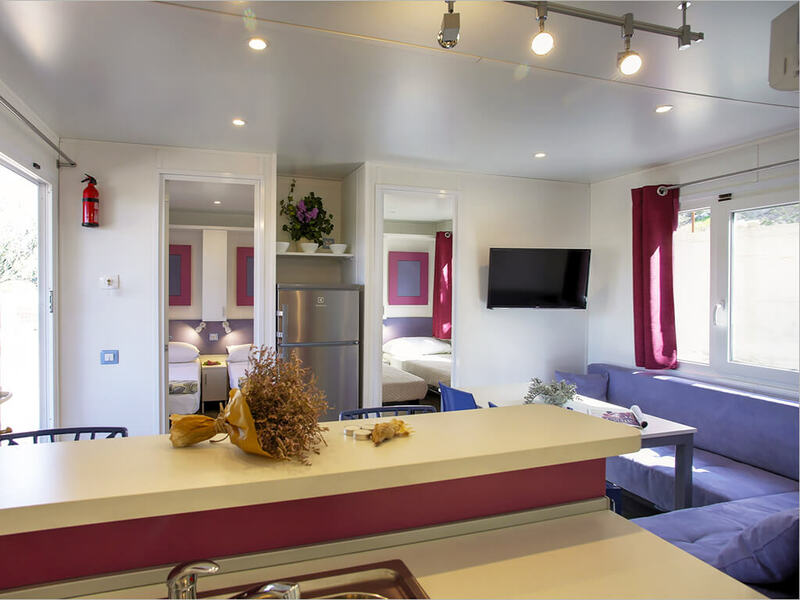 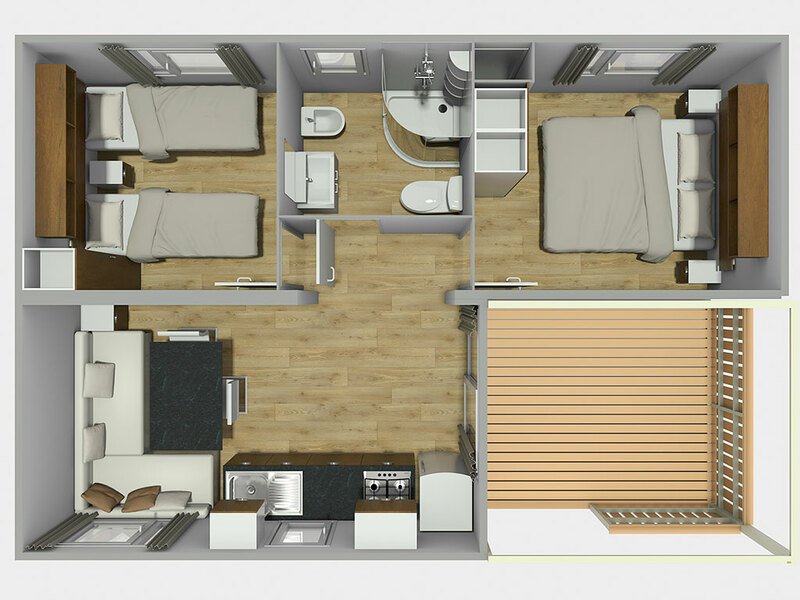 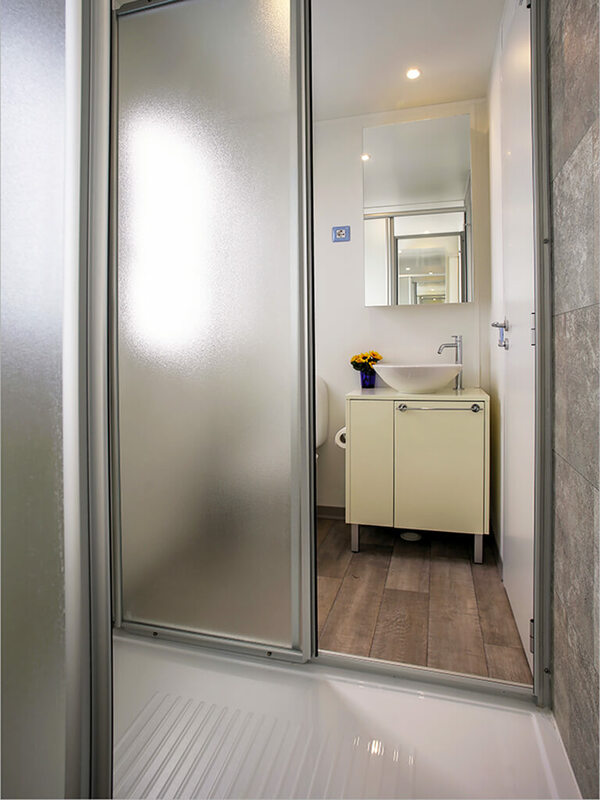 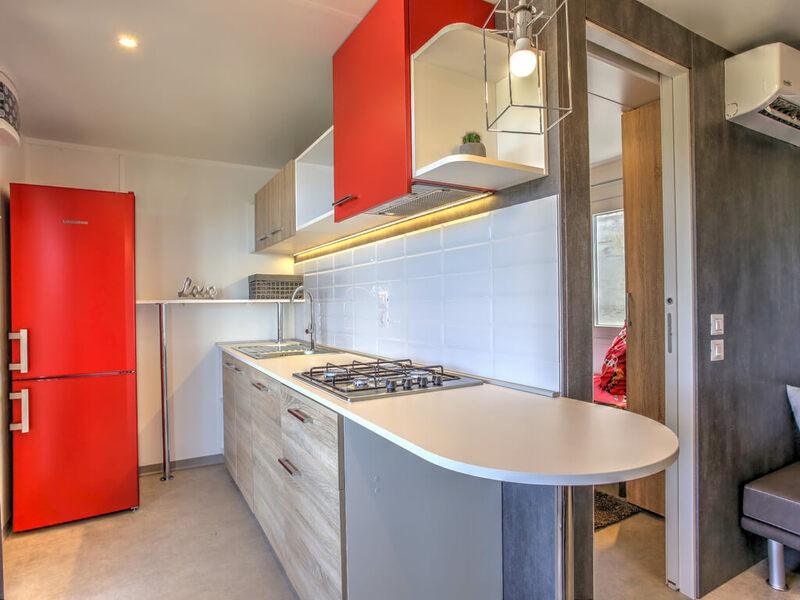 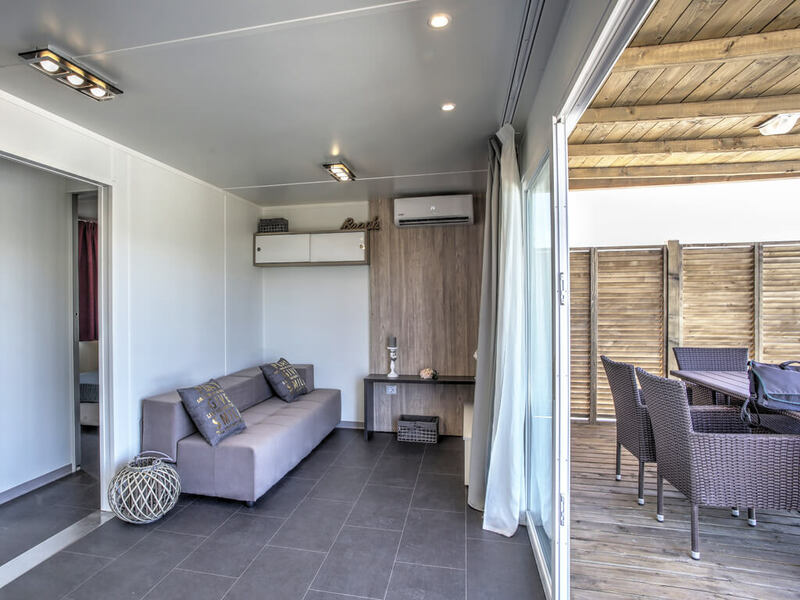 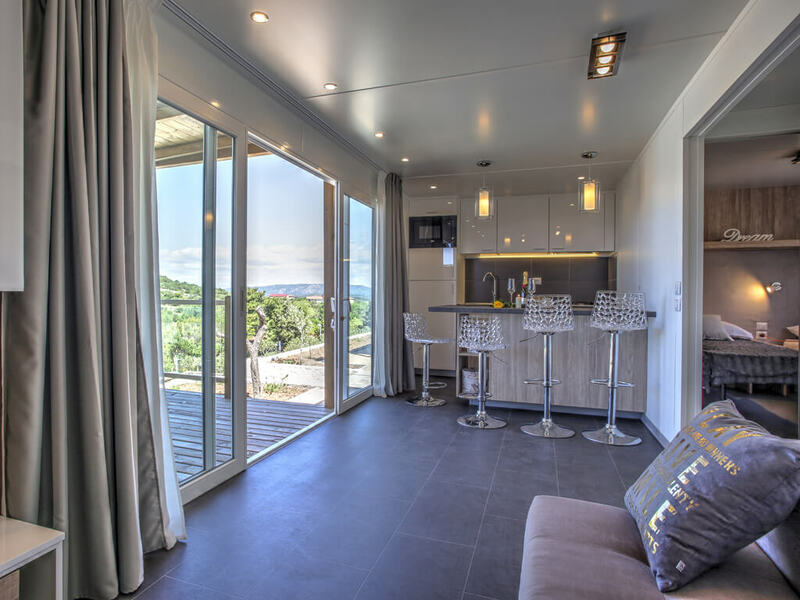 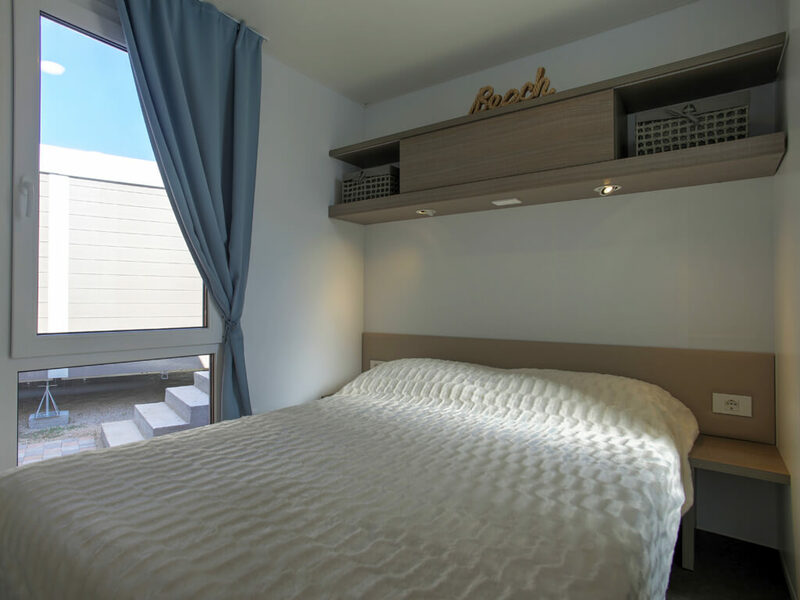 Apart from being new, mobile homes on the island of Murter are also special for their equipment – a minimum of two bedrooms and one bathroom, a fully equipped kitchen and a spacious covered terrace with sea view. 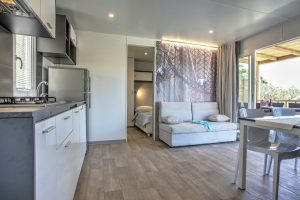 It is here, on the island of Murter, where everyone can find a holiday for themselves – couples, in romantic suites for two, groups of friends, but also families with two or more children, in mobile homes with three bedrooms and two bathrooms. 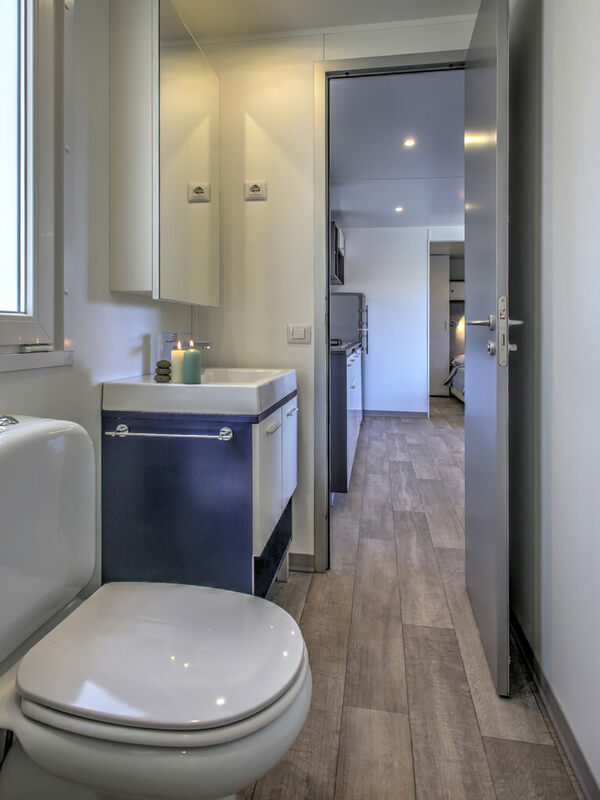 In some mobile homes, pets are also allowed! 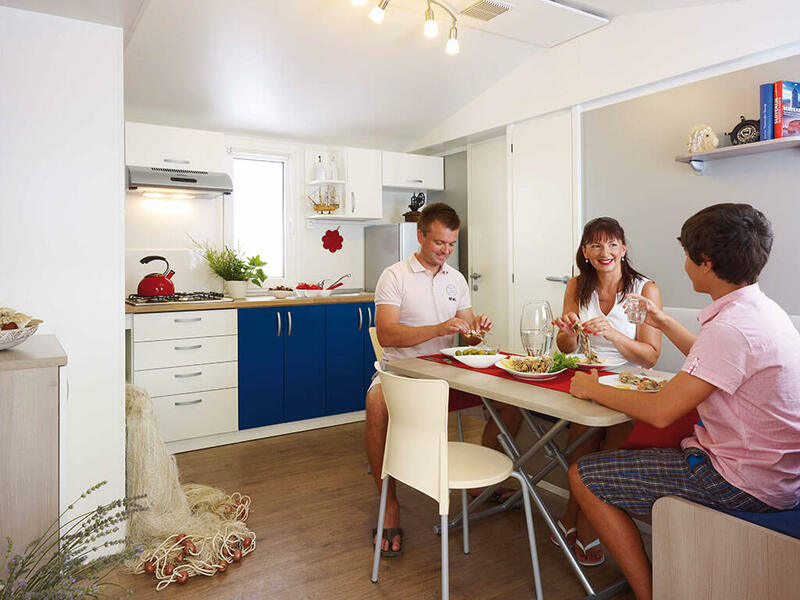 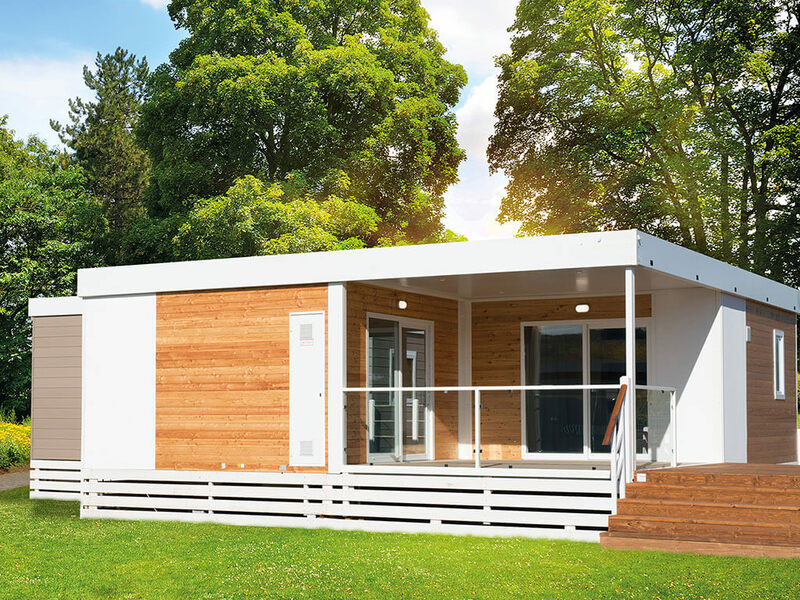 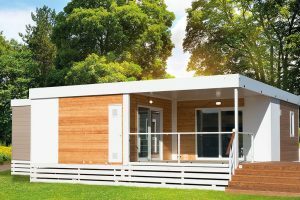 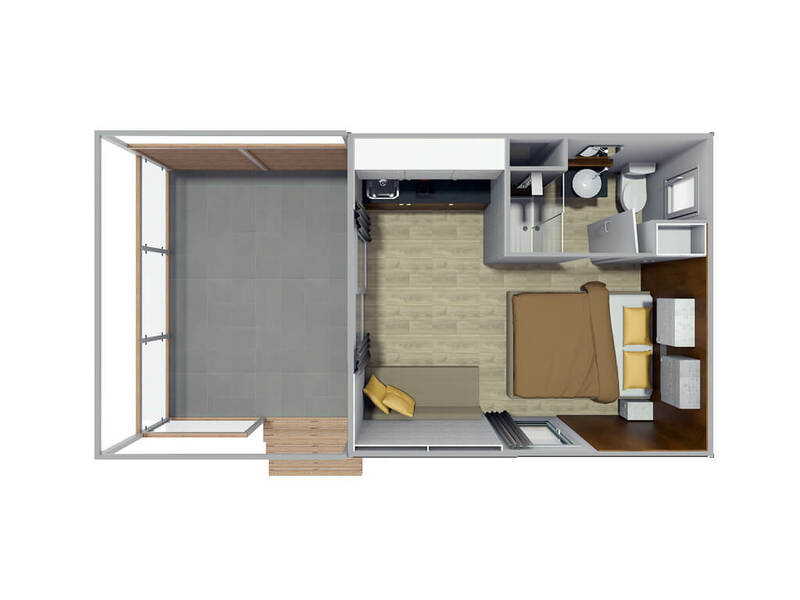 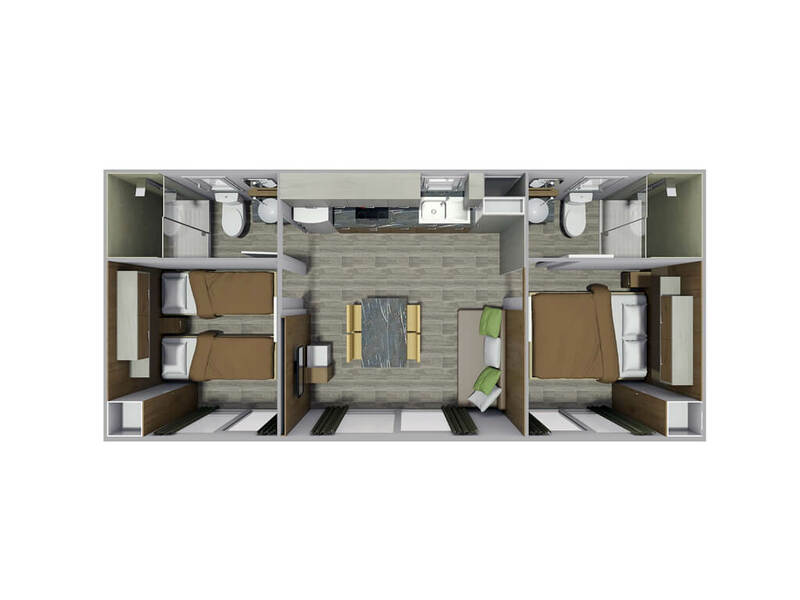 If you are looking for a new mobile home in the vicinity of the sea, then mobile homes on the island of Murter are the right choice! 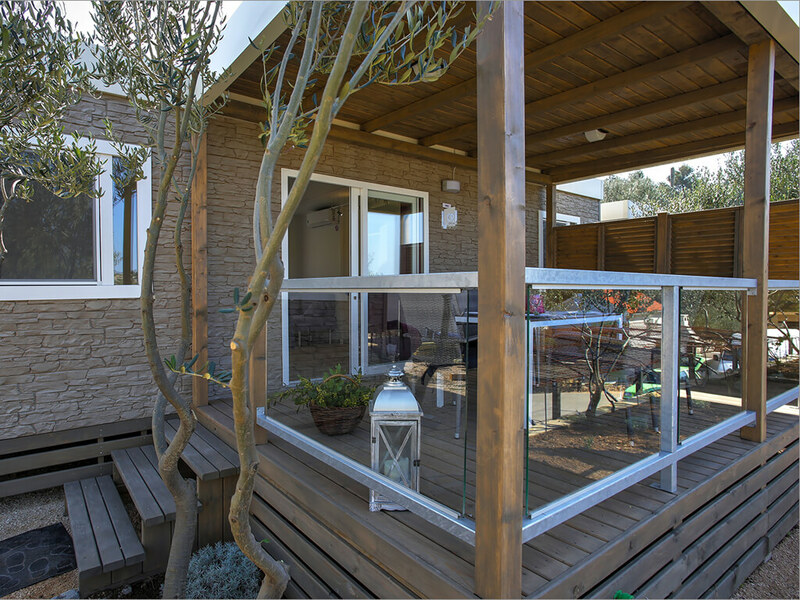 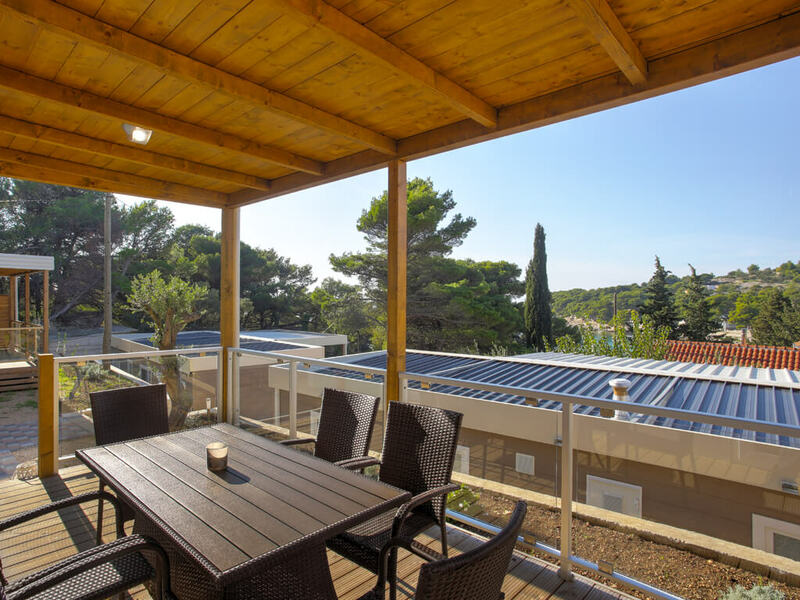 Spend your holiday just a few steps from the sea in mobile homes in Vodice. 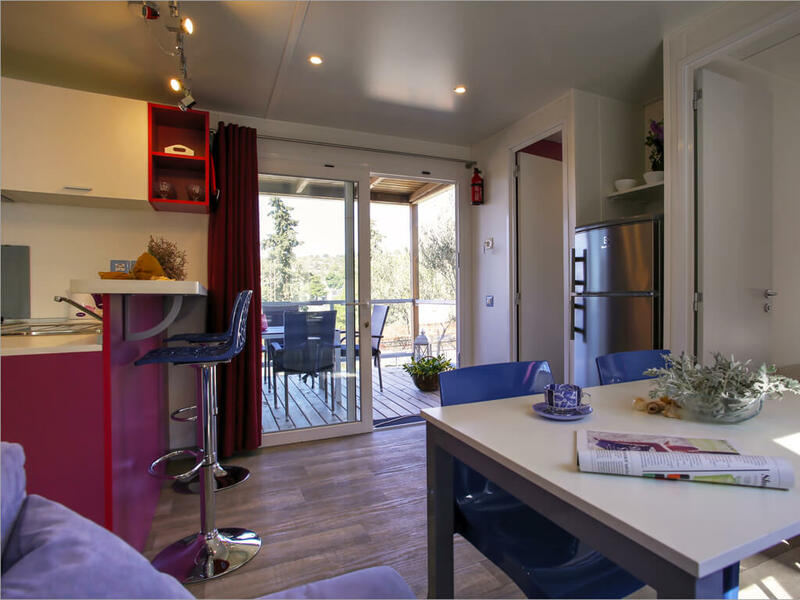 You can choose between mobile homes situated right by the beach or those hidden under the pine forest tree tops. 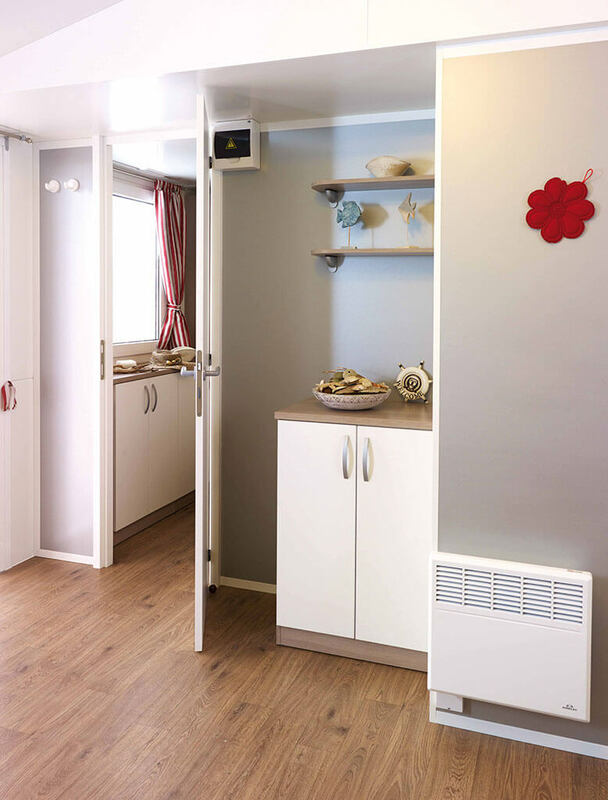 If you are looking for a mobile home near the sea and the town centre, then these mobile homes are an excellent choice! 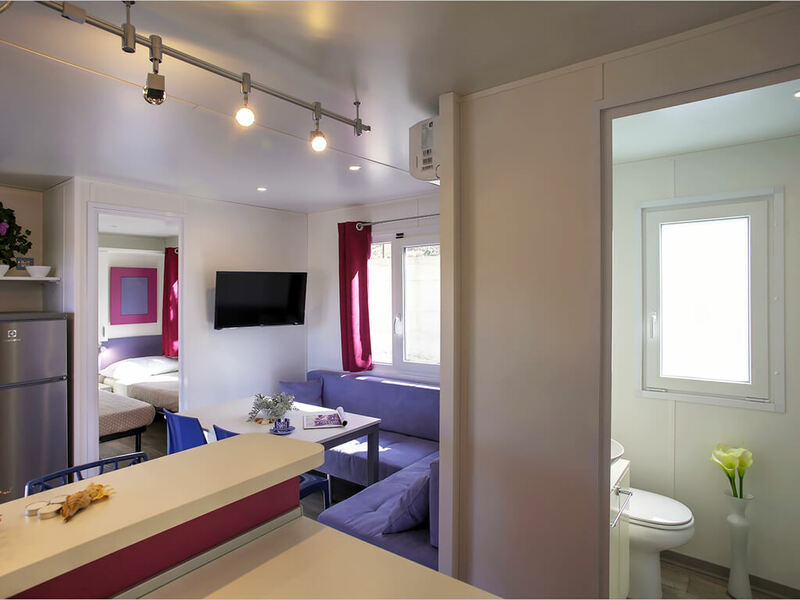 Enjoy the freedom of camping, the beauty of nature and complete cosiness and comfort. 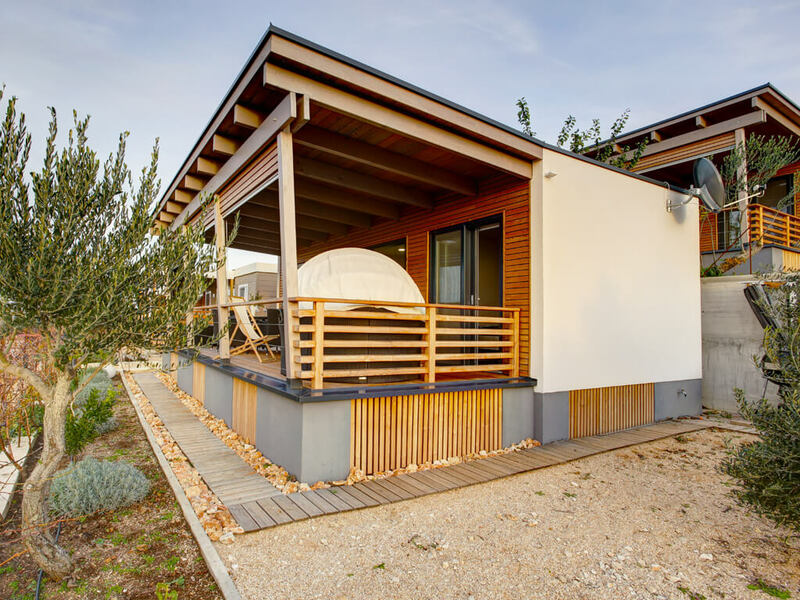 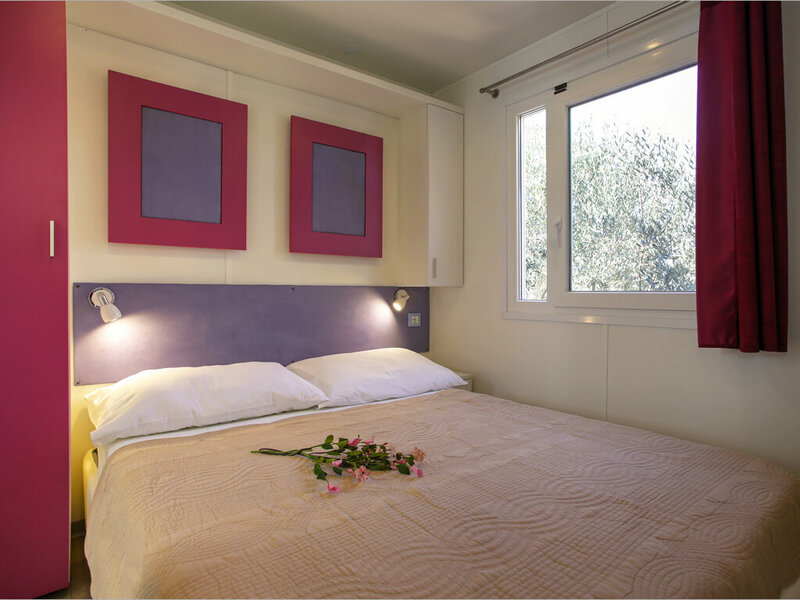 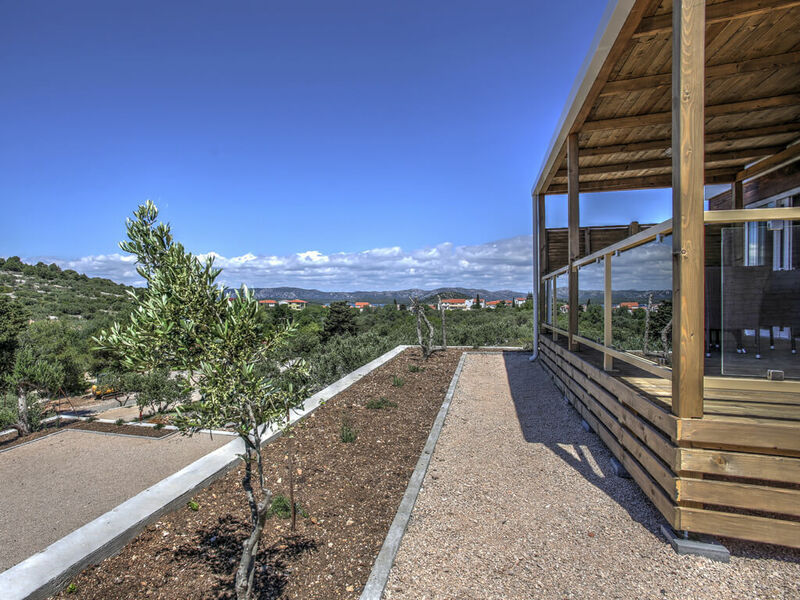 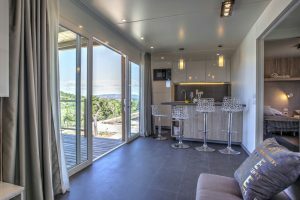 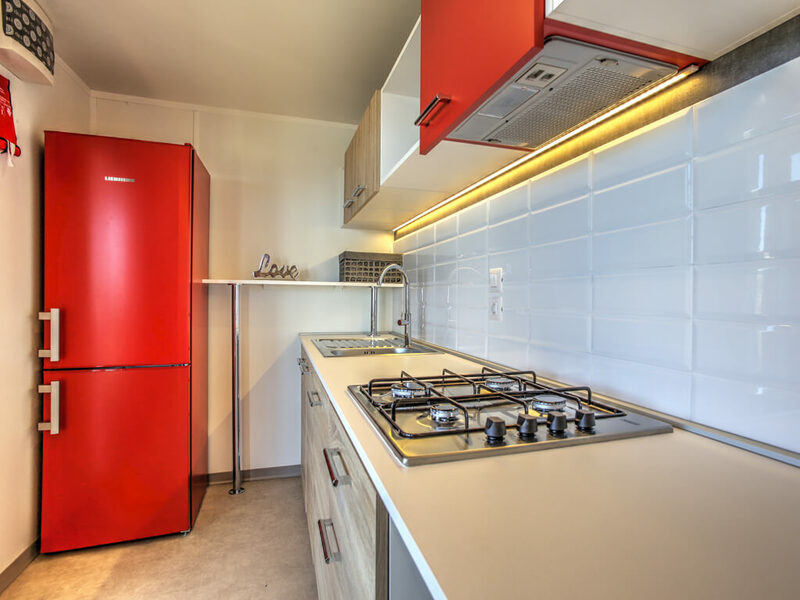 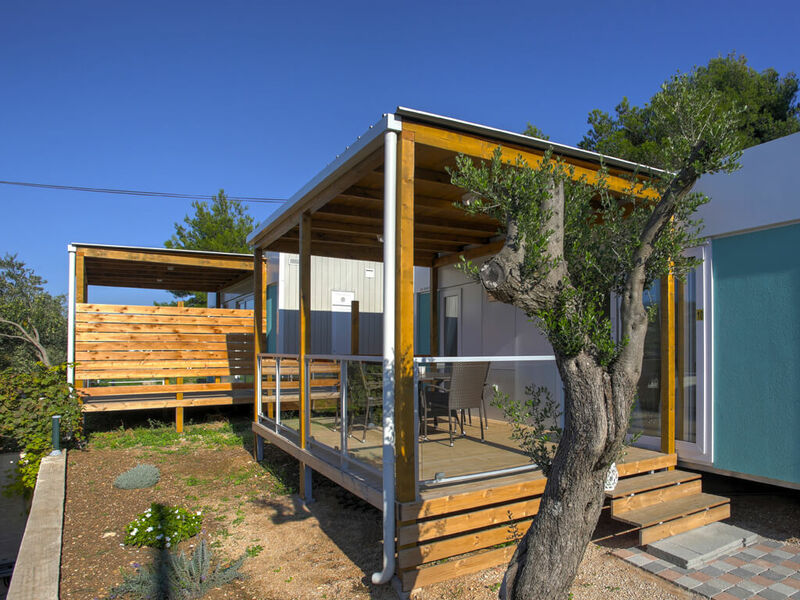 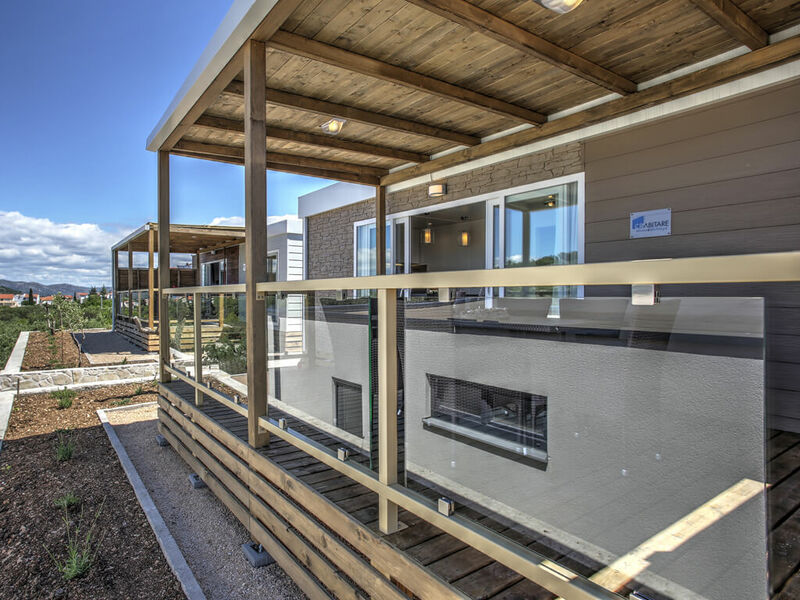 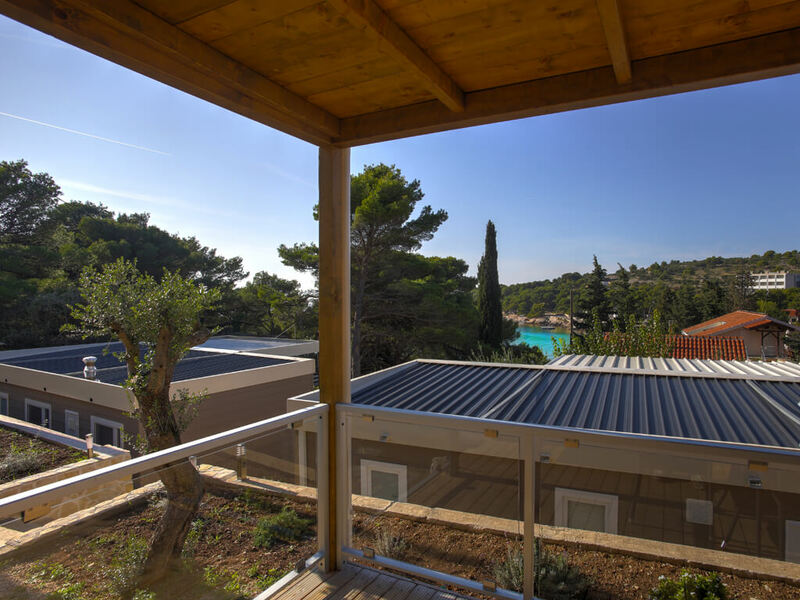 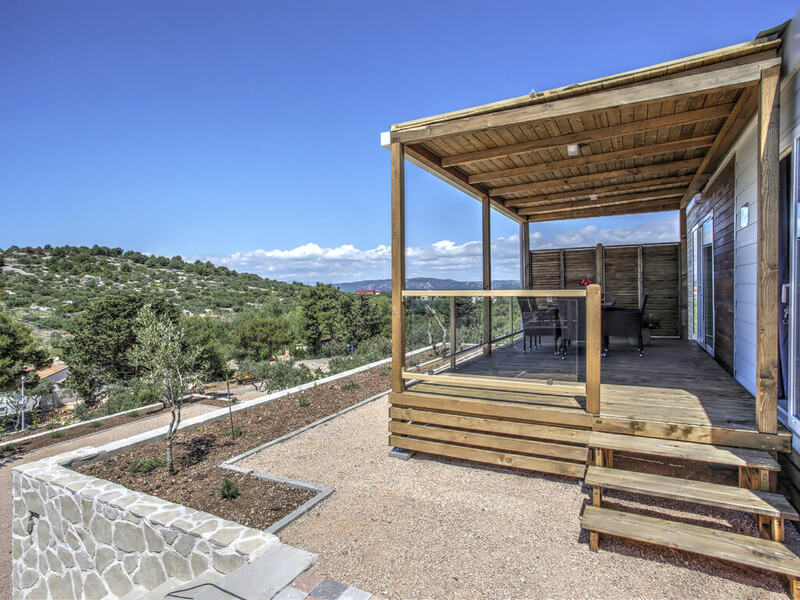 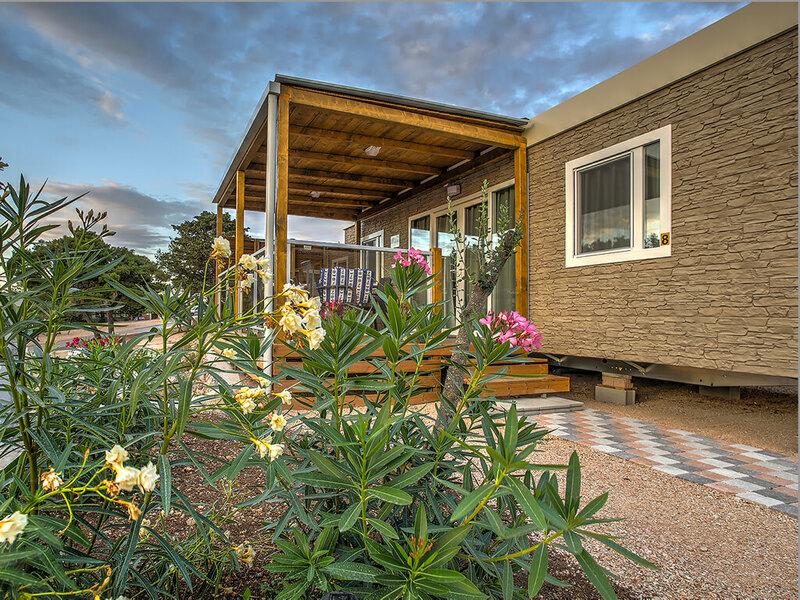 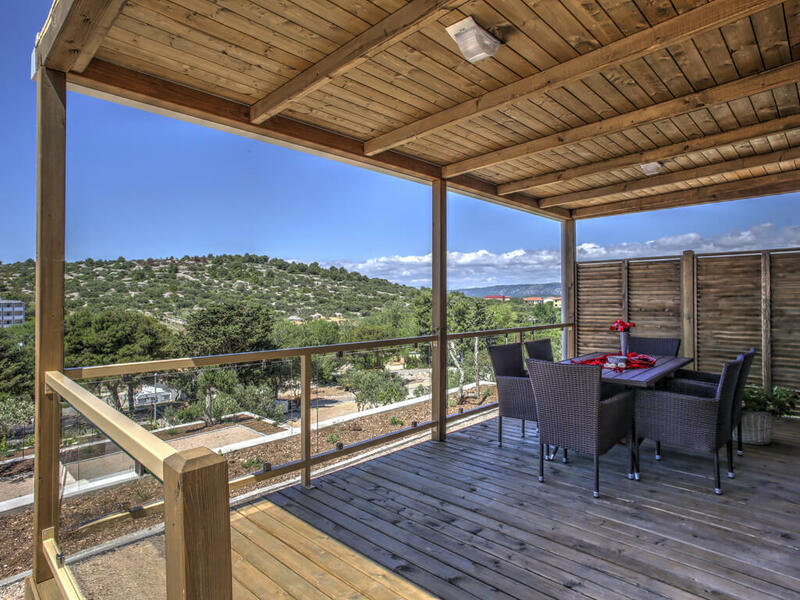 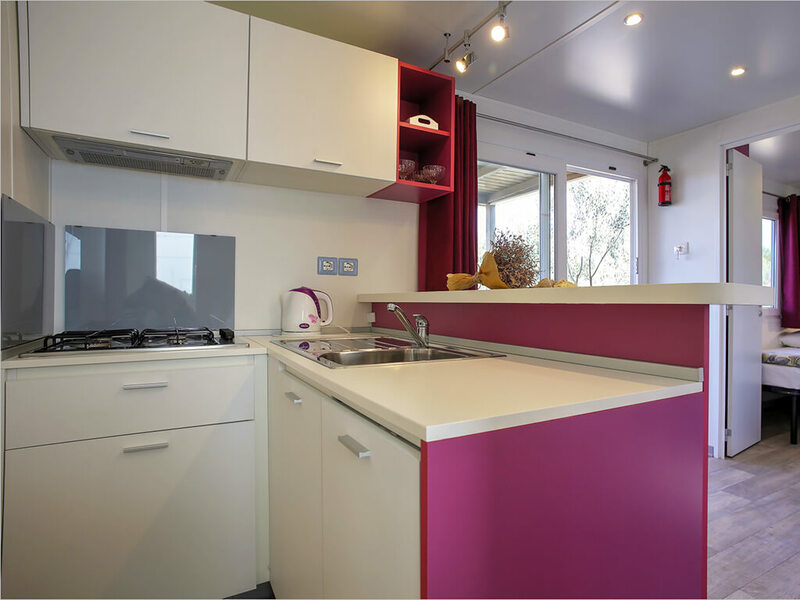 Choose a mobile home in Šibenik and have a new experience of staying at a campsite. 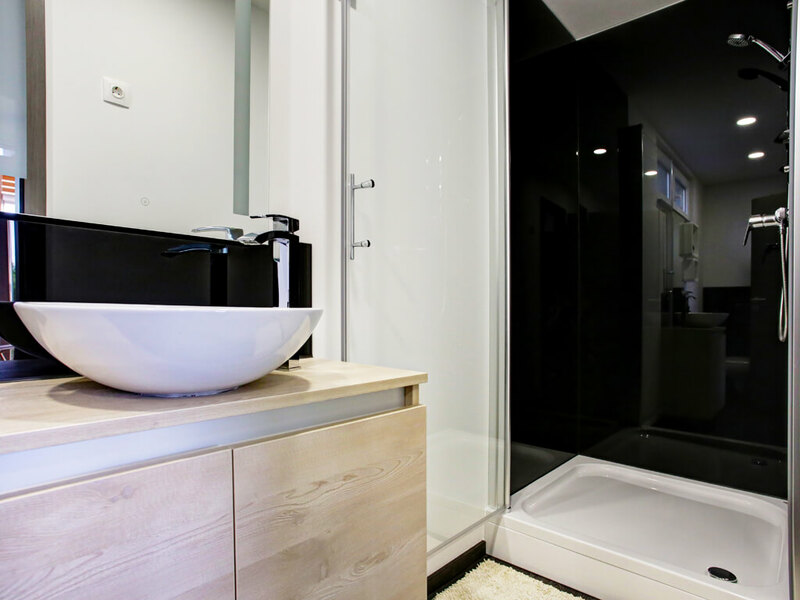 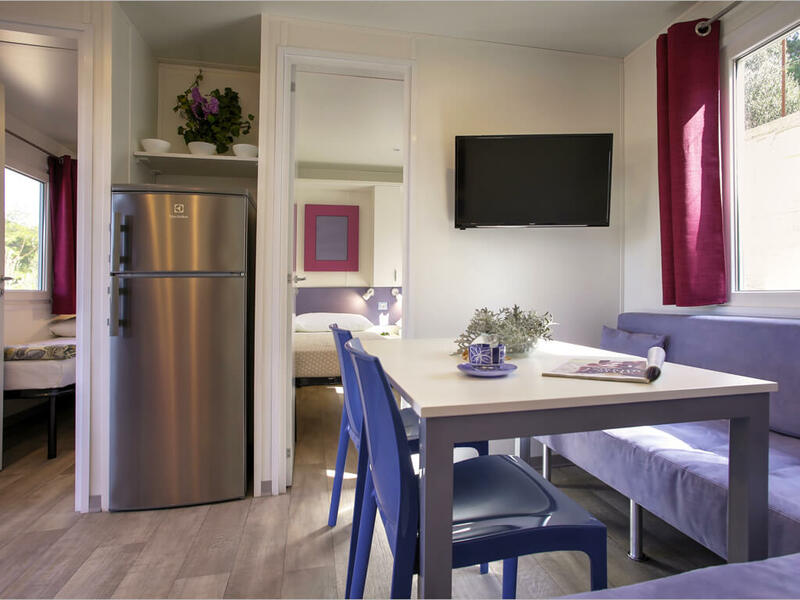 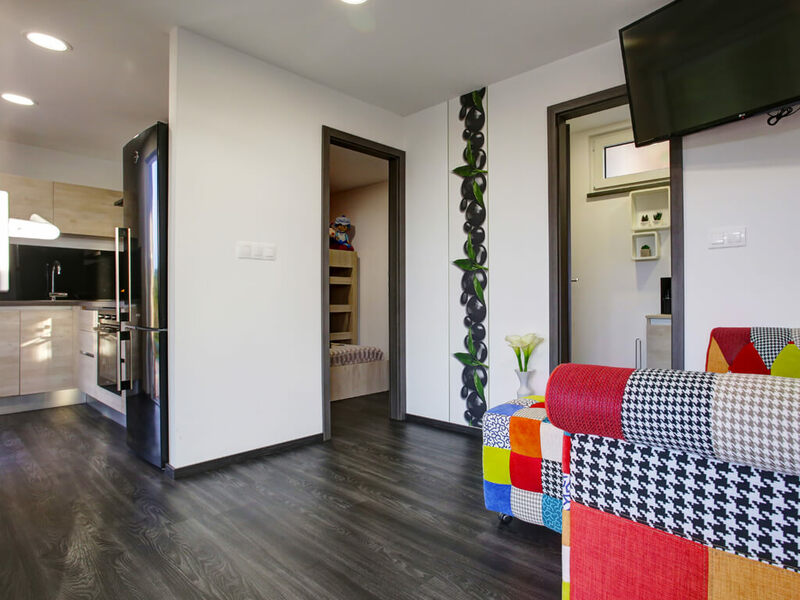 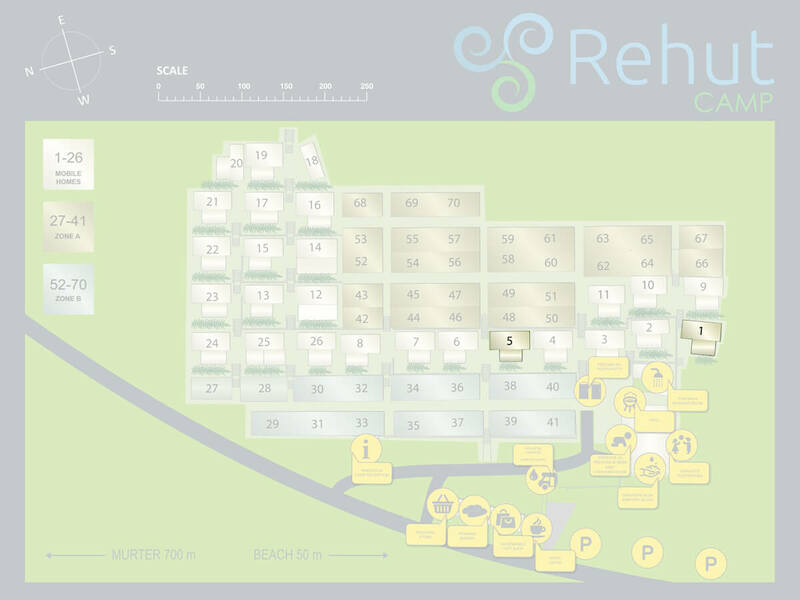 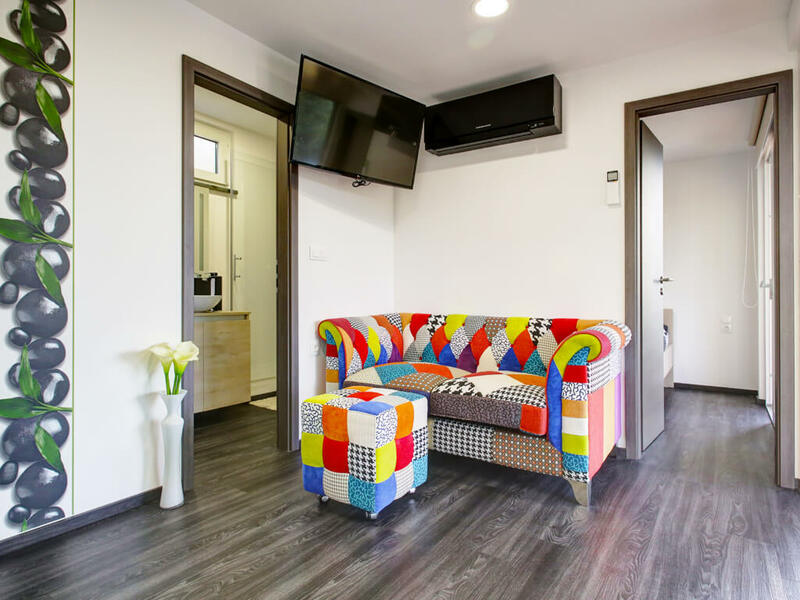 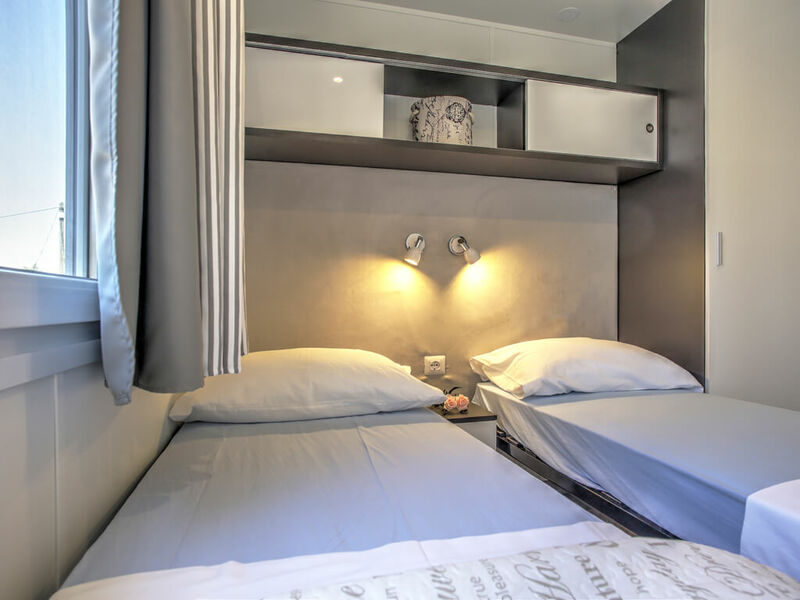 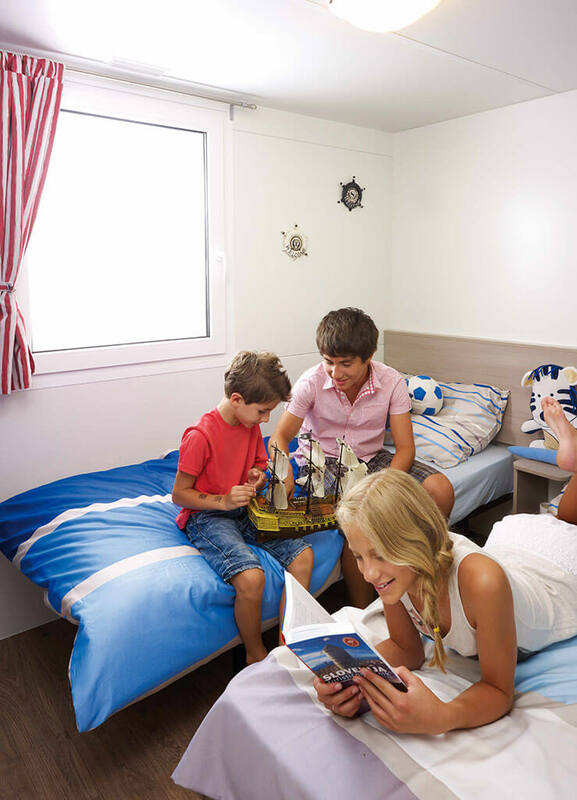 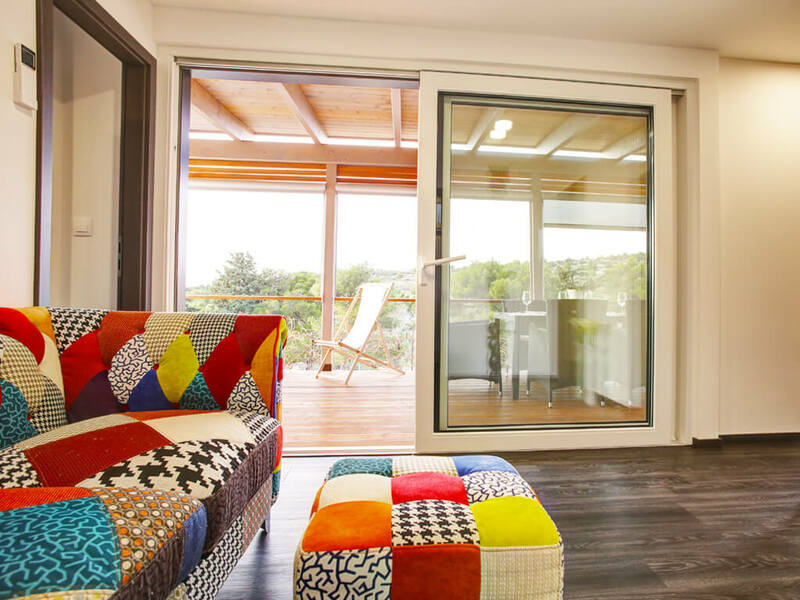 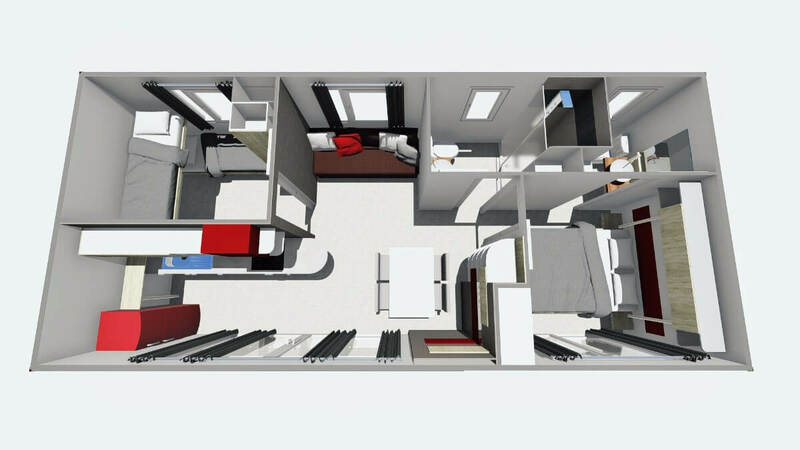 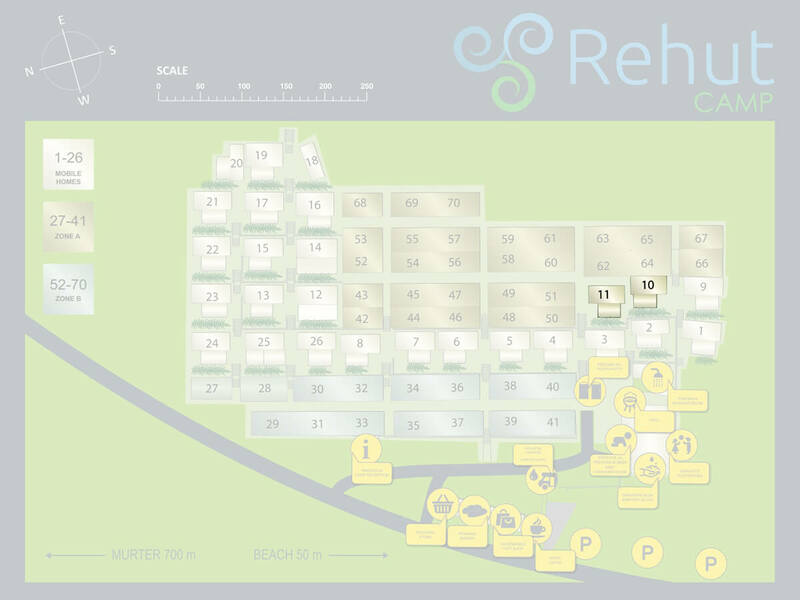 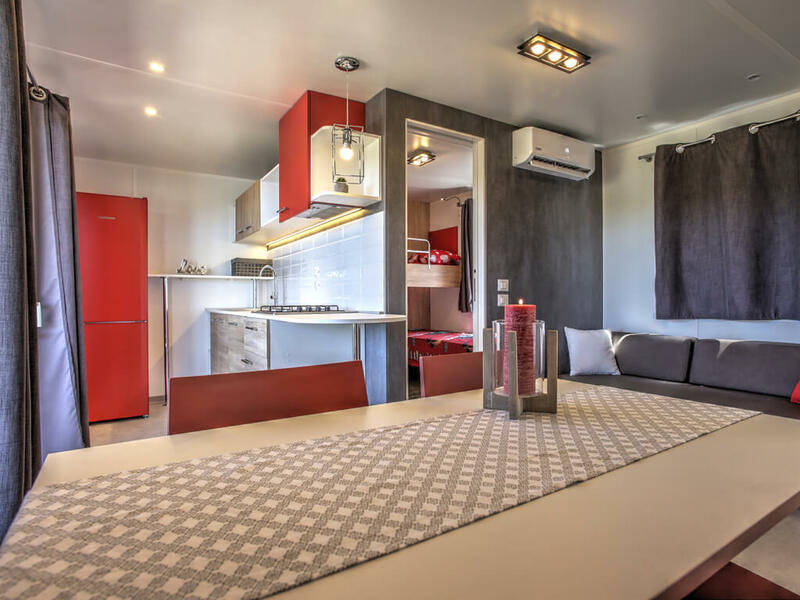 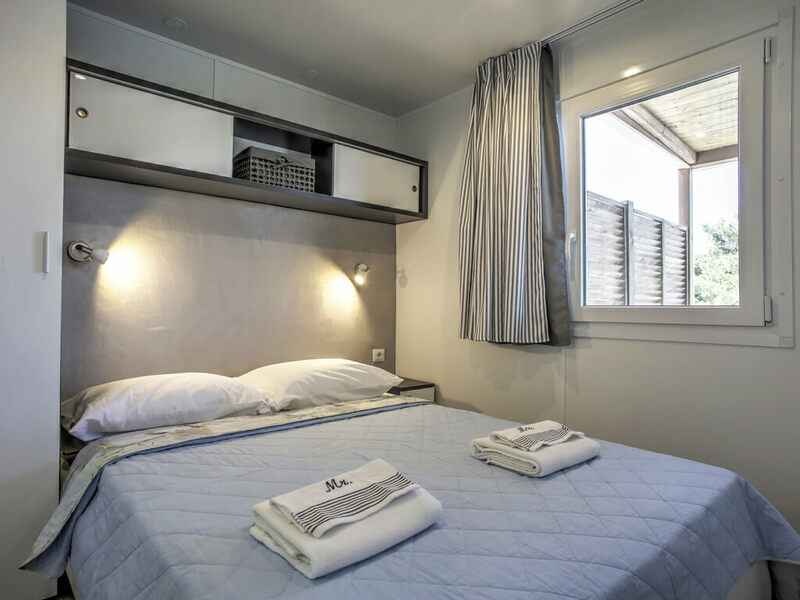 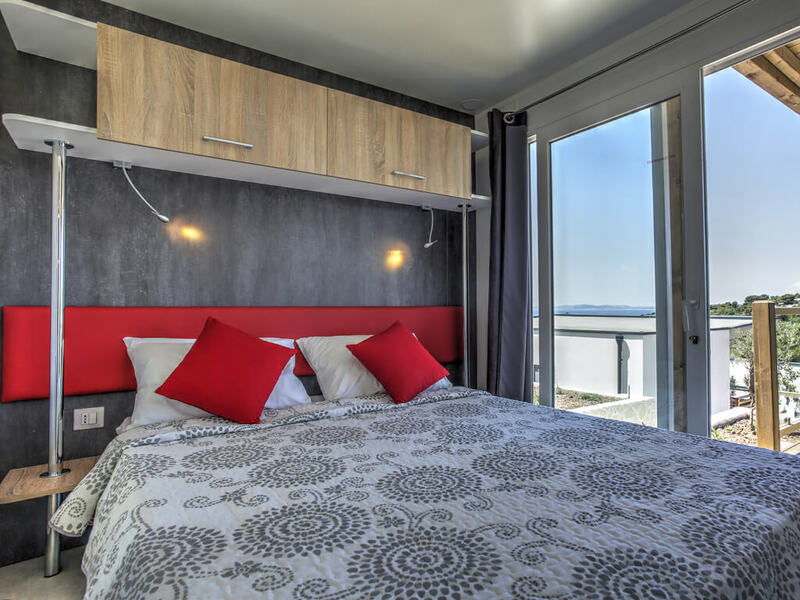 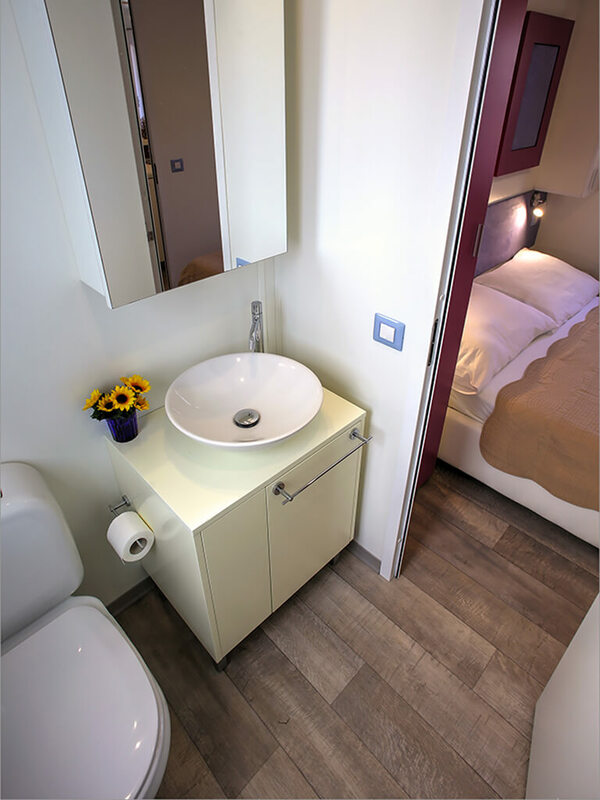 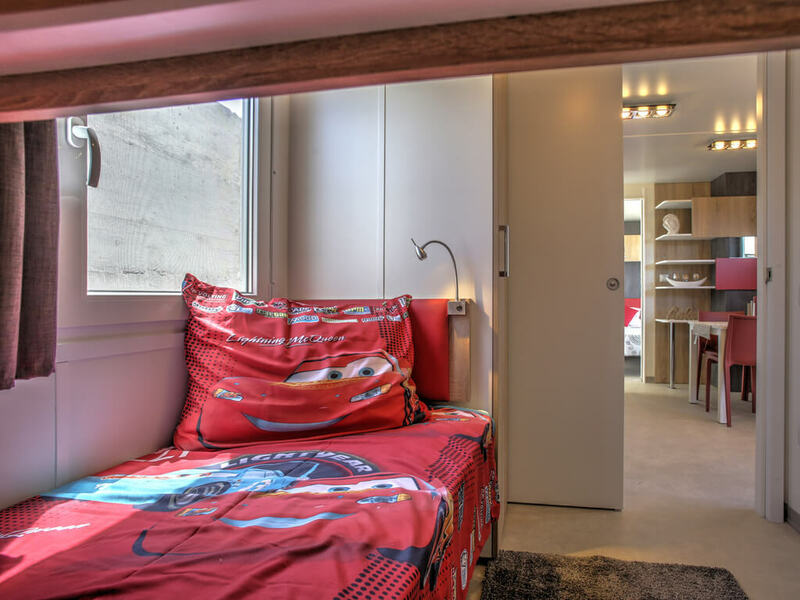 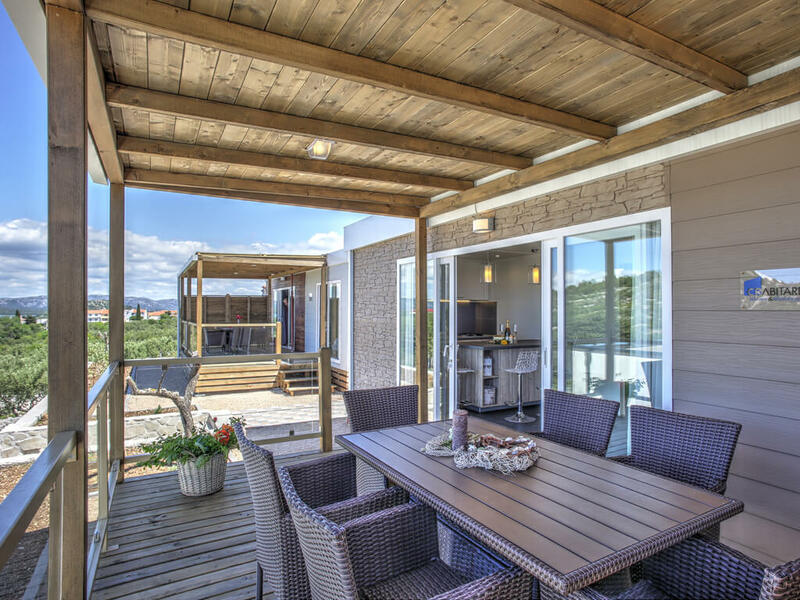 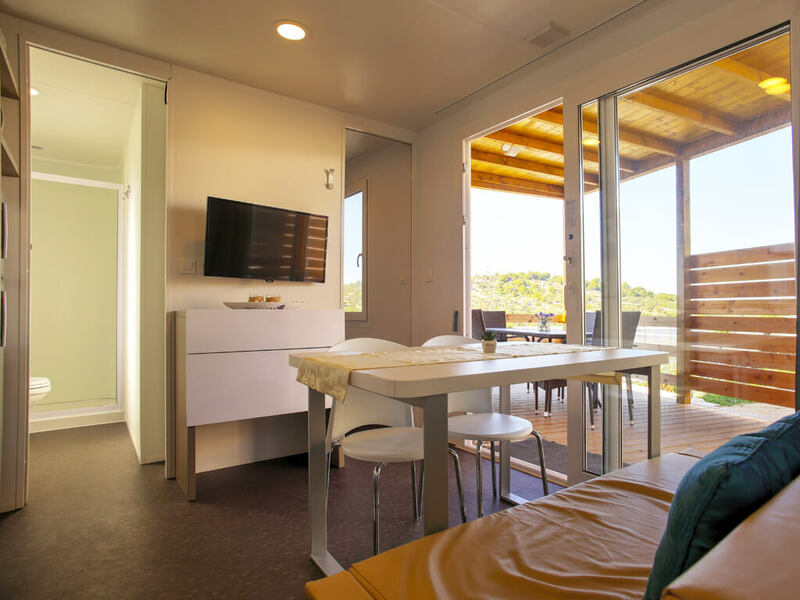 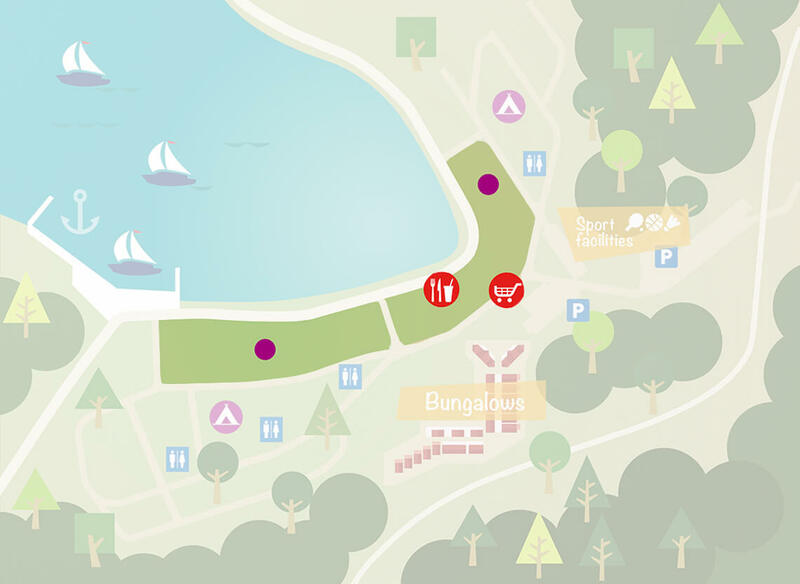 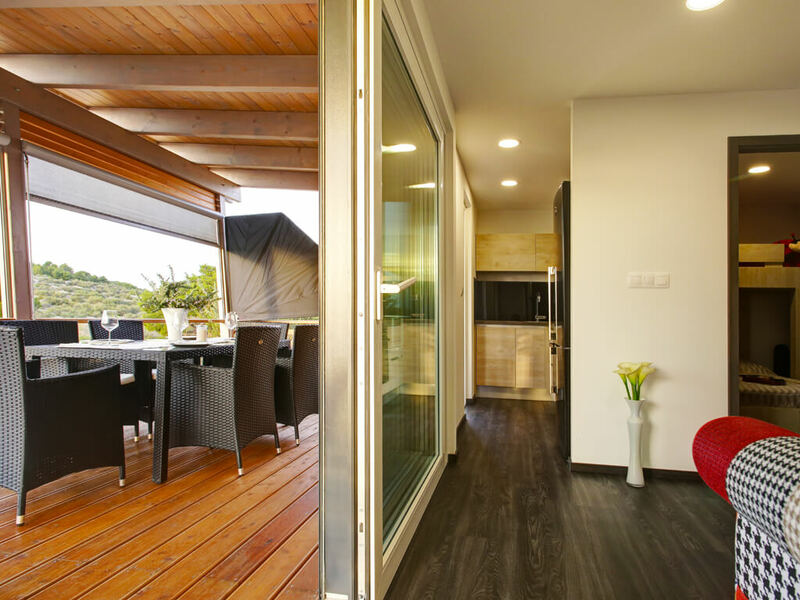 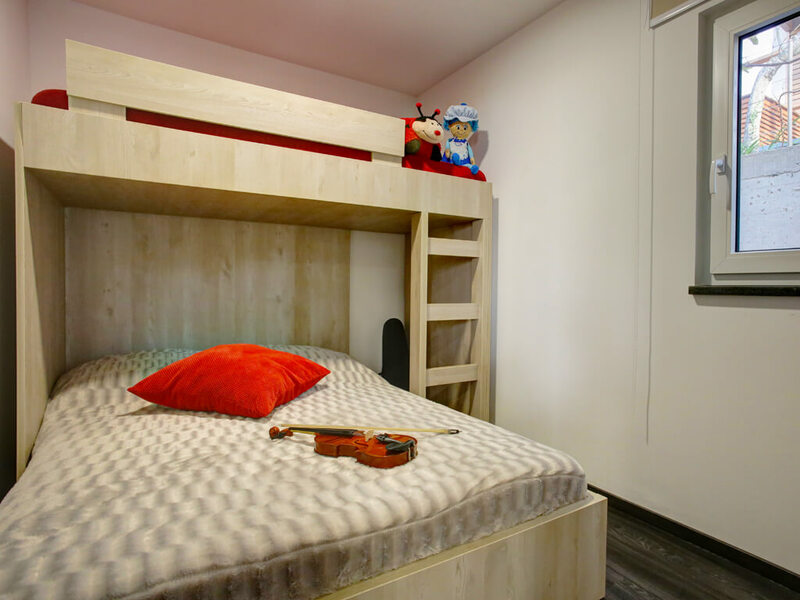 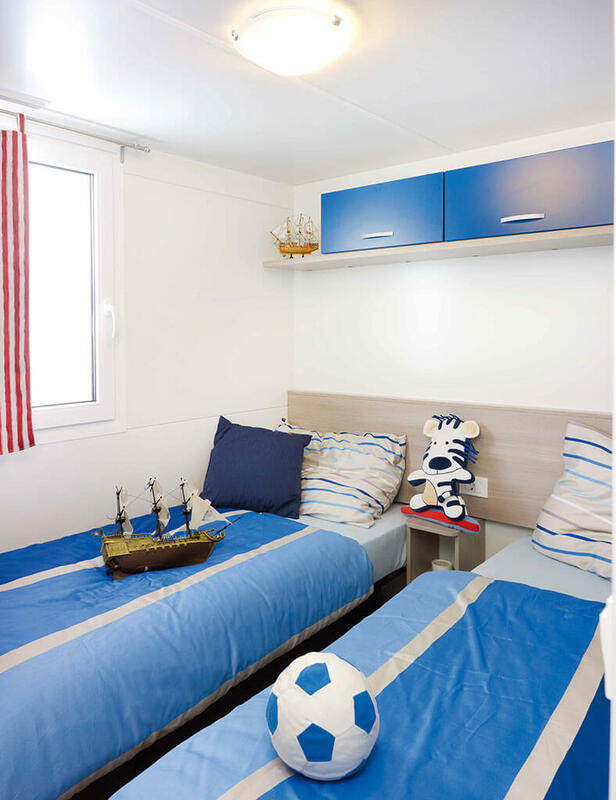 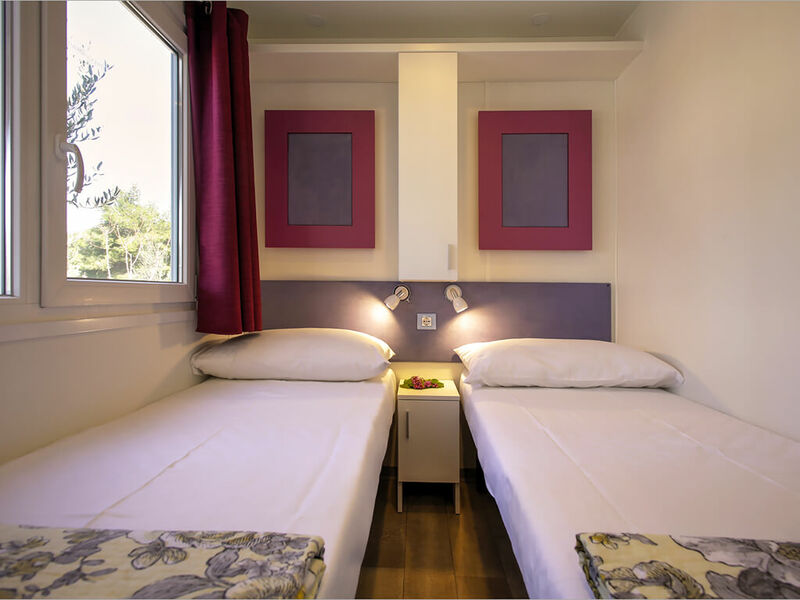 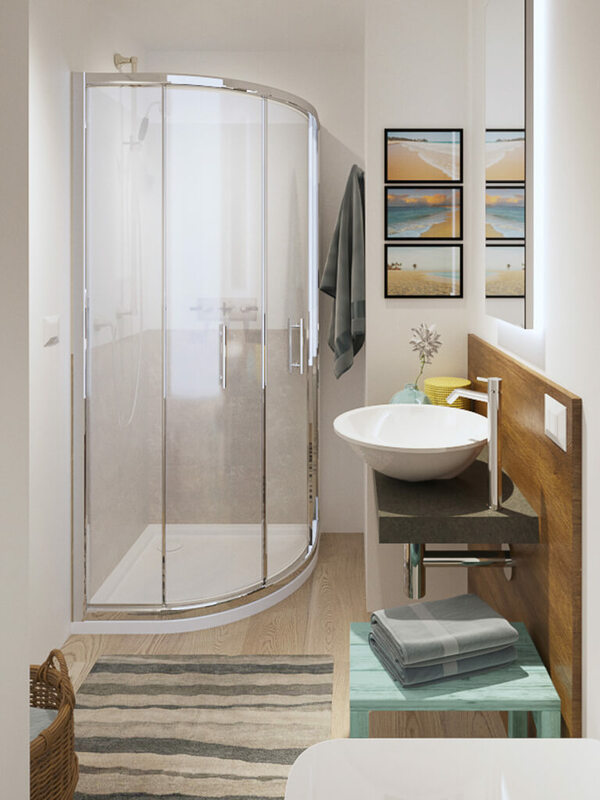 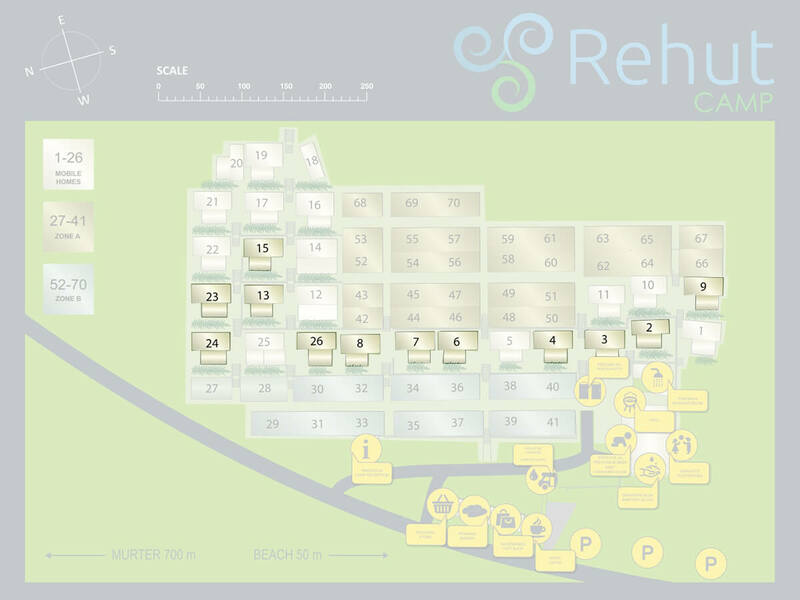 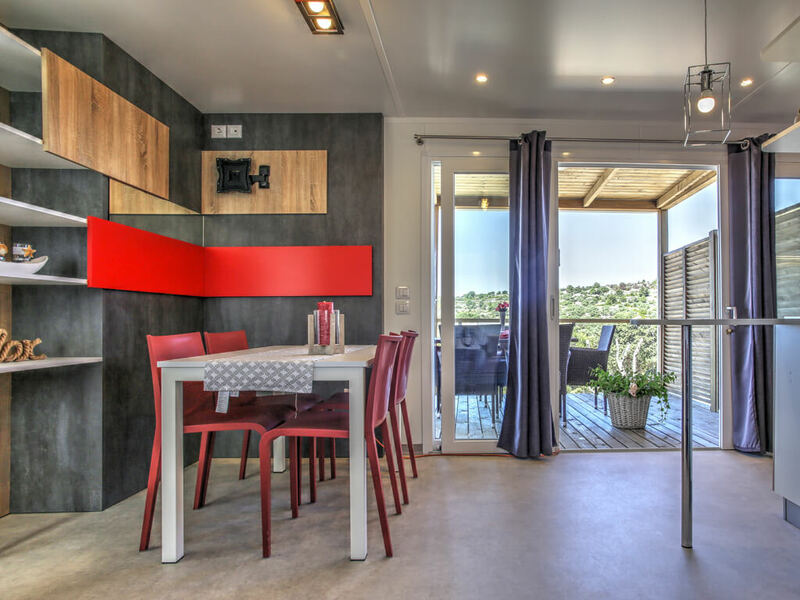 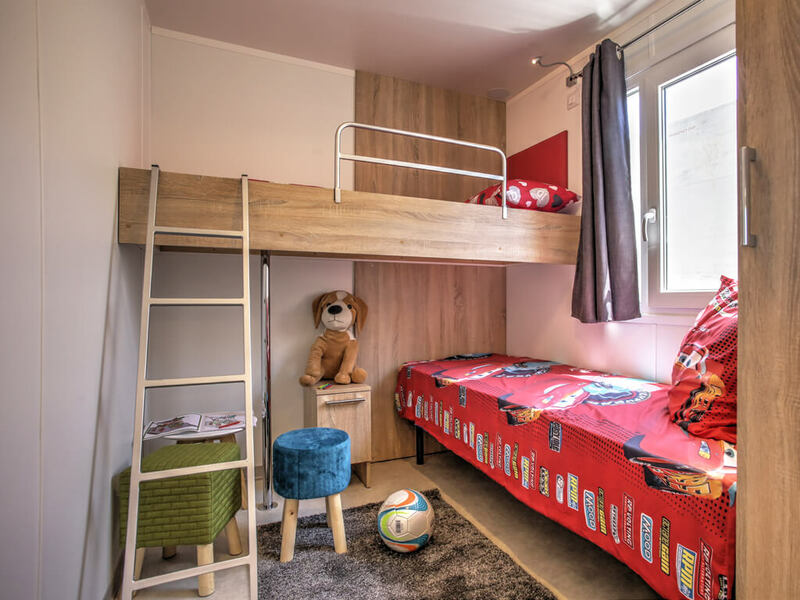 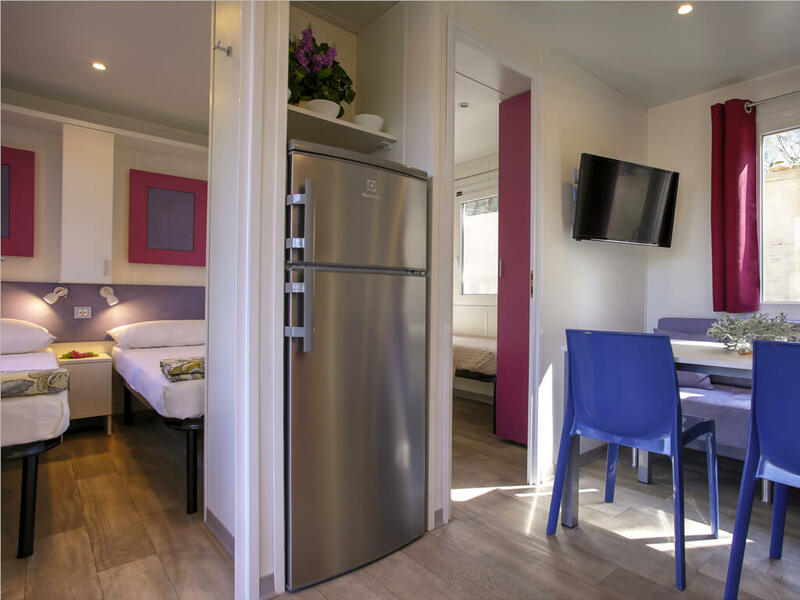 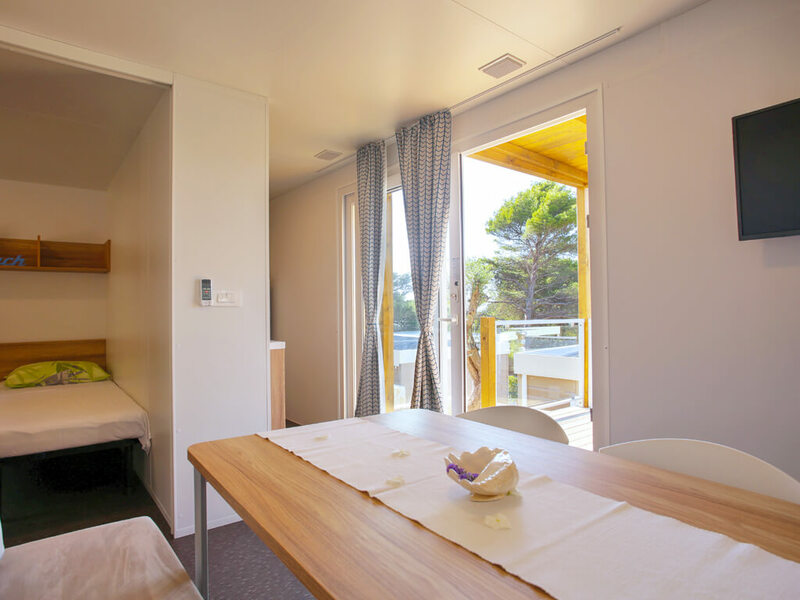 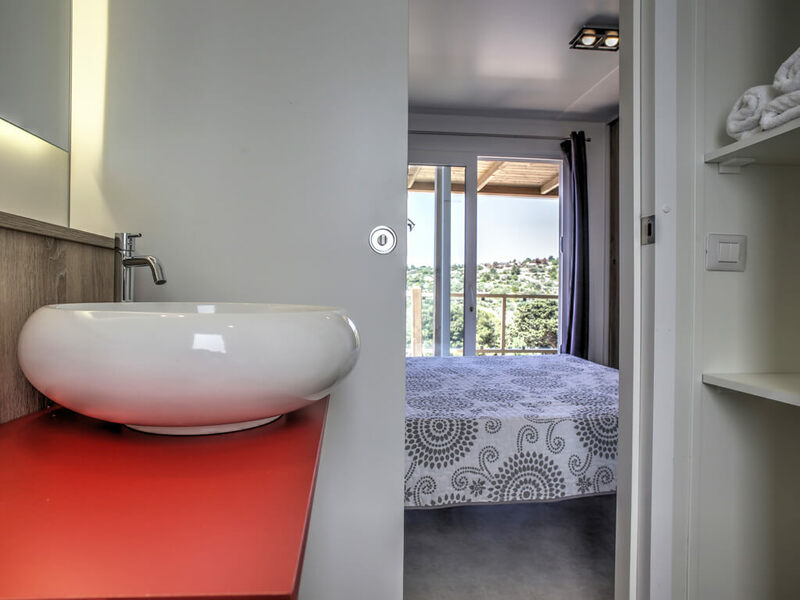 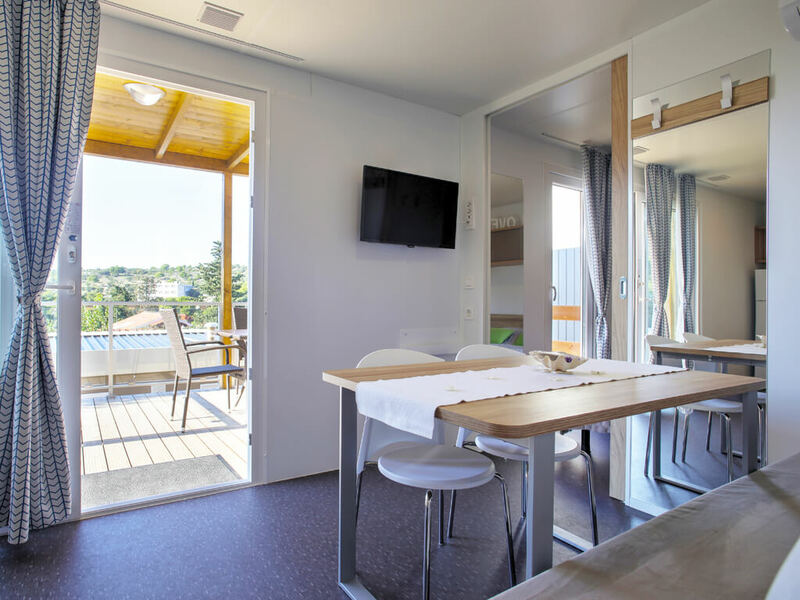 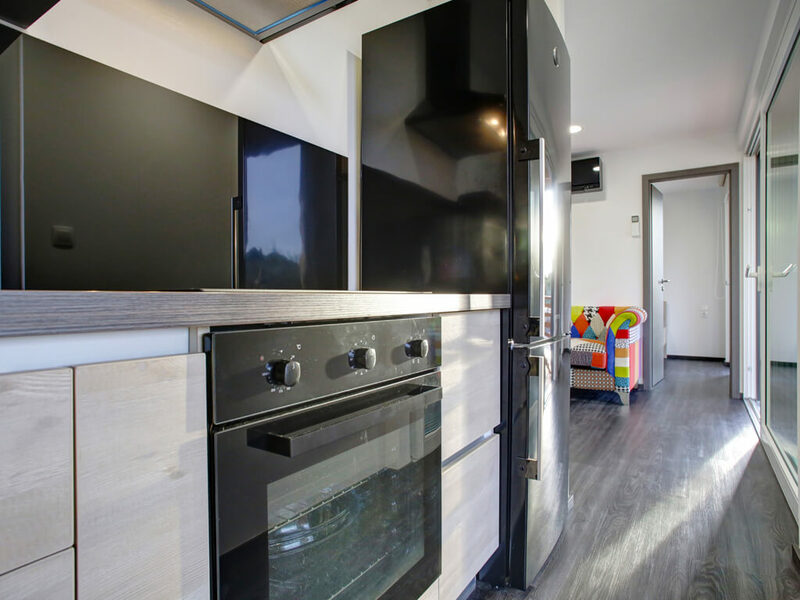 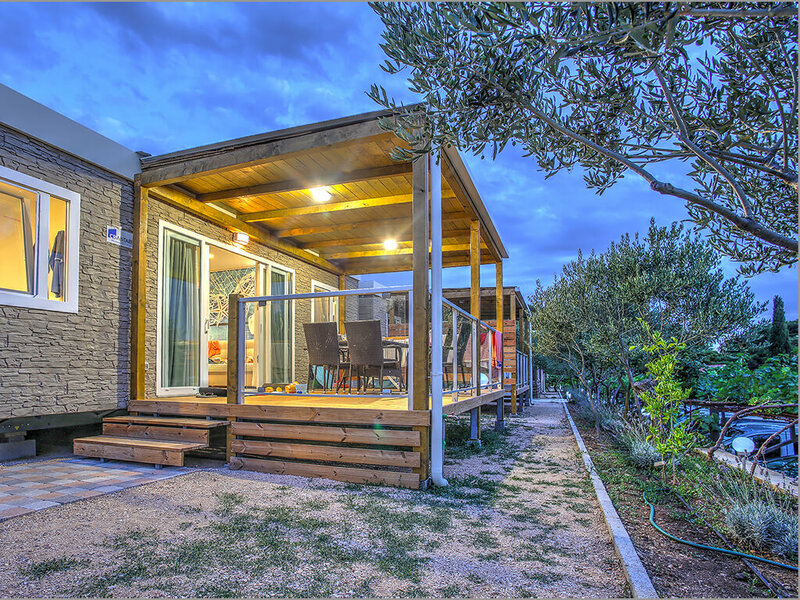 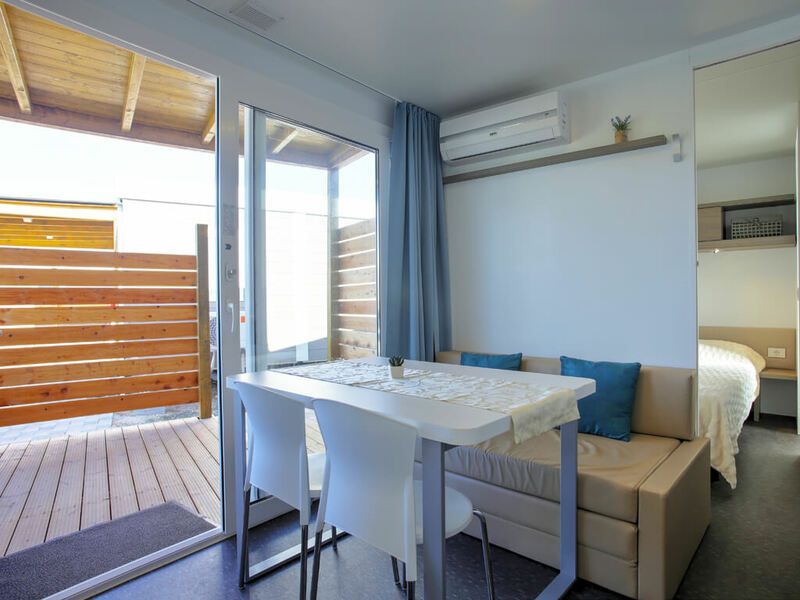 Have a look at our mobile home list and indulge yourselves with your family in Šibenik!